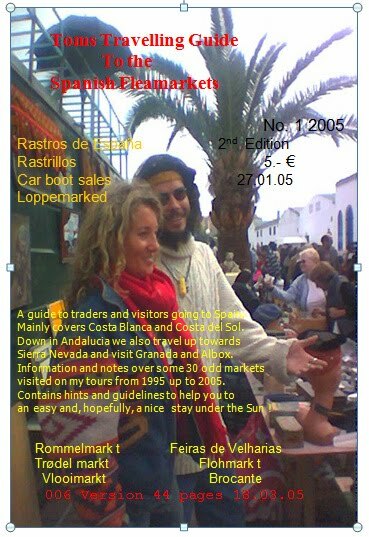 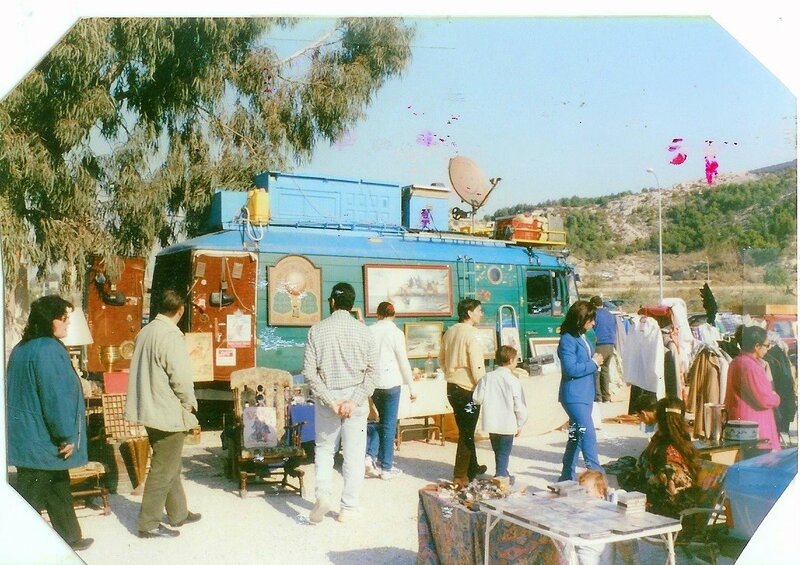 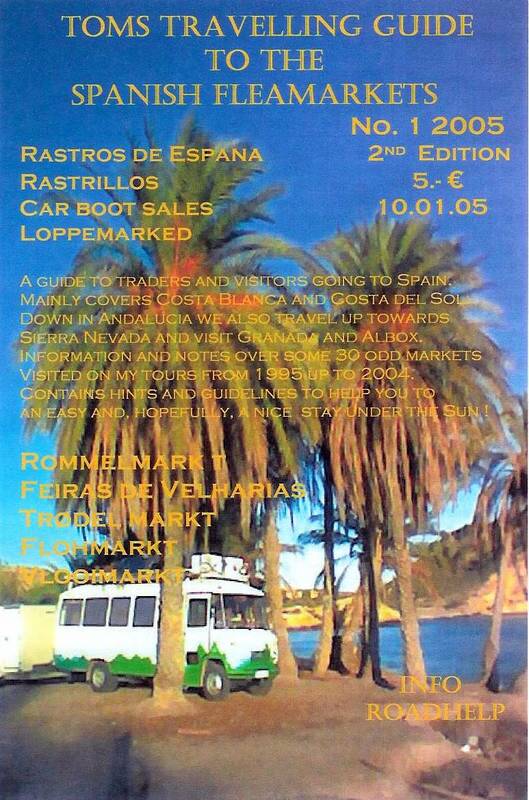 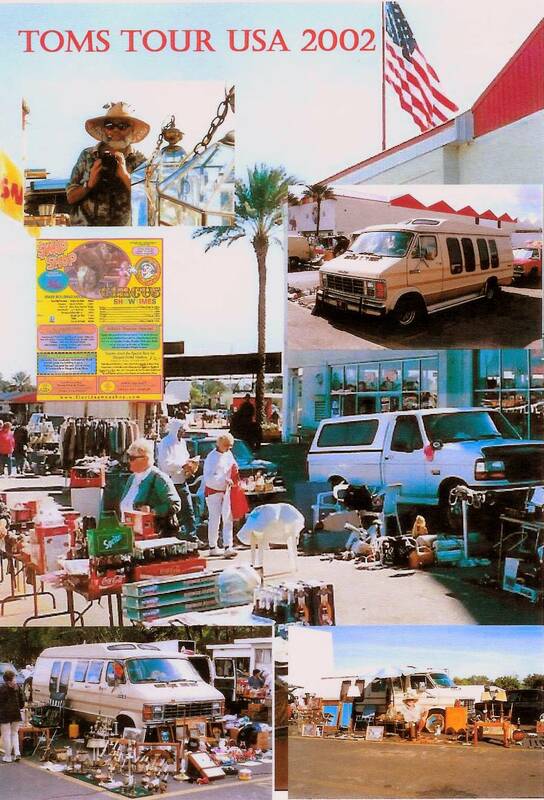 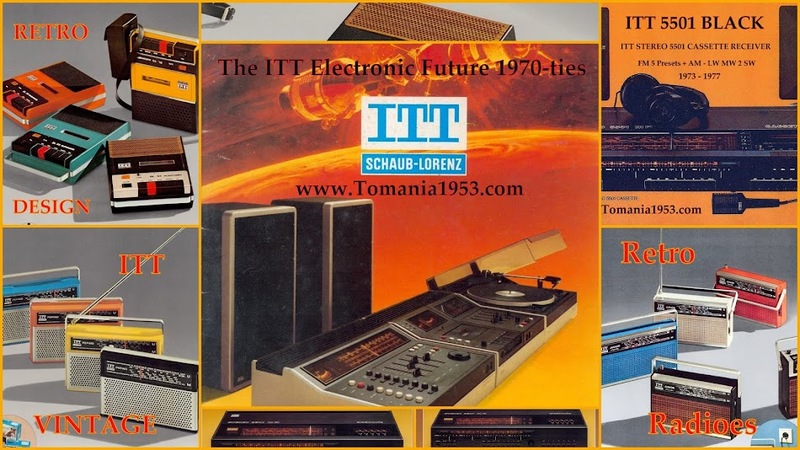 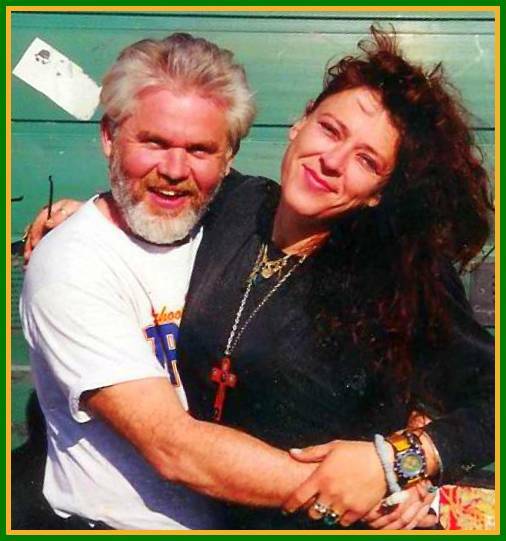 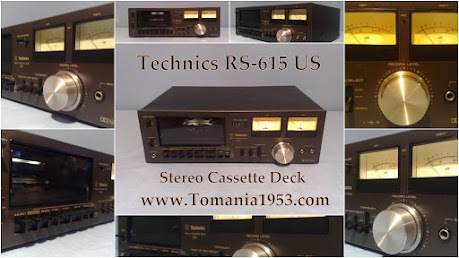 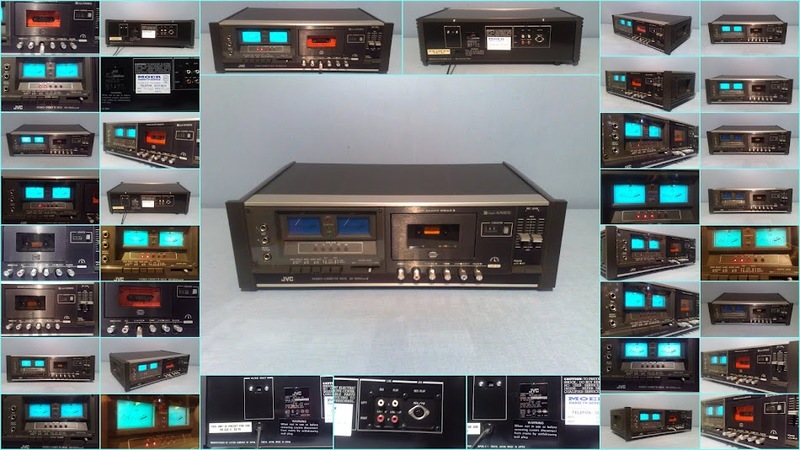 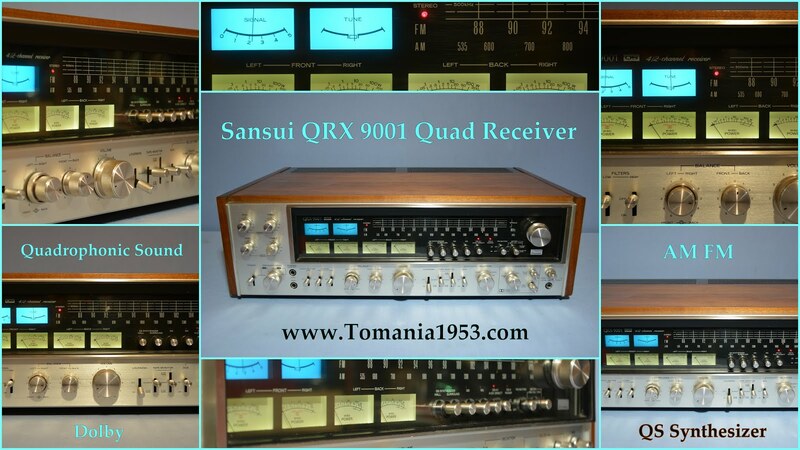 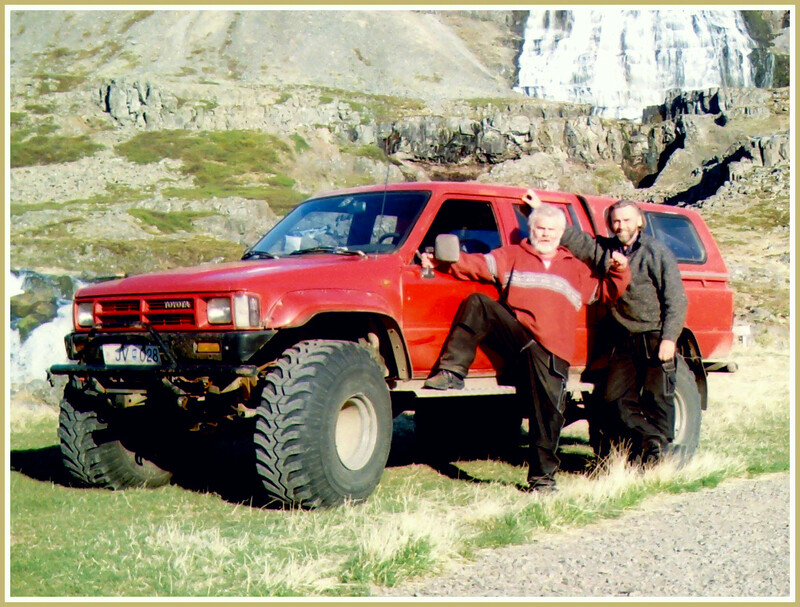 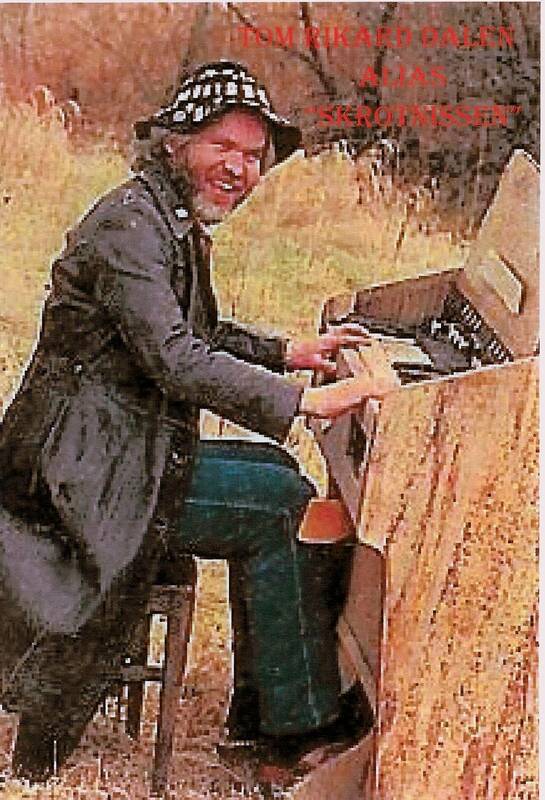 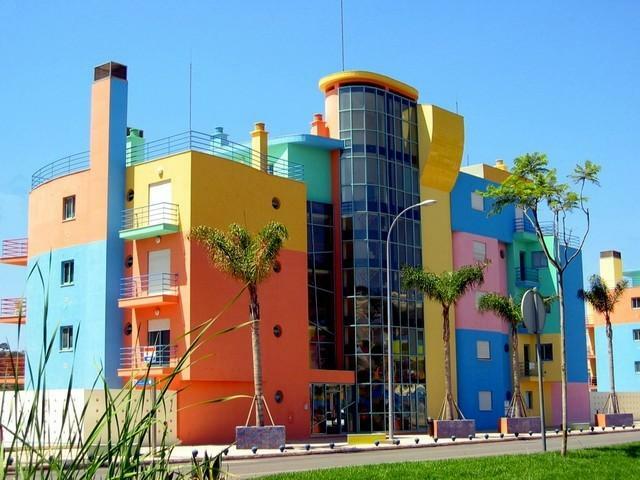 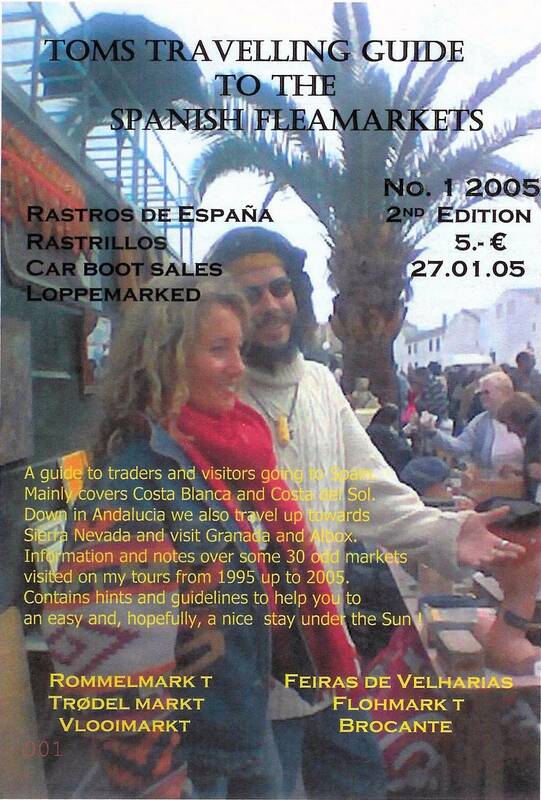 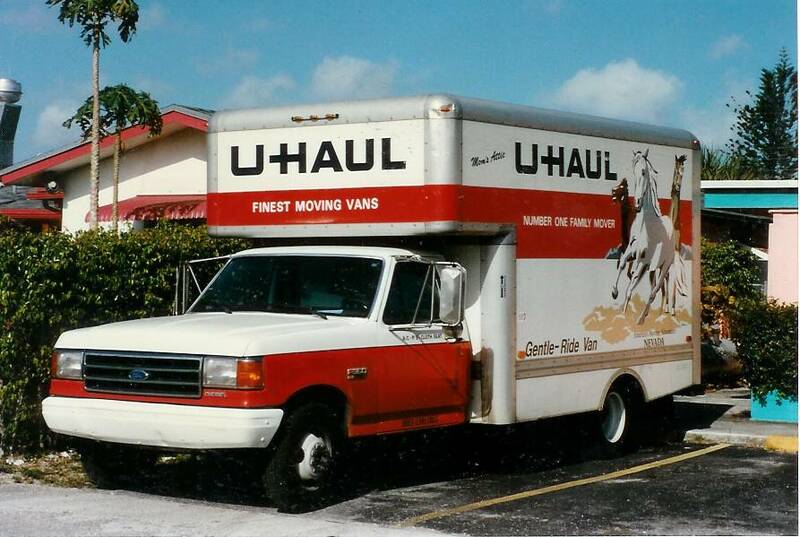 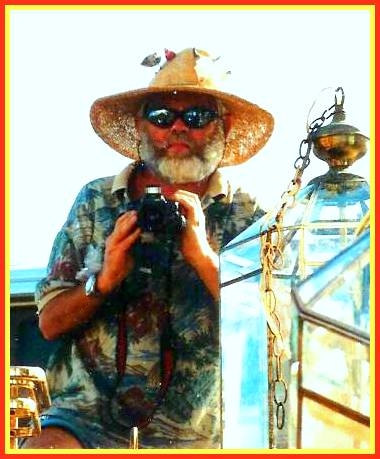 Just Click on Photo for Easy Photo View! 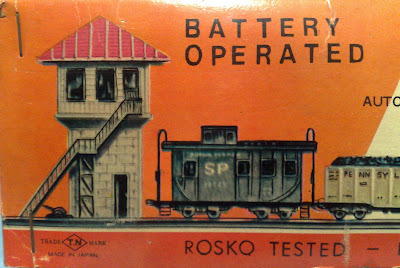 Battery box - mint - as new & unused! 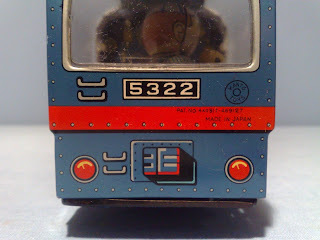 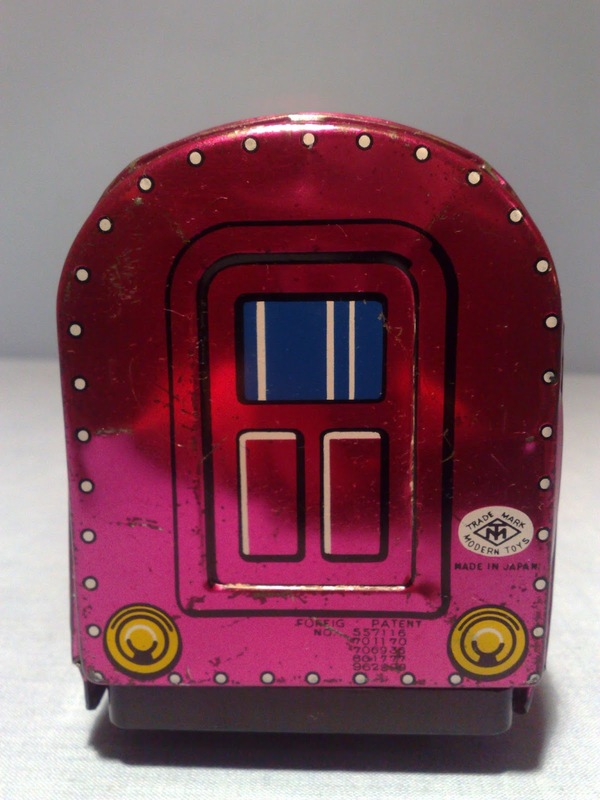 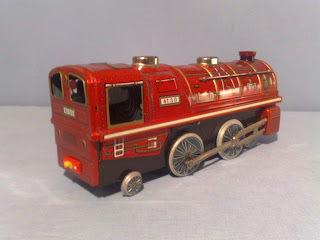 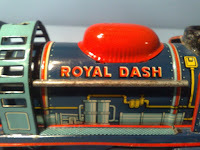 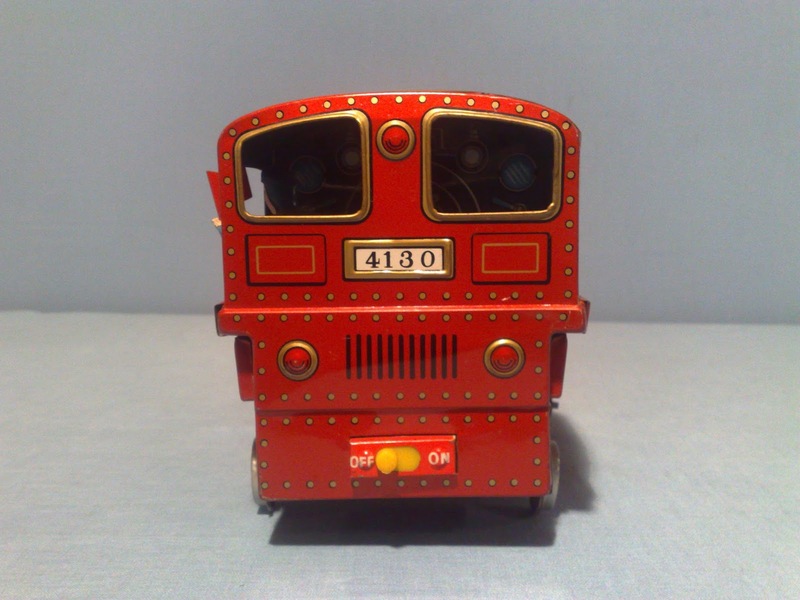 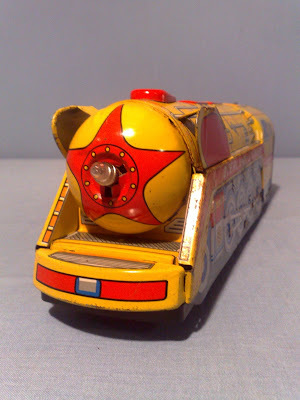 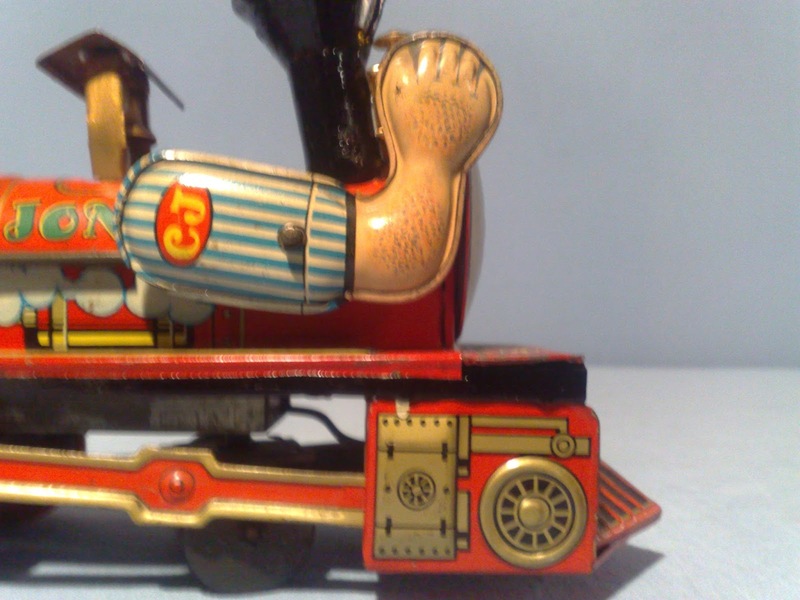 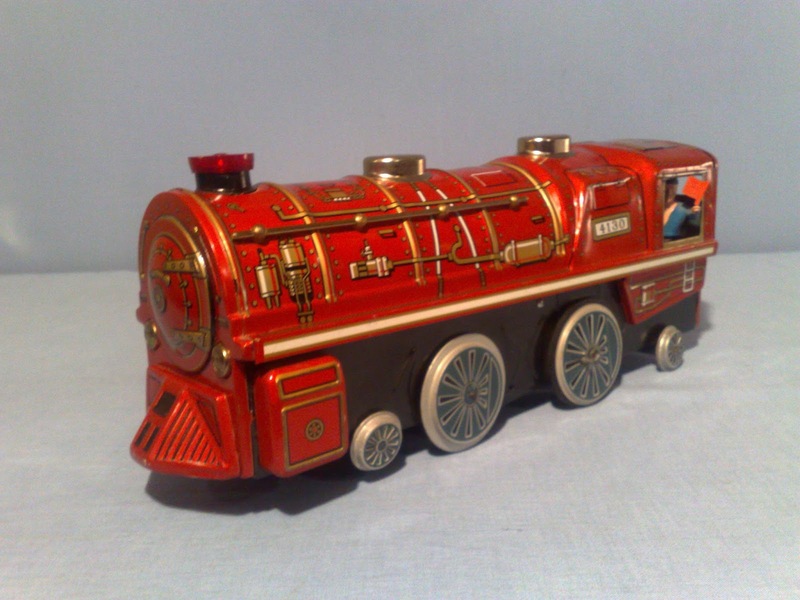 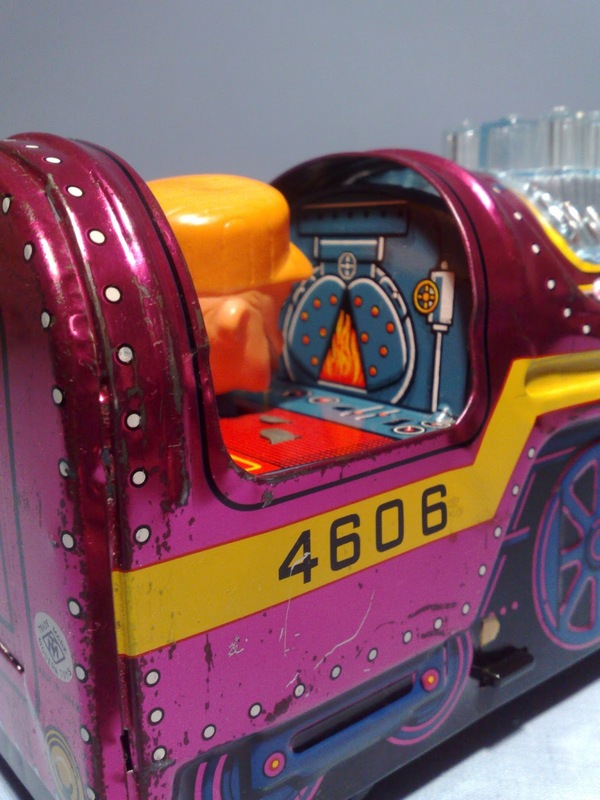 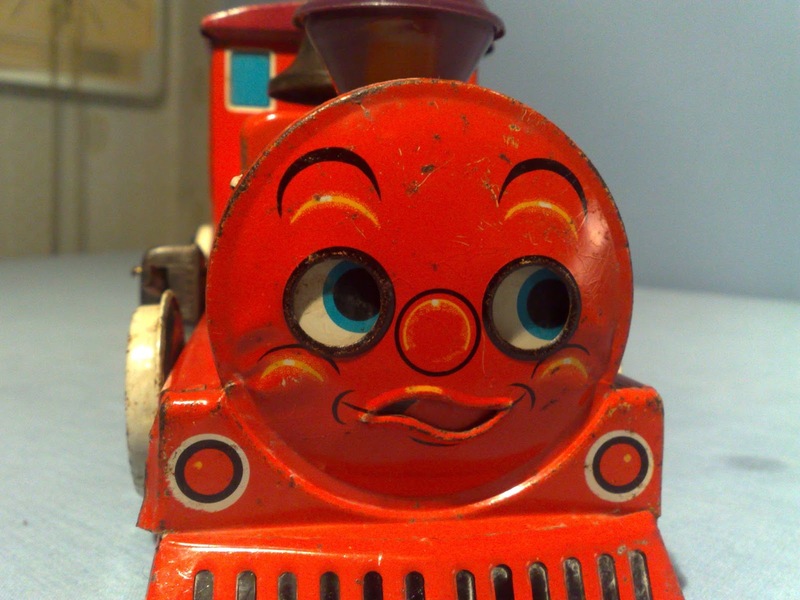 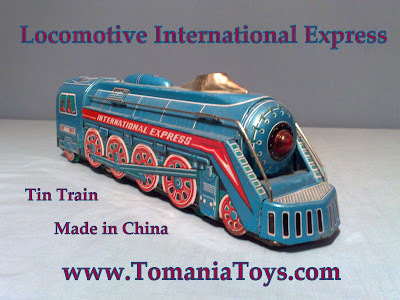 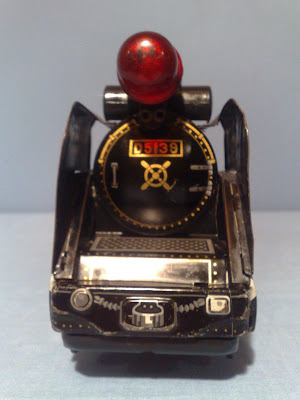 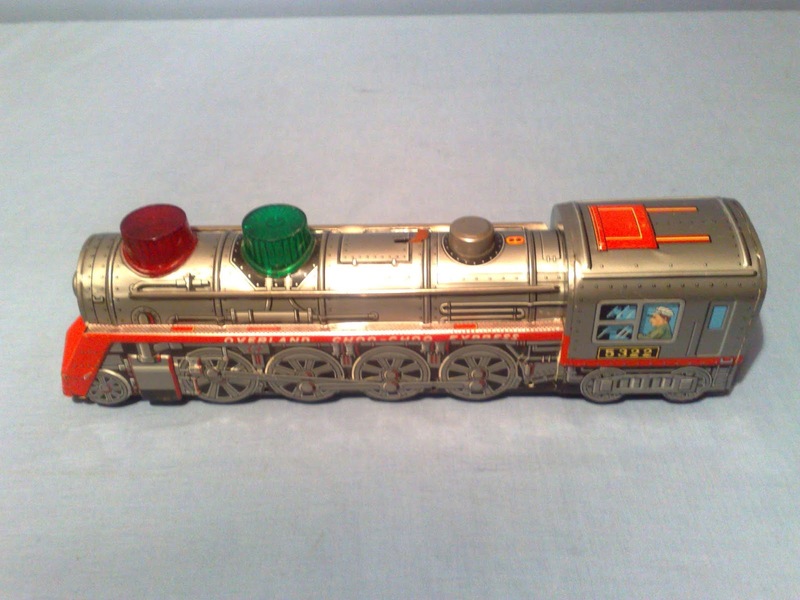 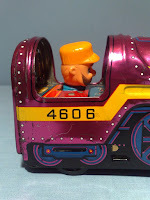 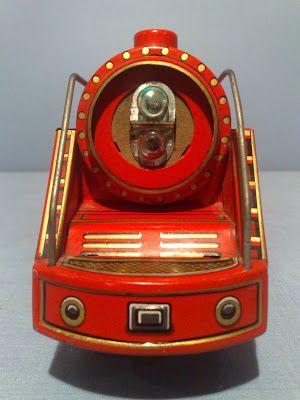 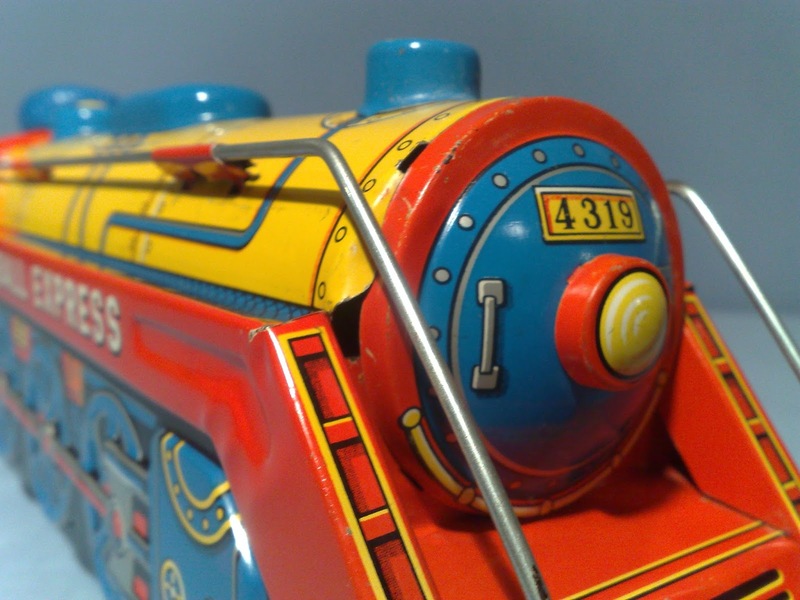 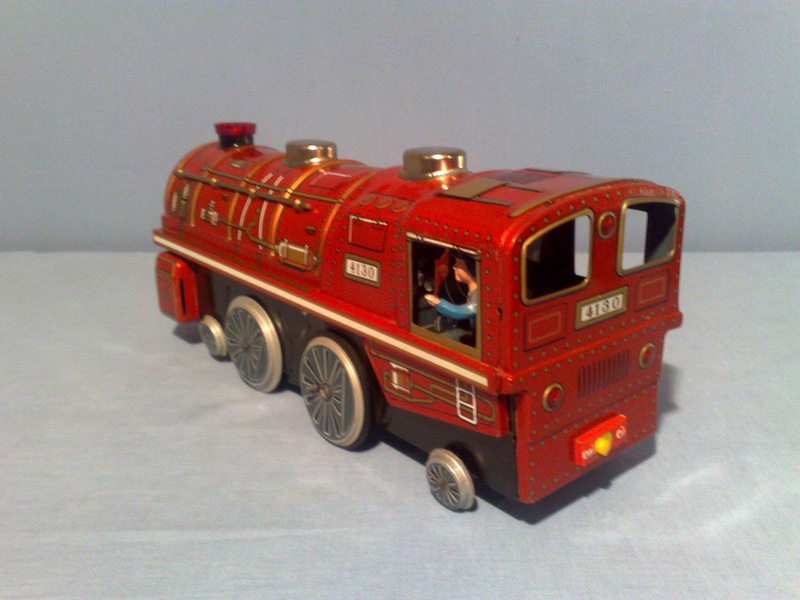 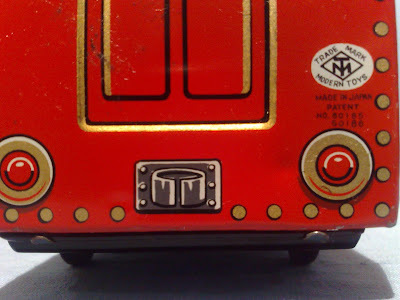 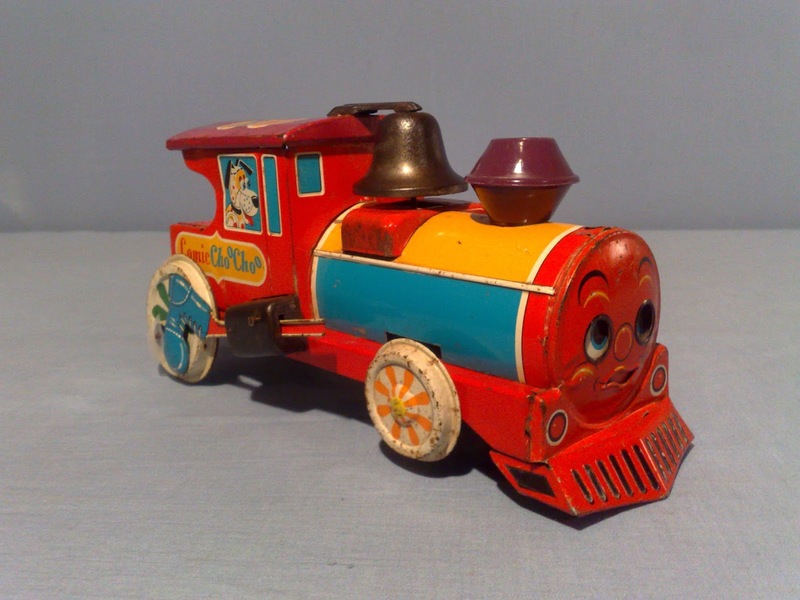 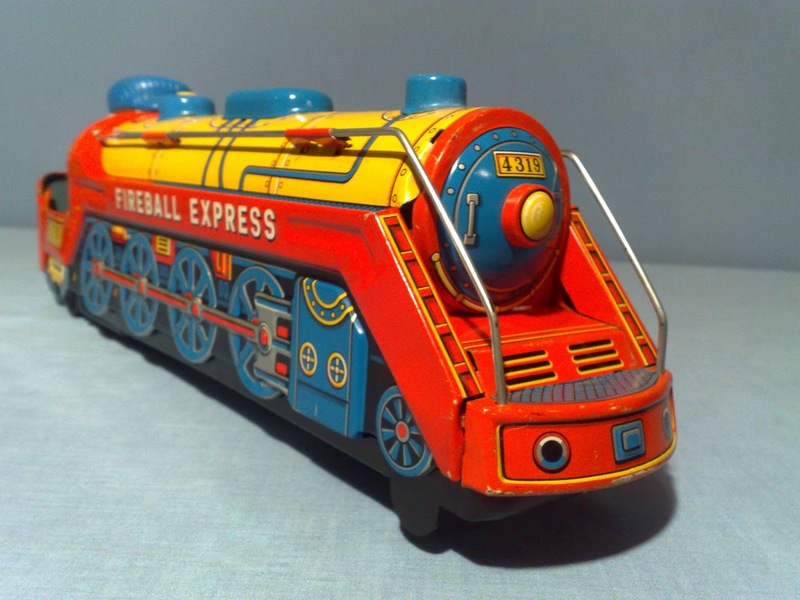 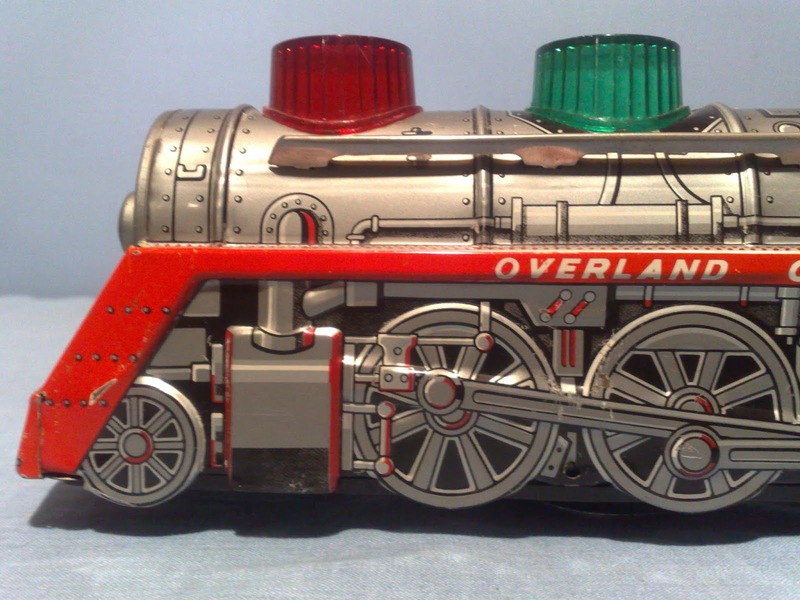 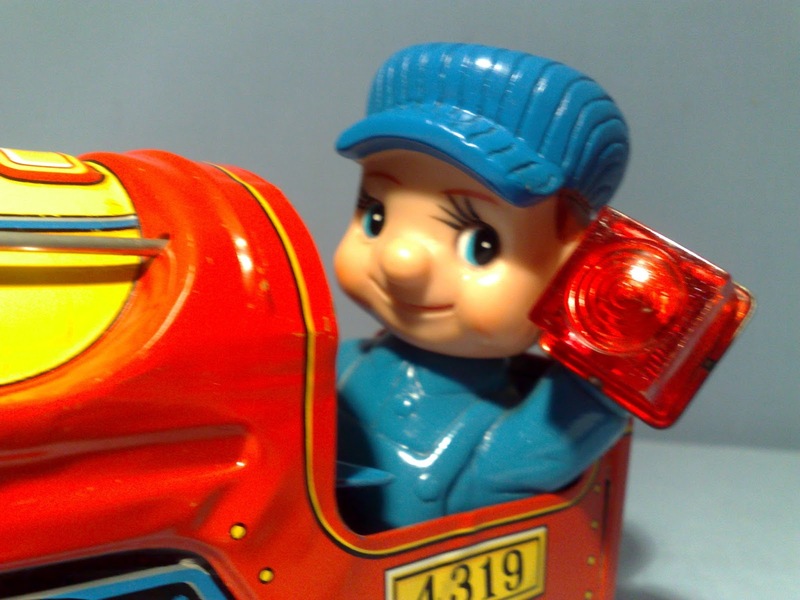 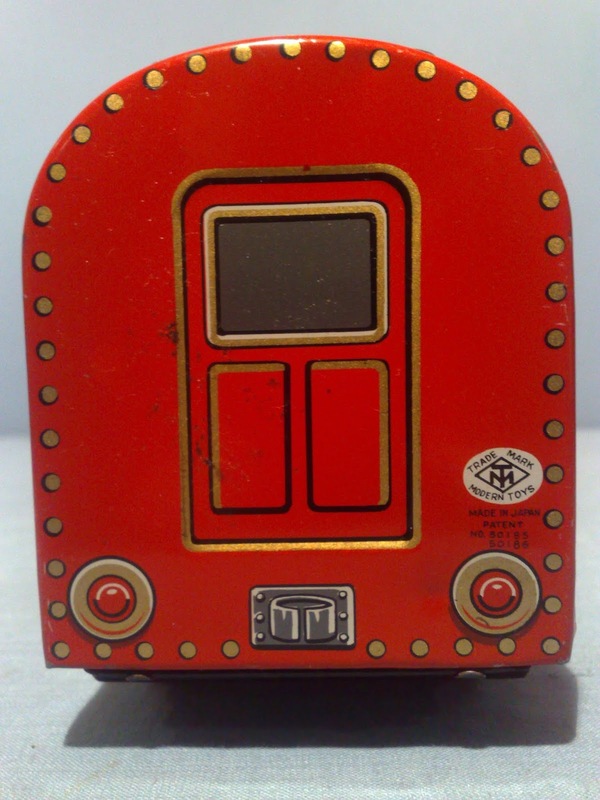 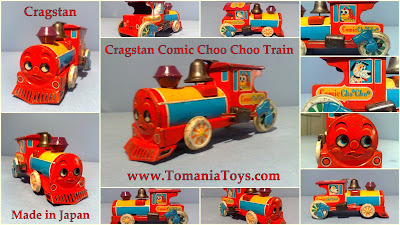 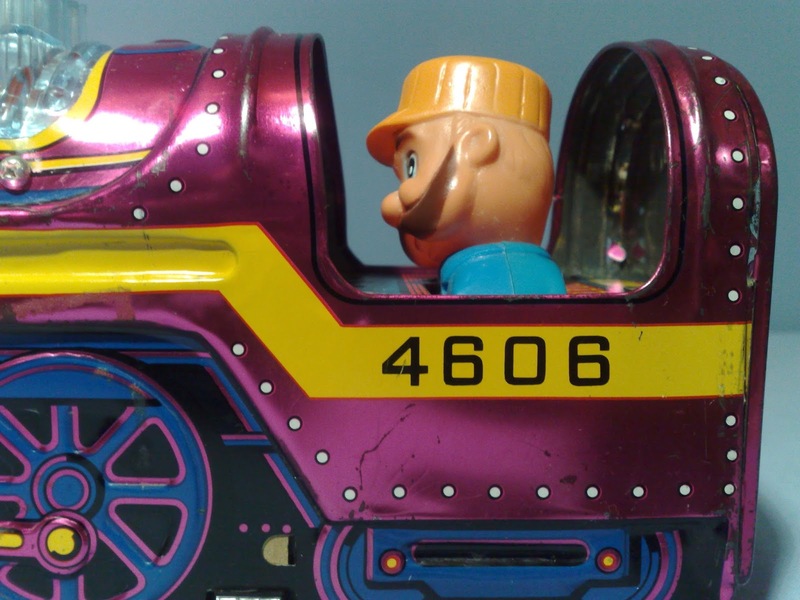 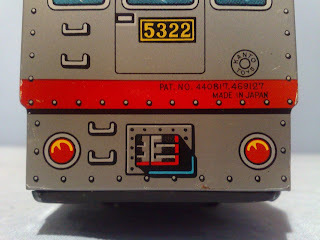 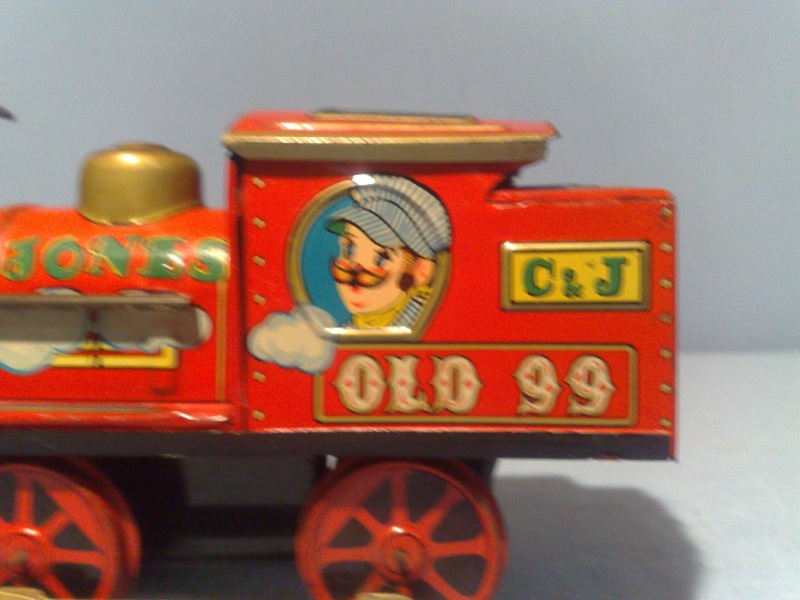 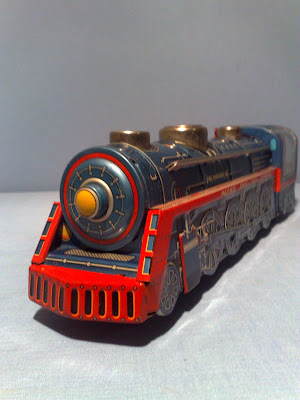 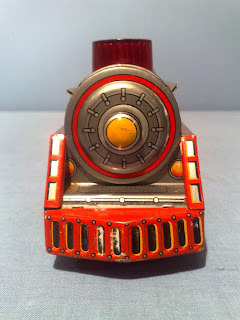 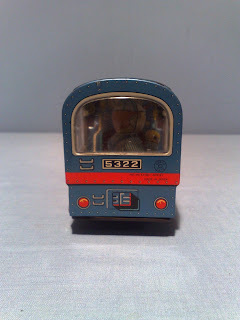 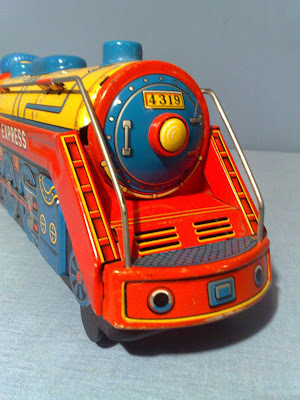 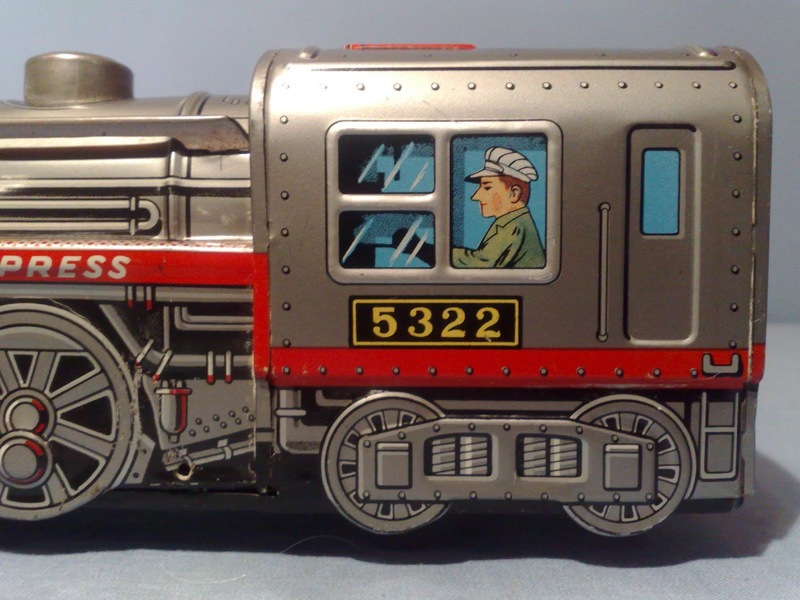 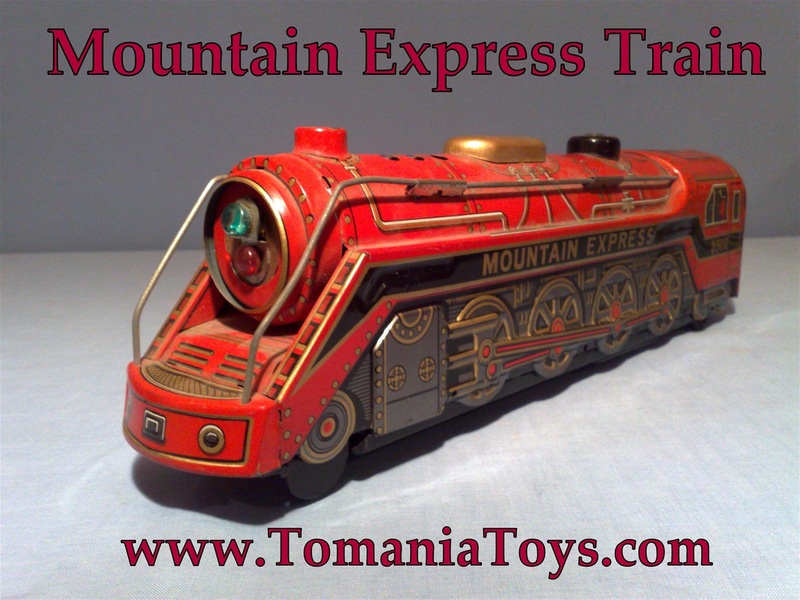 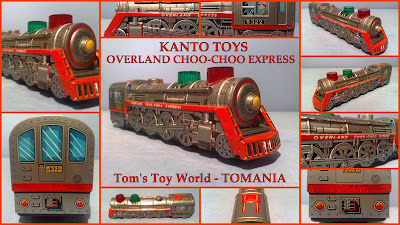 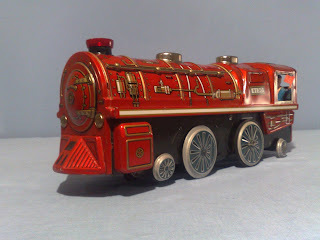 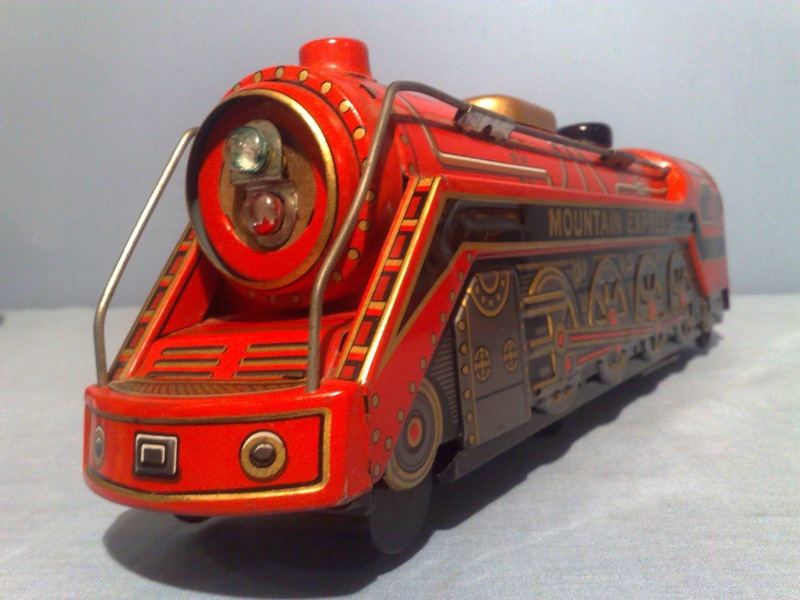 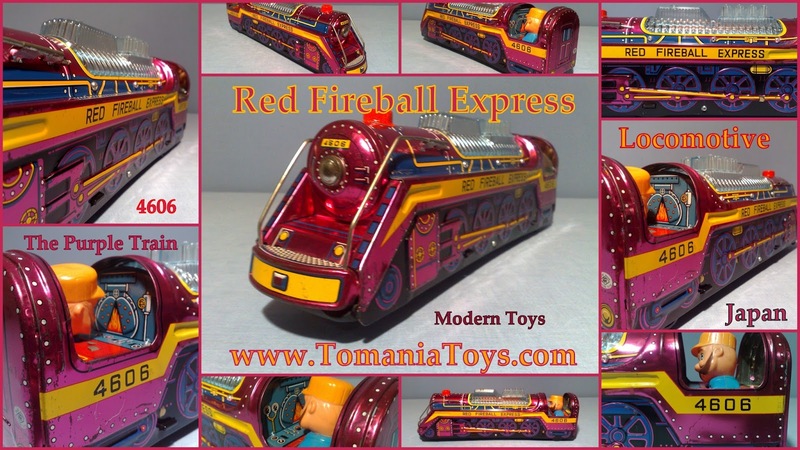 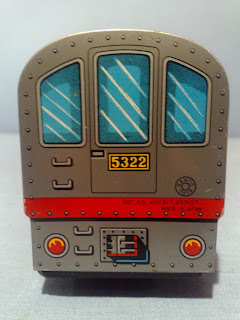 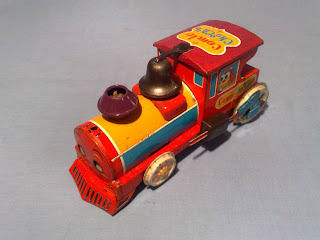 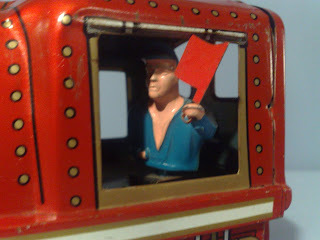 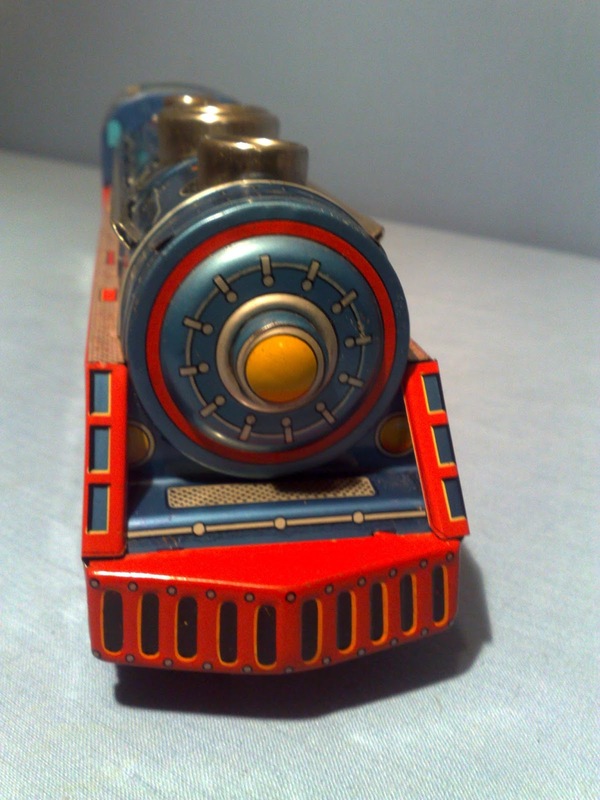 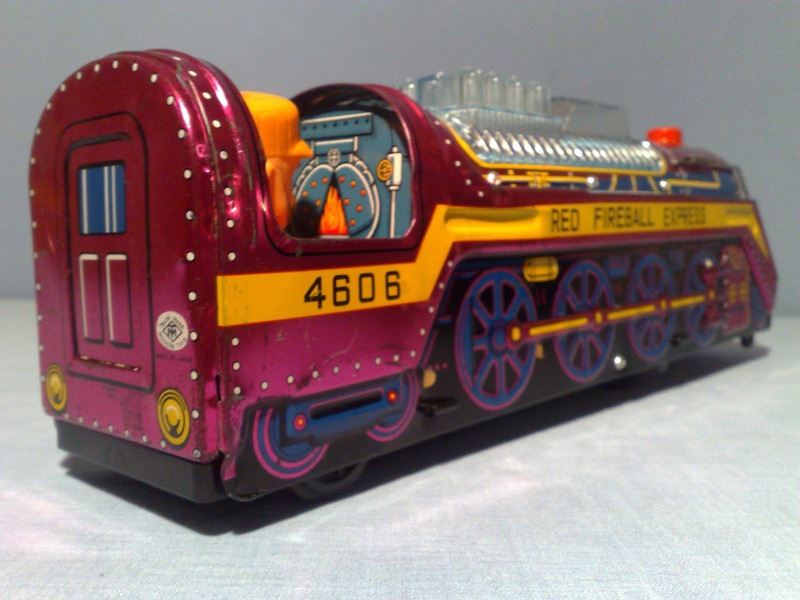 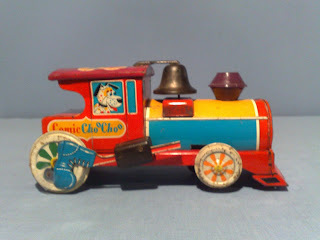 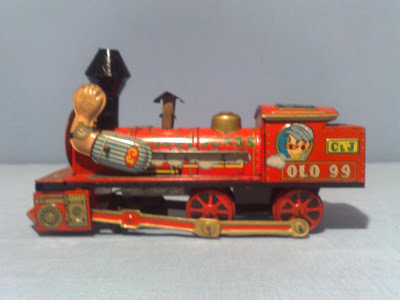 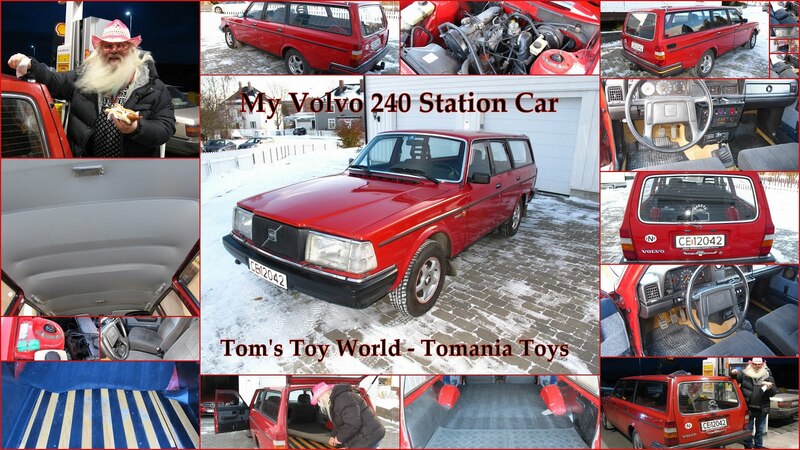 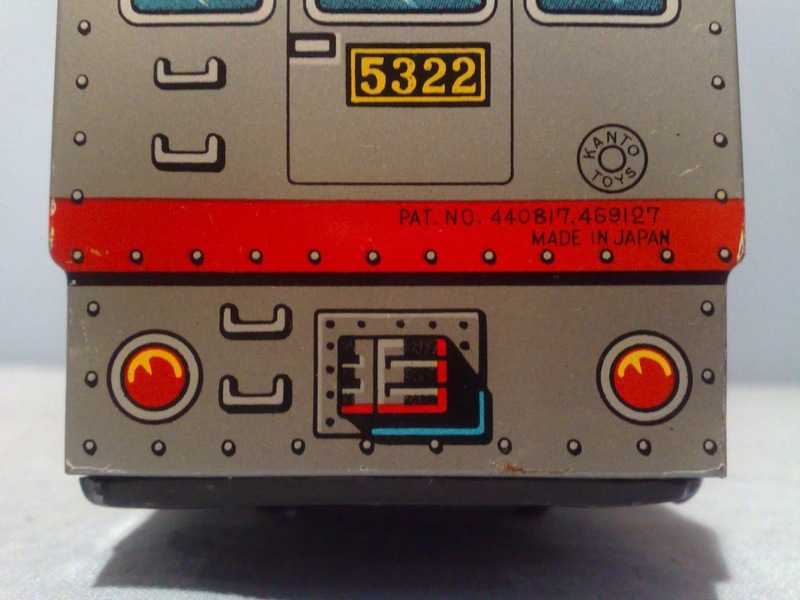 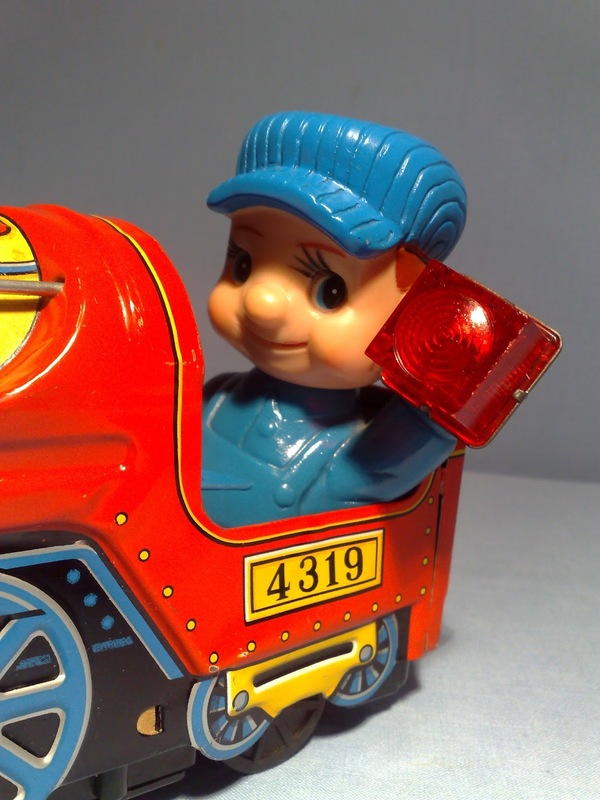 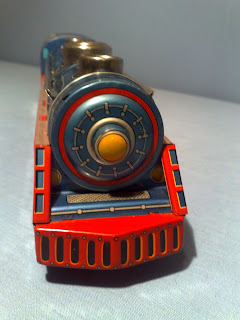 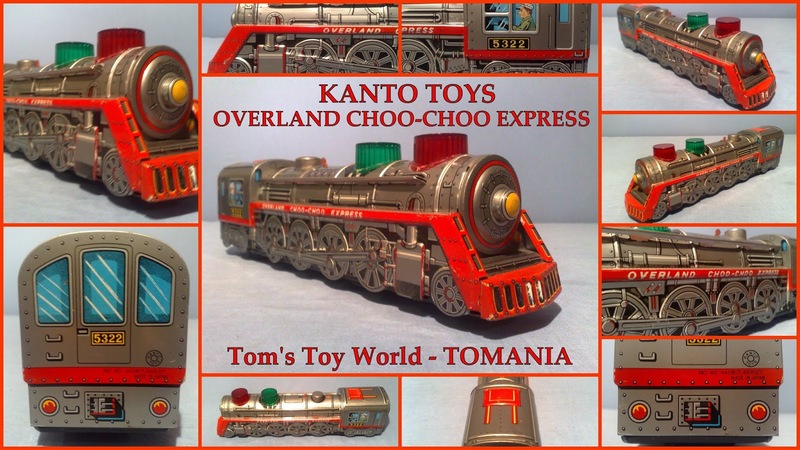 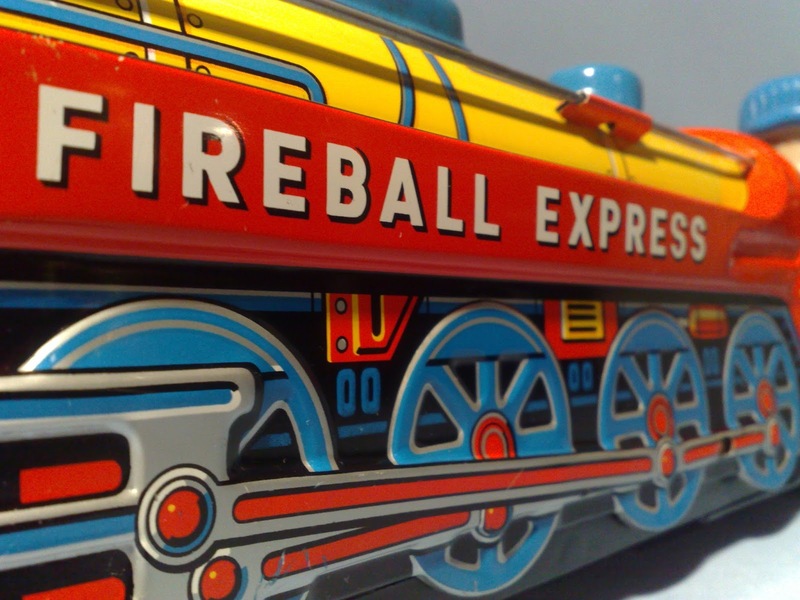 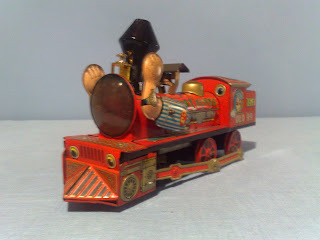 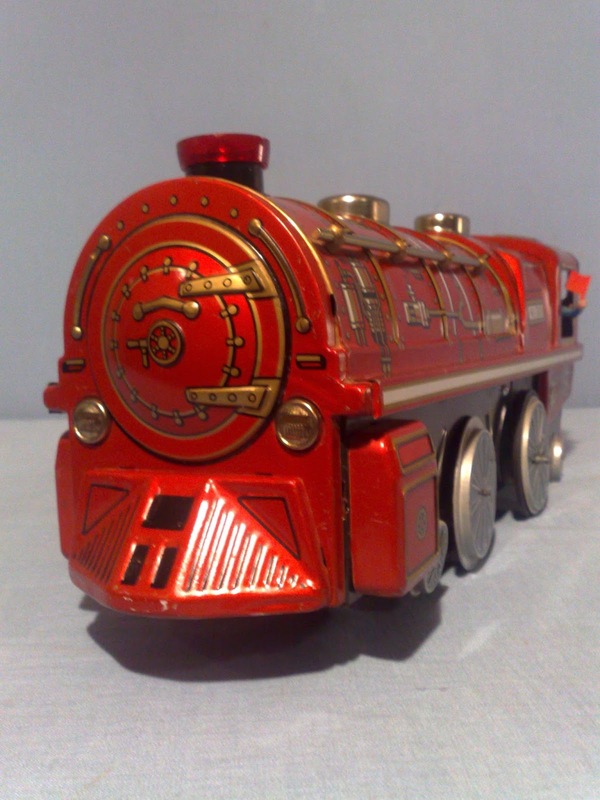 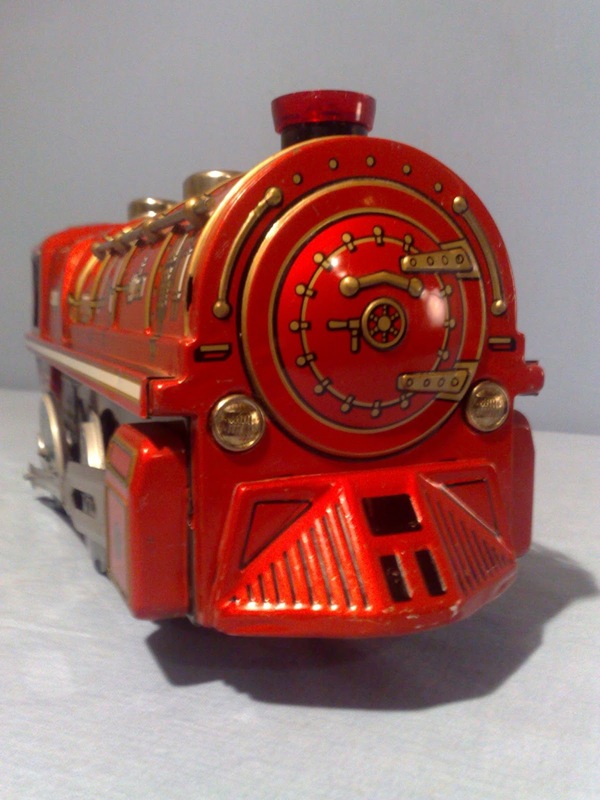 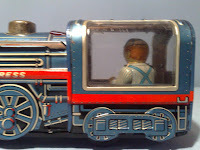 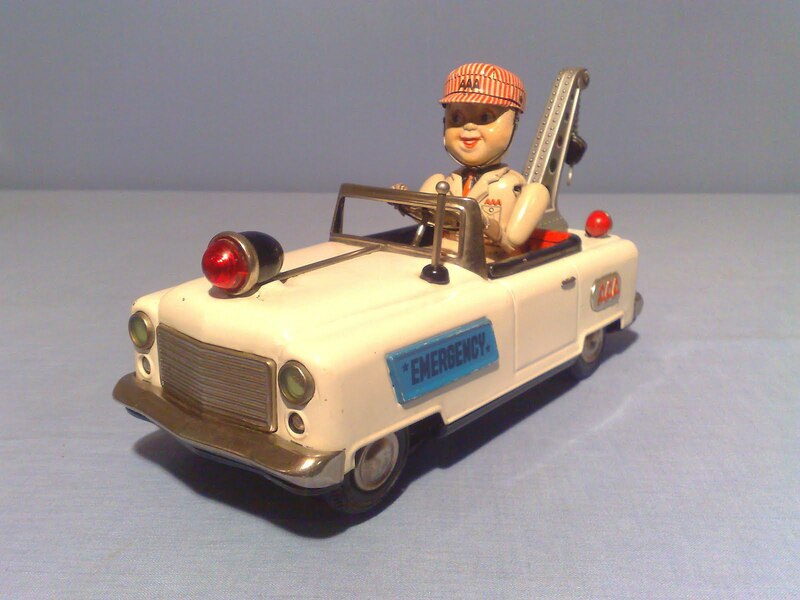 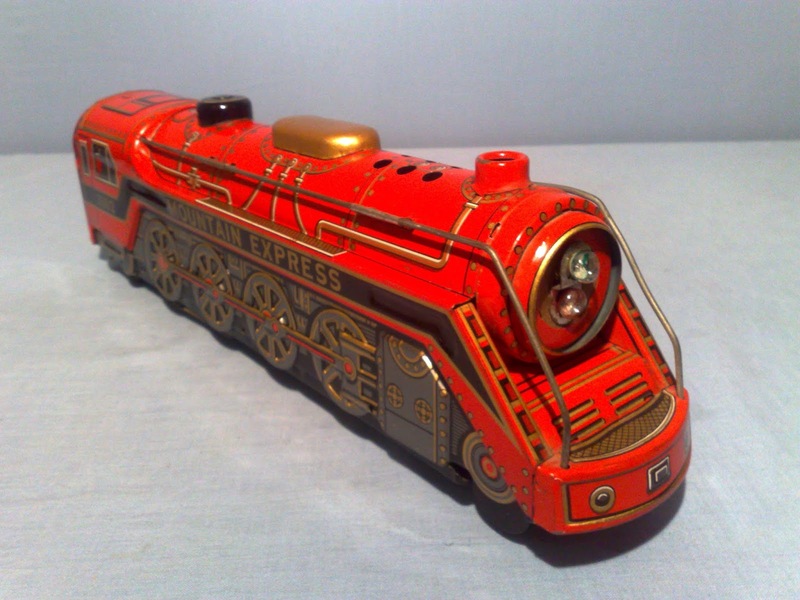 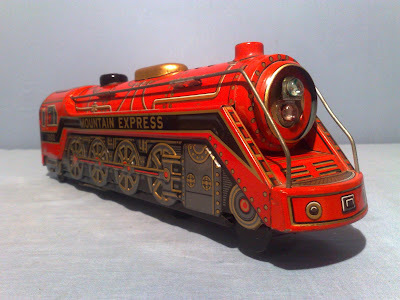 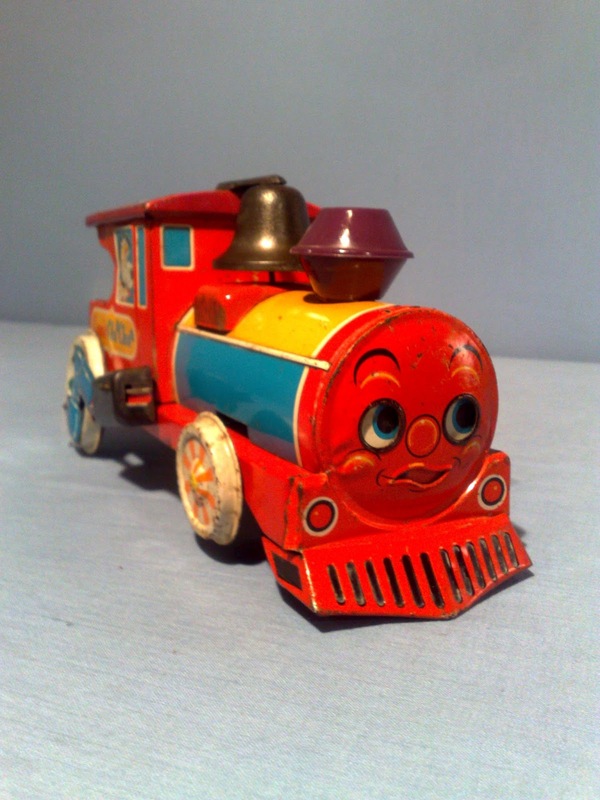 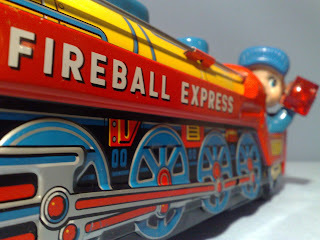 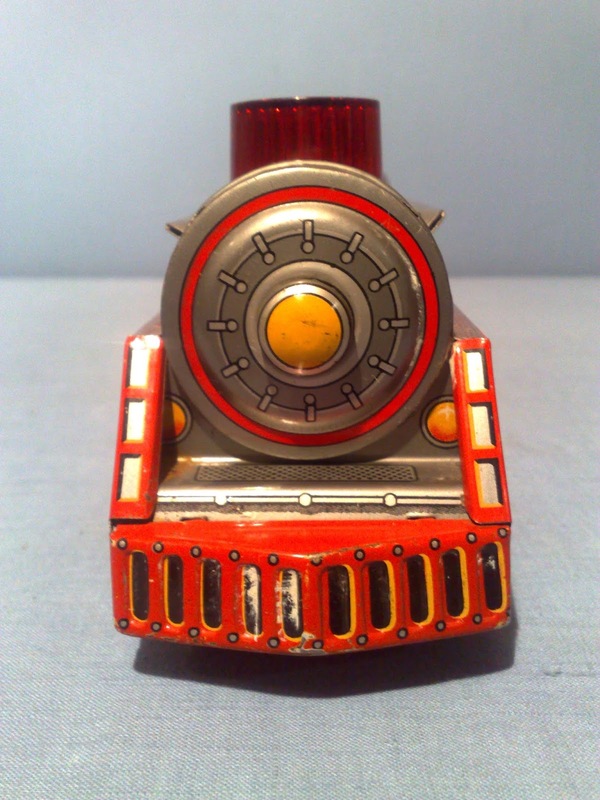 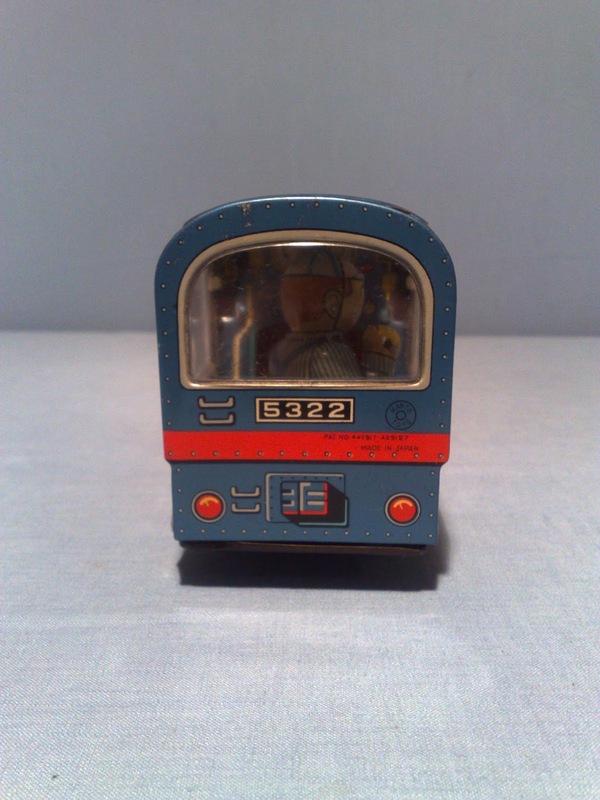 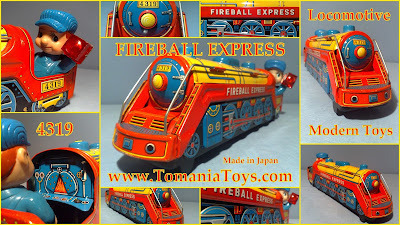 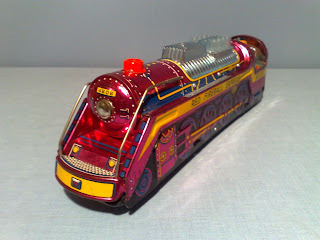 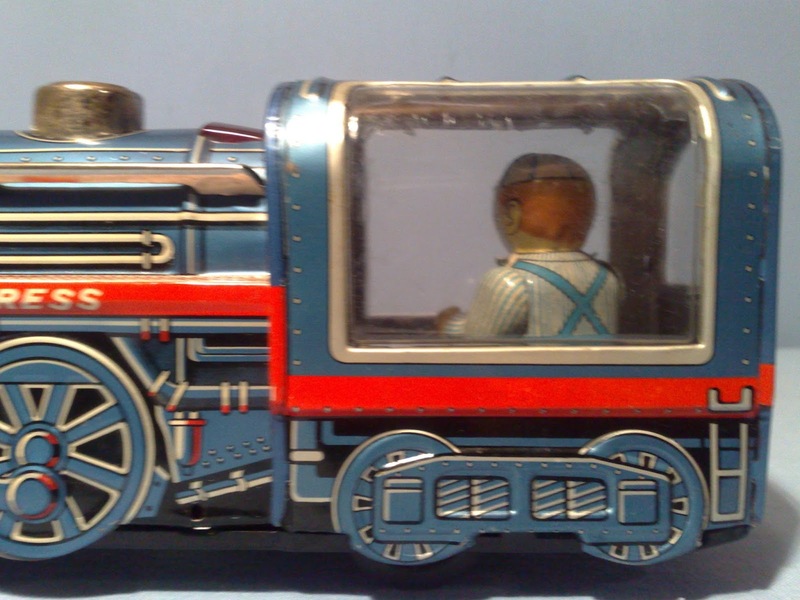 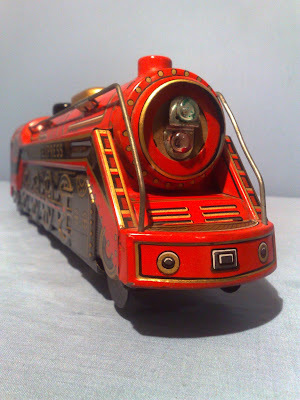 Tin Toy Train with Loc-Driver moving & waving his Red Light! 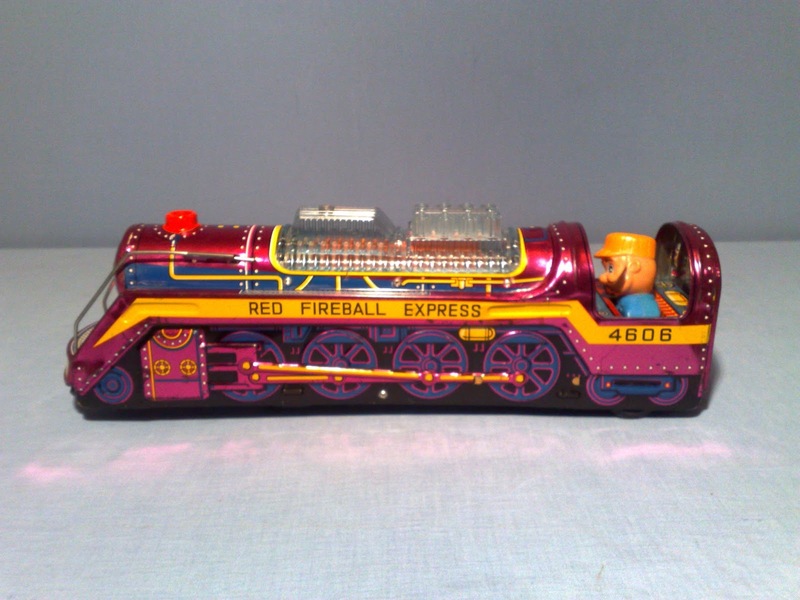 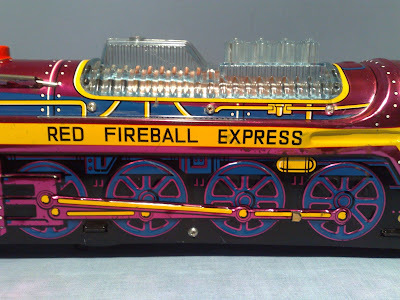 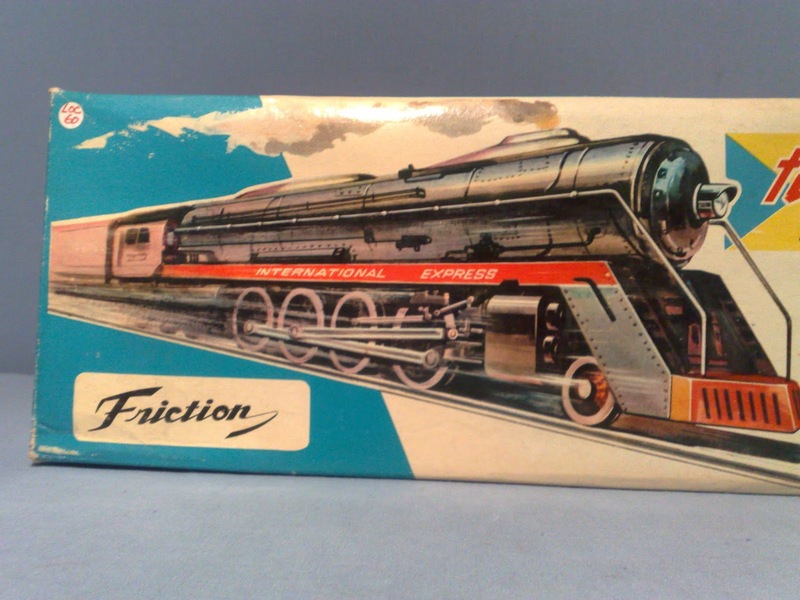 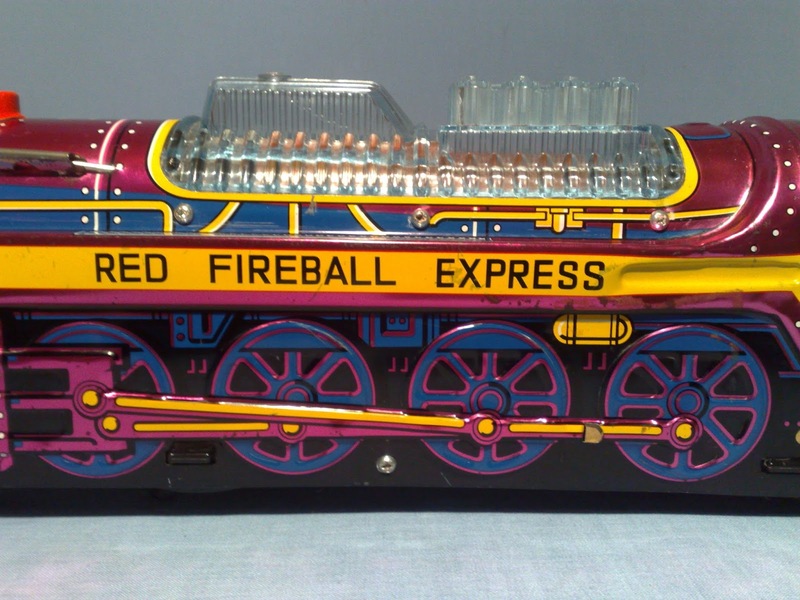 Friction Locomotive - Original Boxed and in Nice Condition! 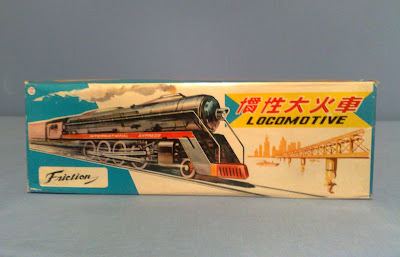 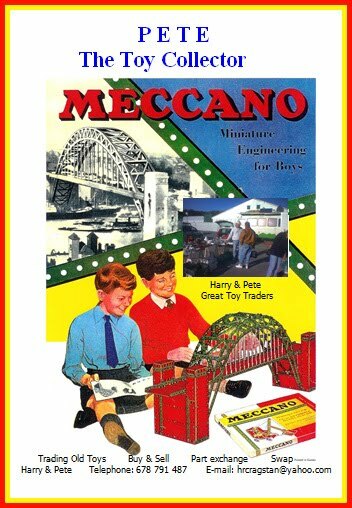 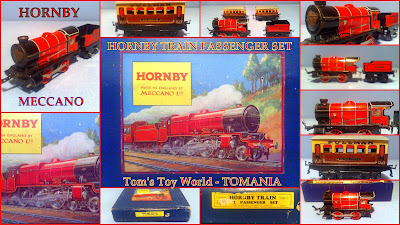 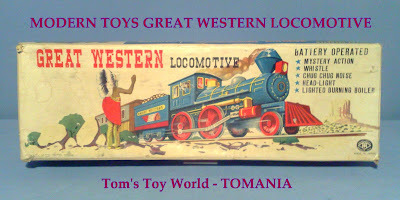 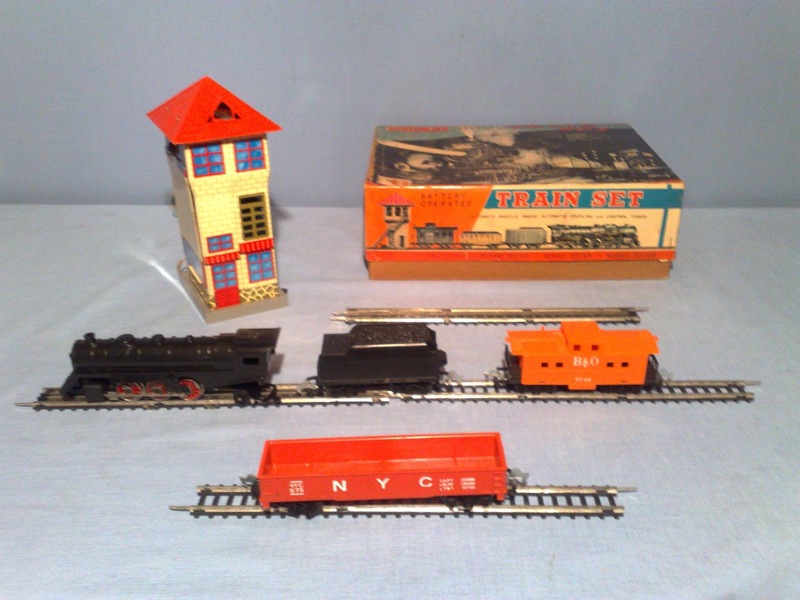 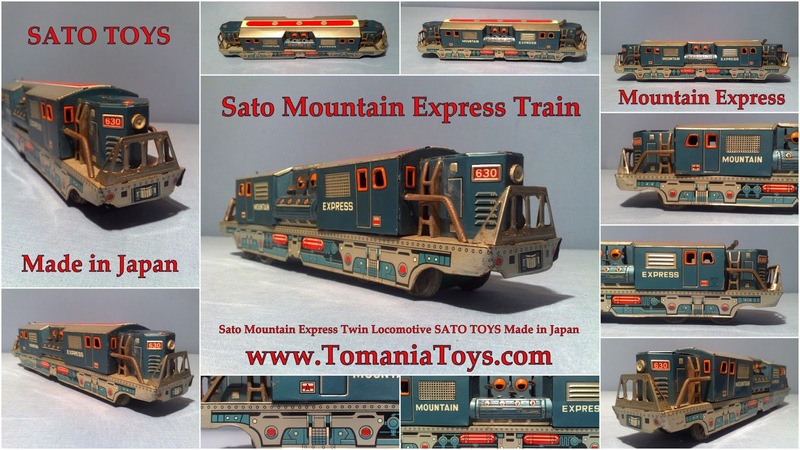 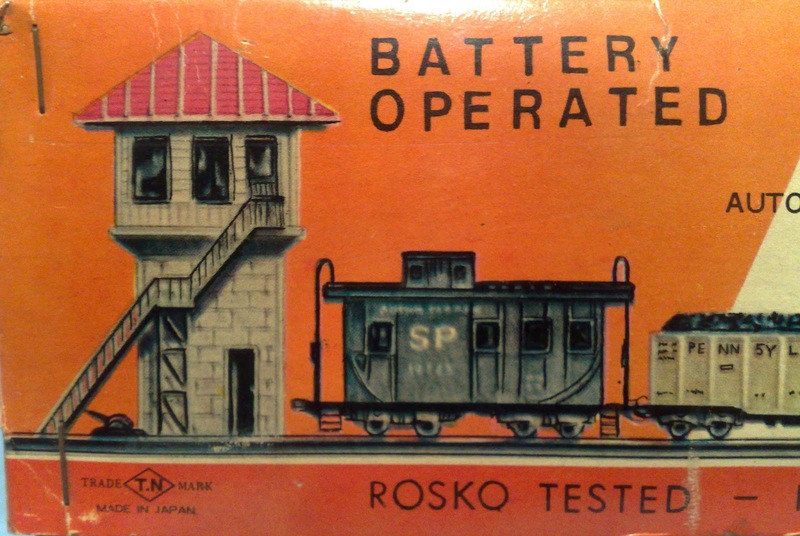 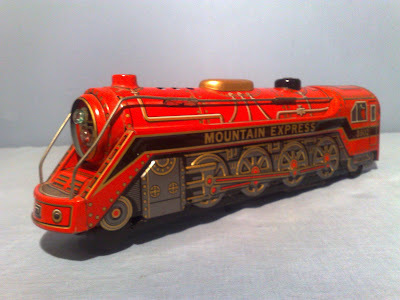 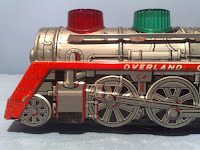 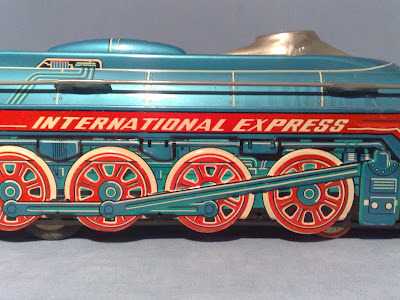 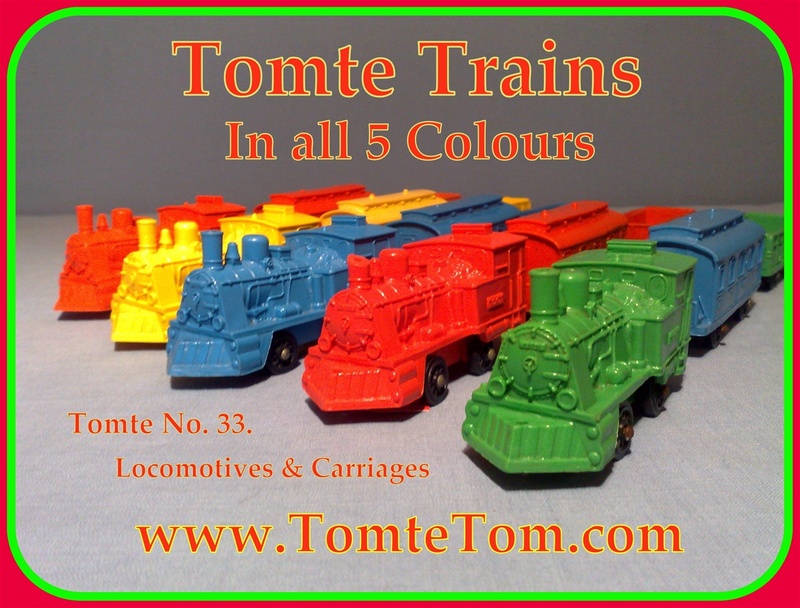 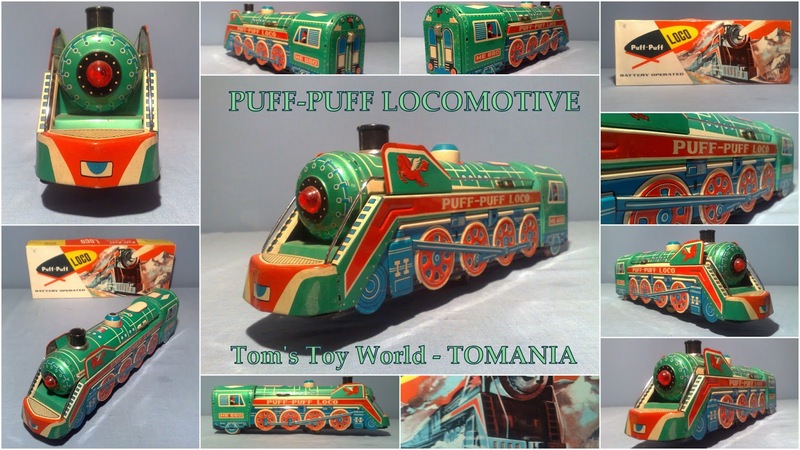 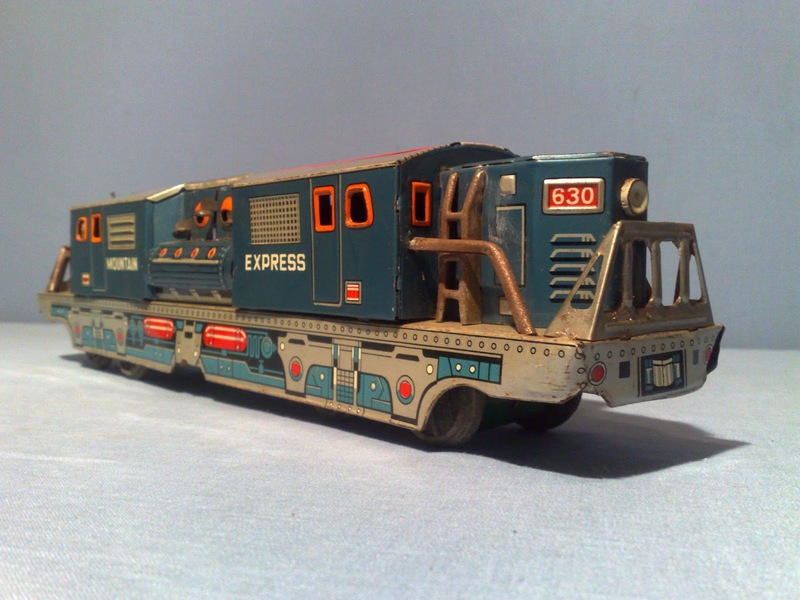 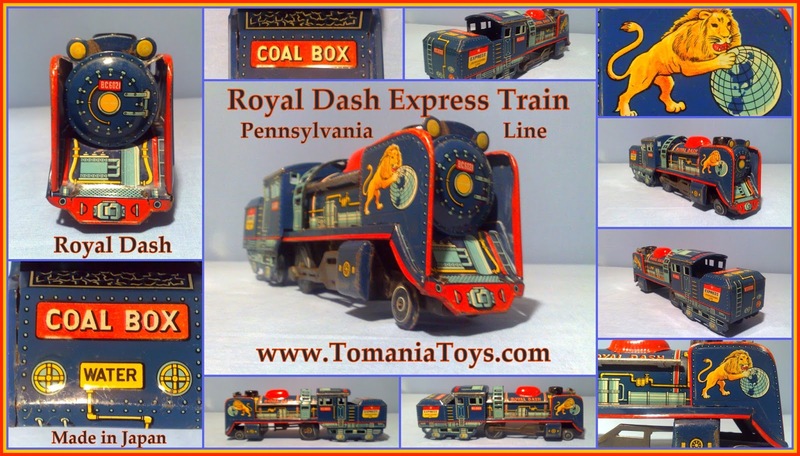 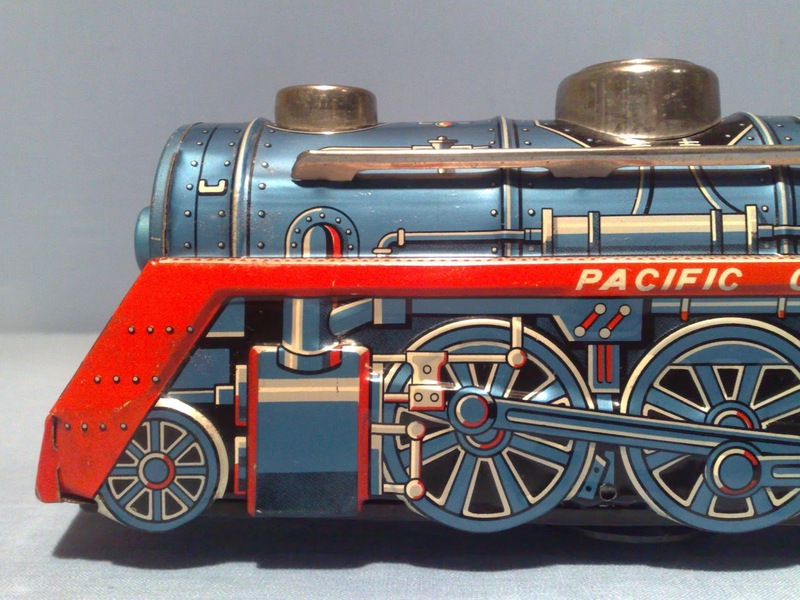 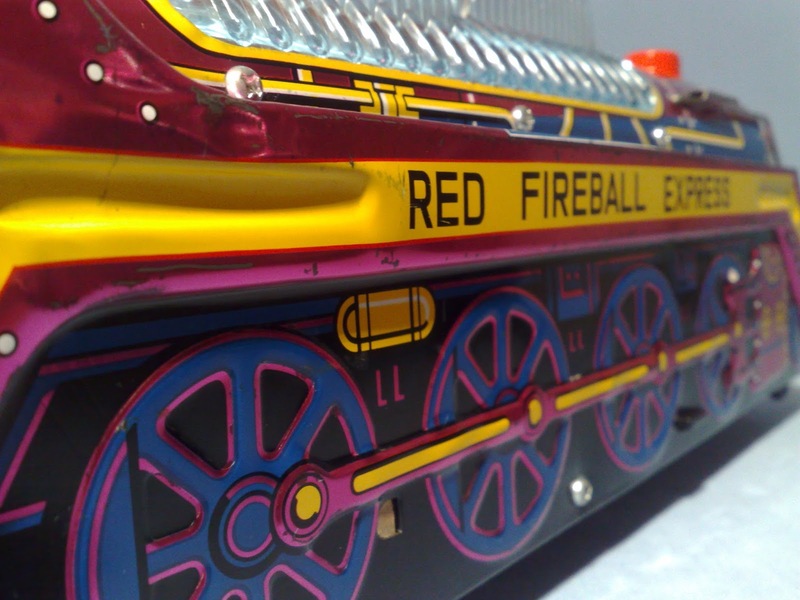 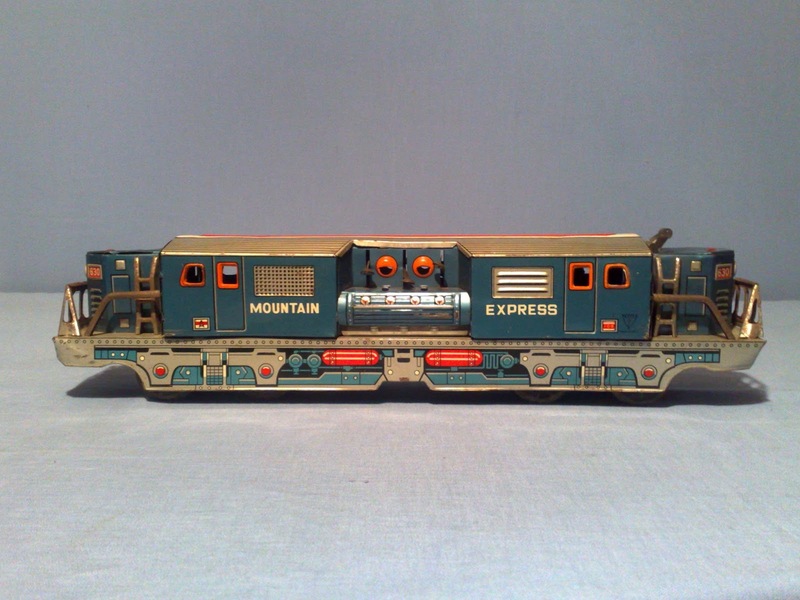 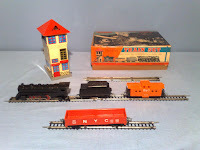 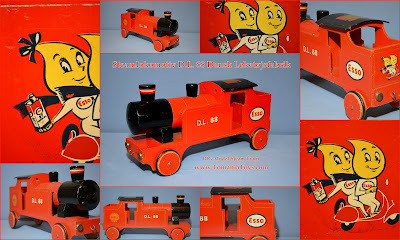 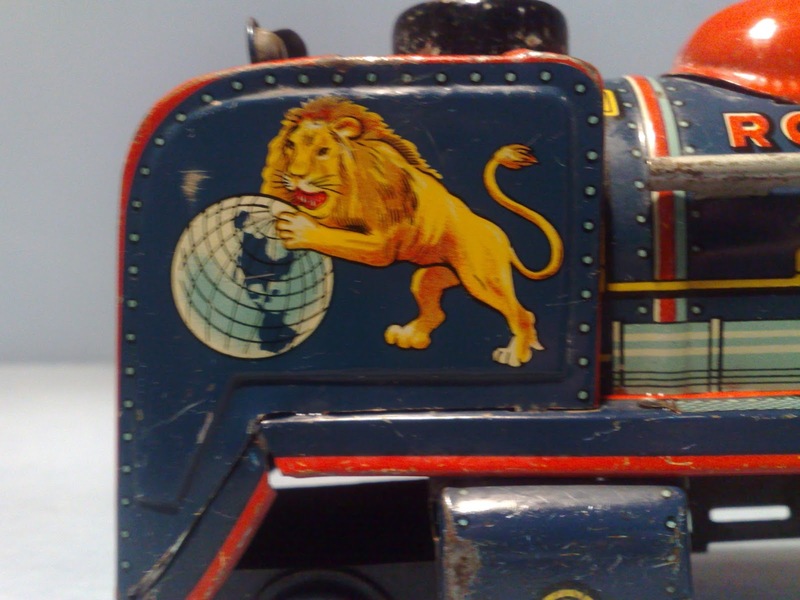 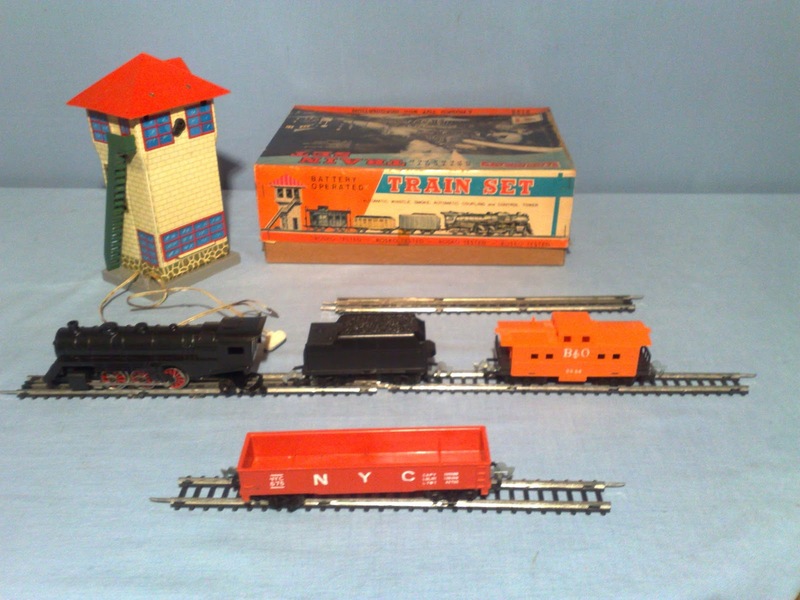 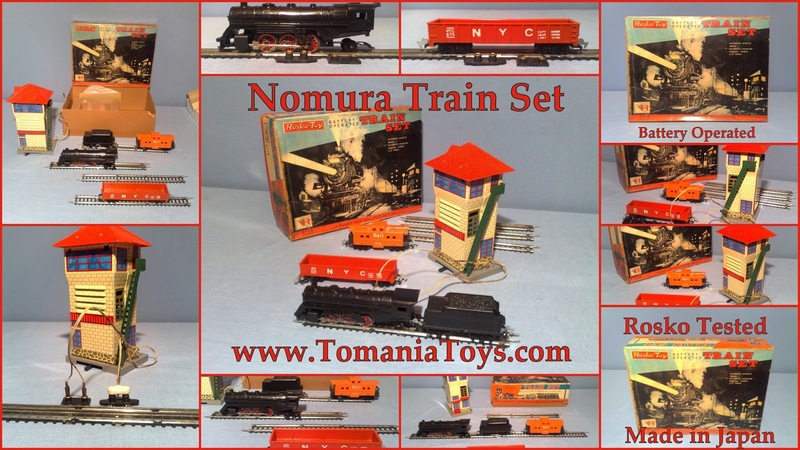 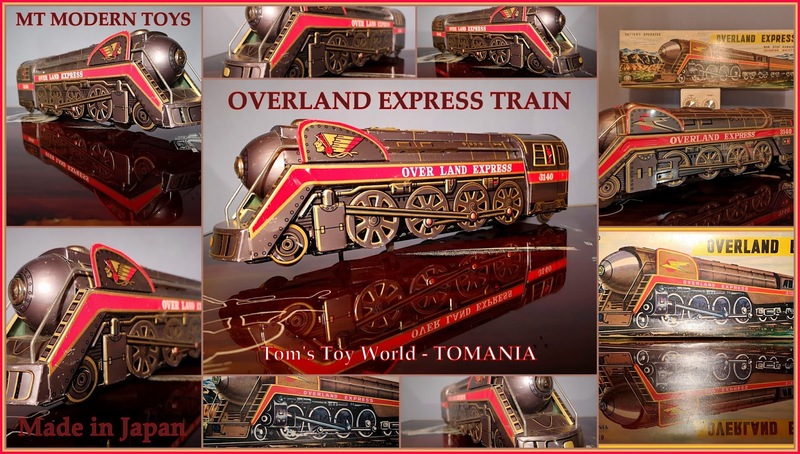 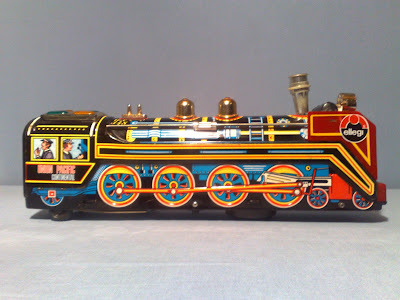 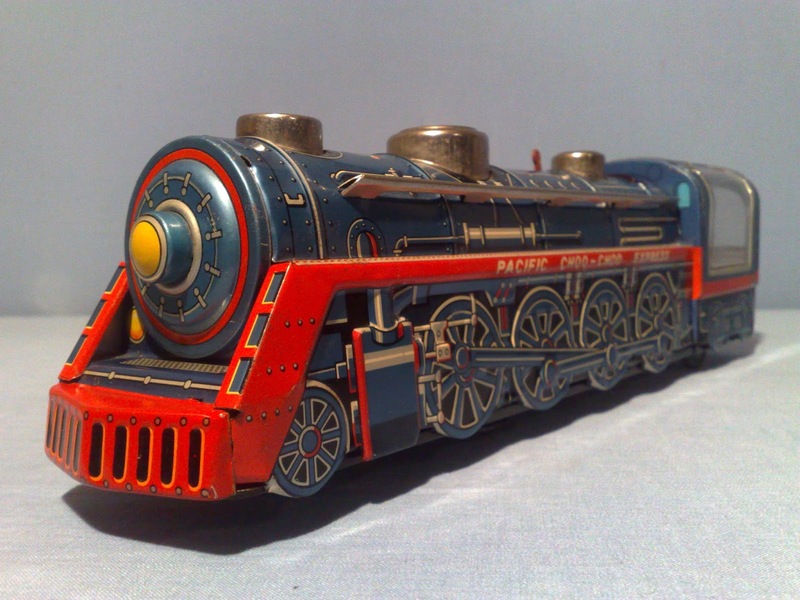 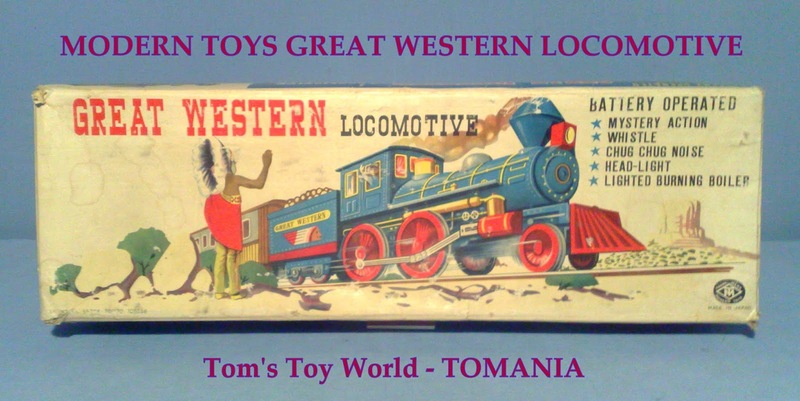 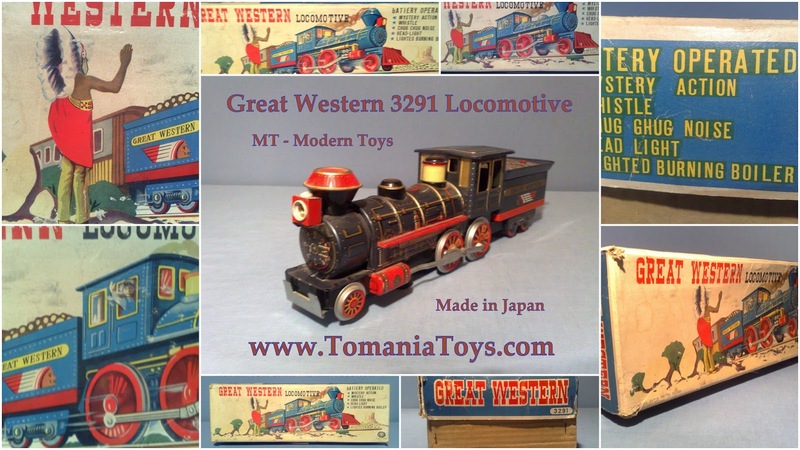 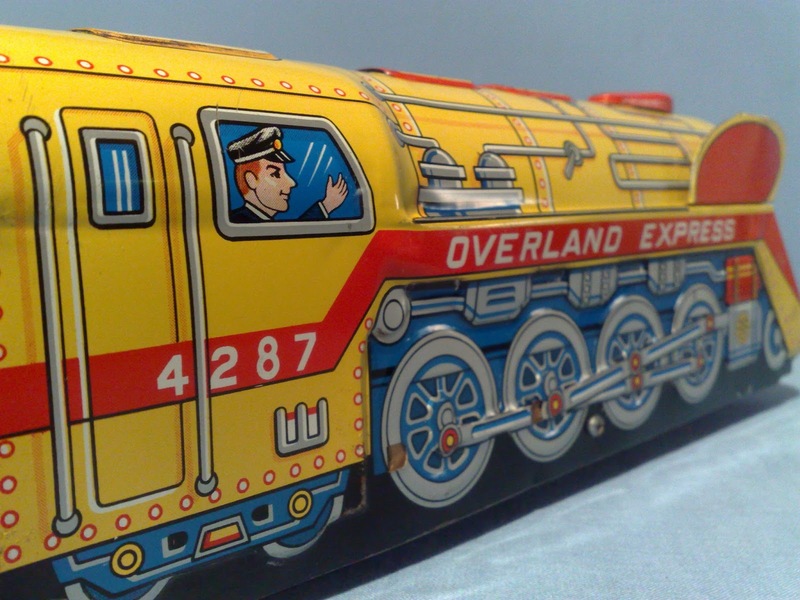 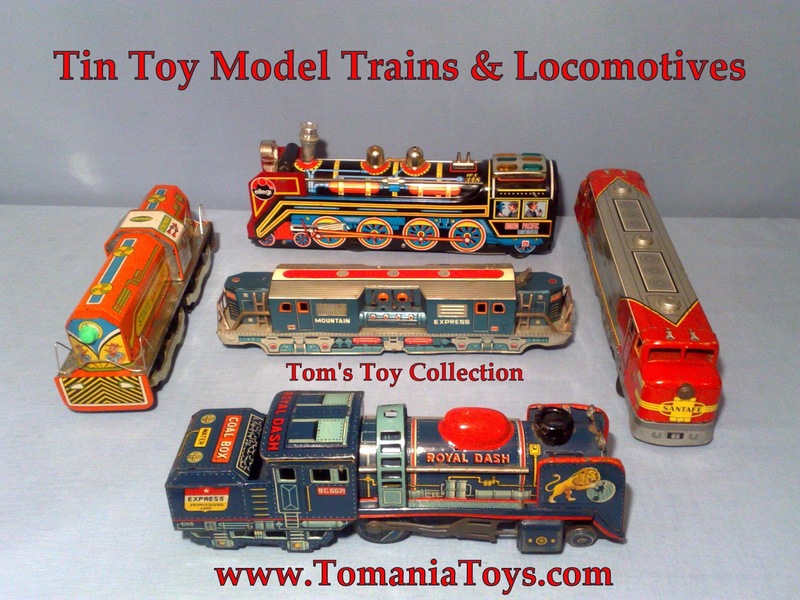 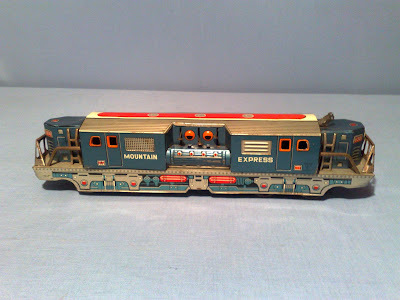 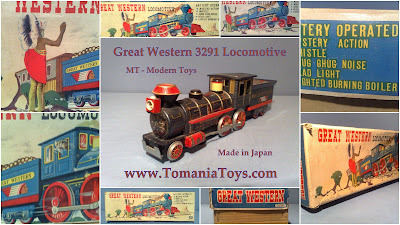 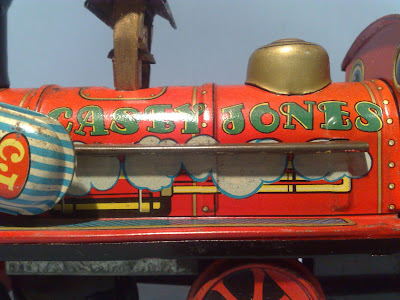 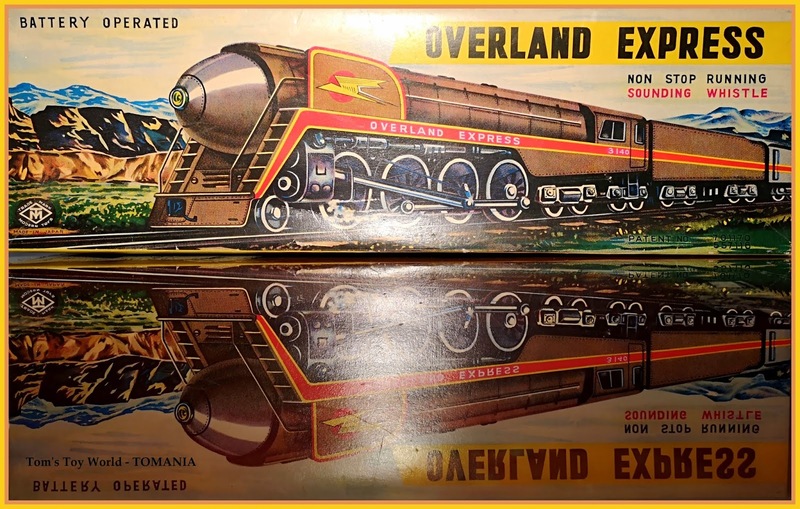 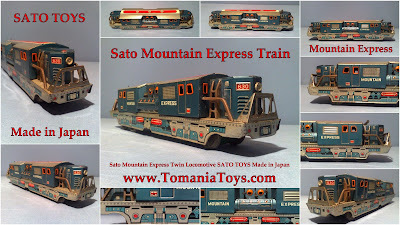 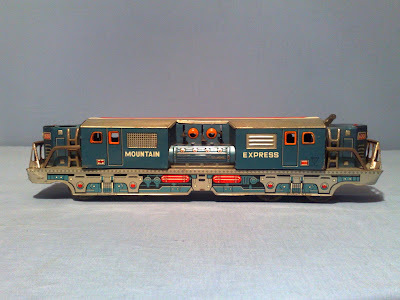 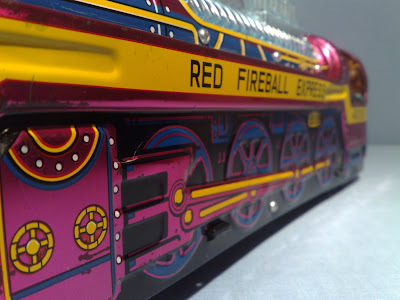 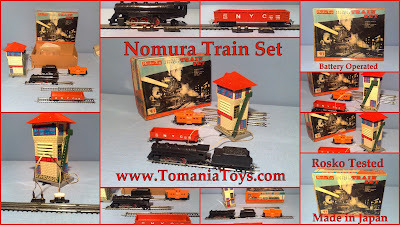 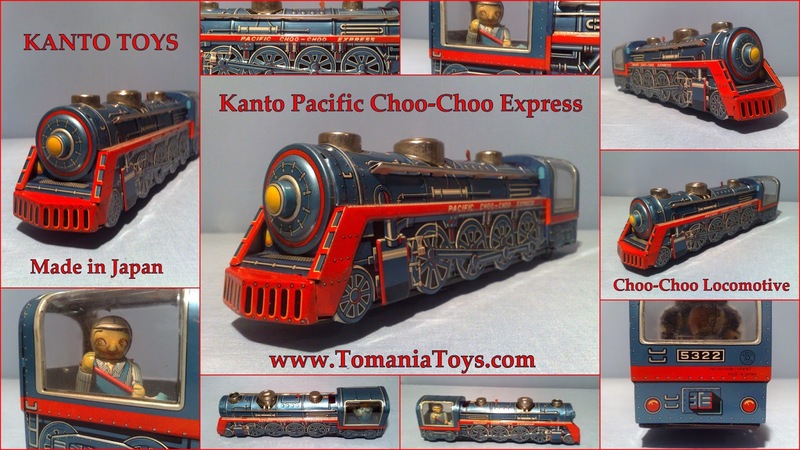 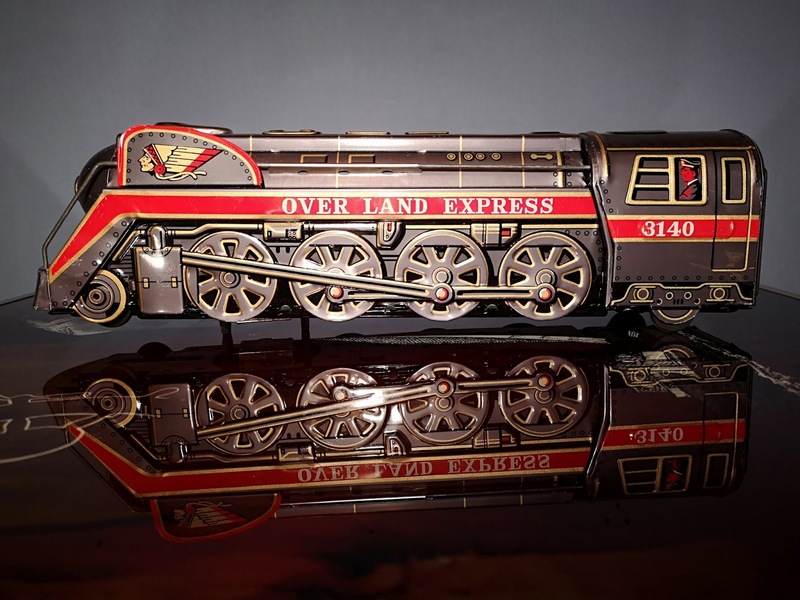 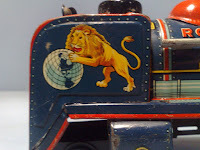 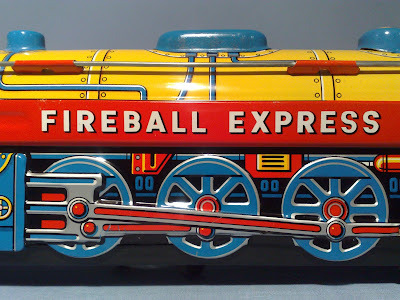 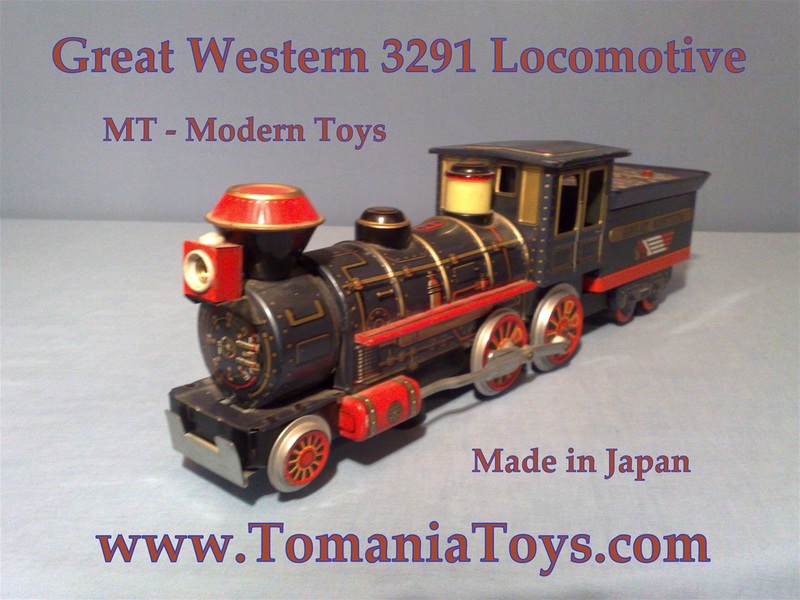 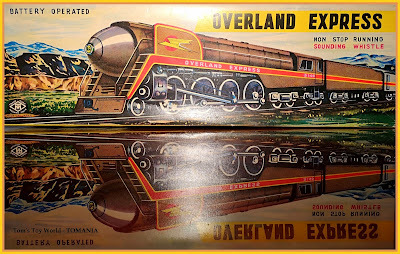 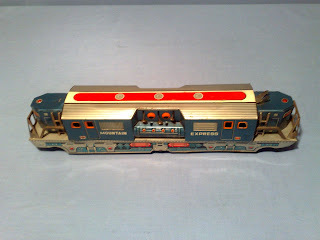 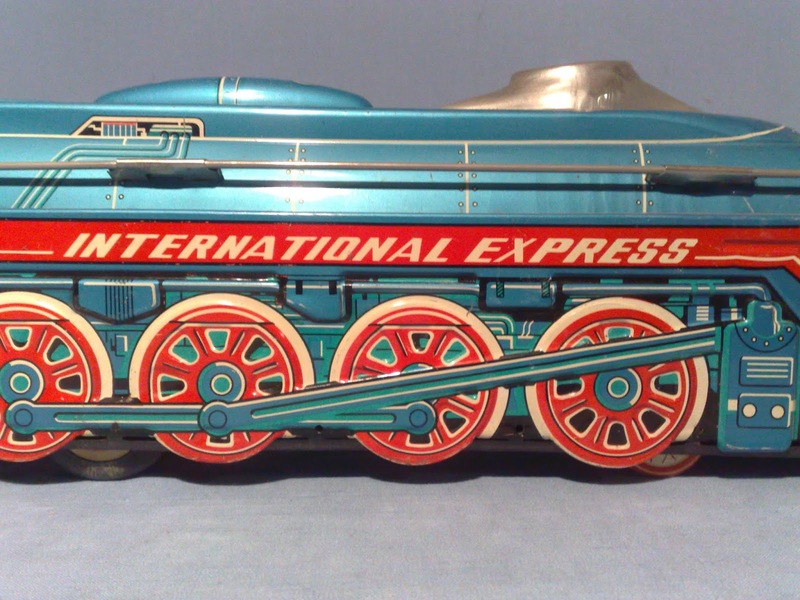 All great lithographed models - Locomotive & Wagons! 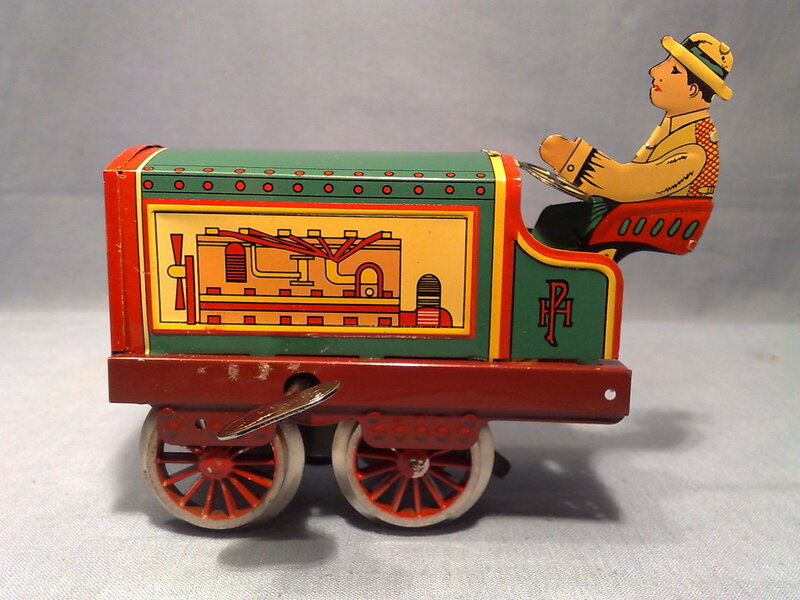 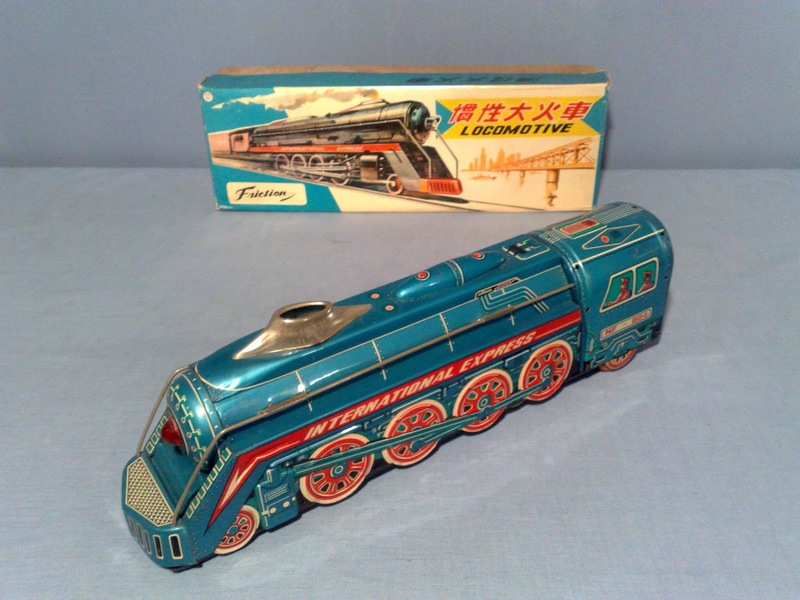 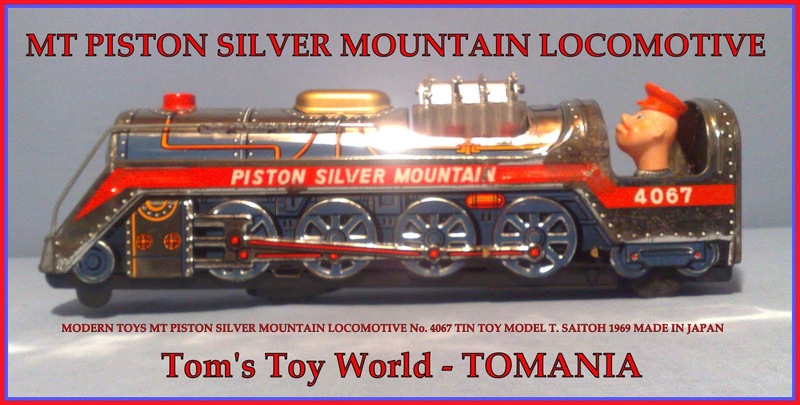 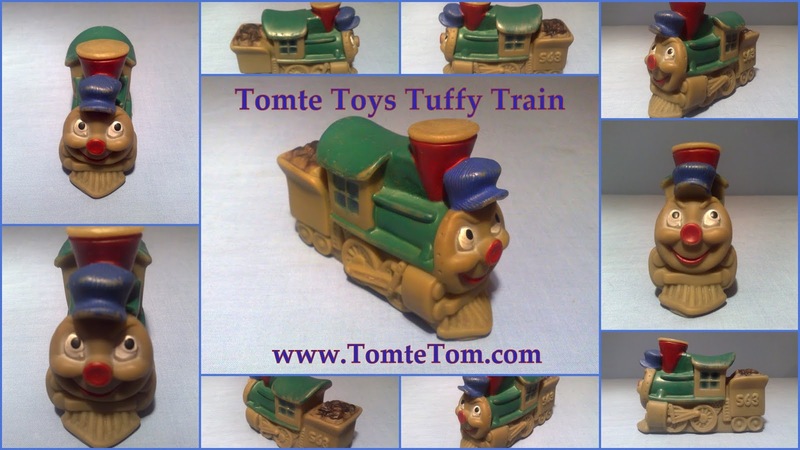 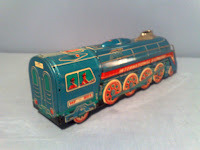 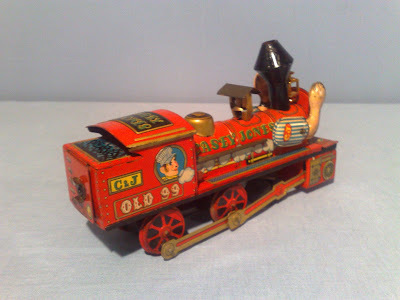 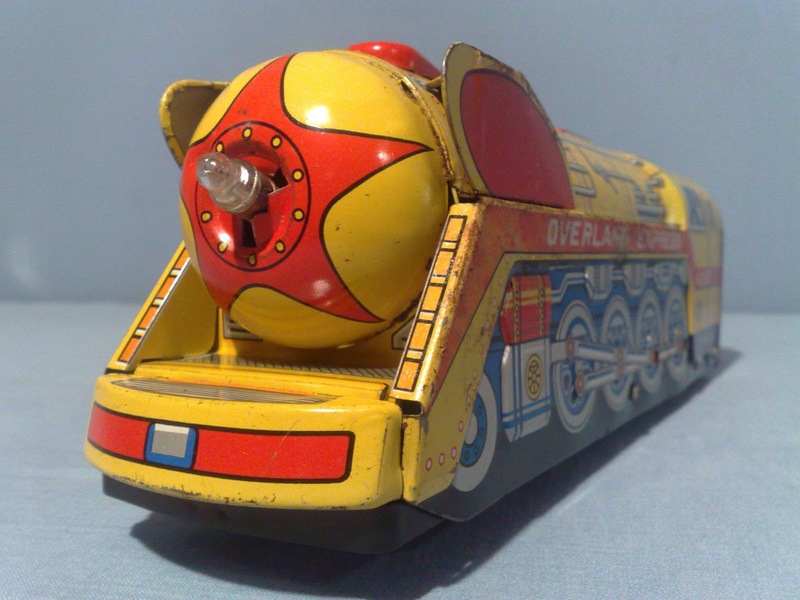 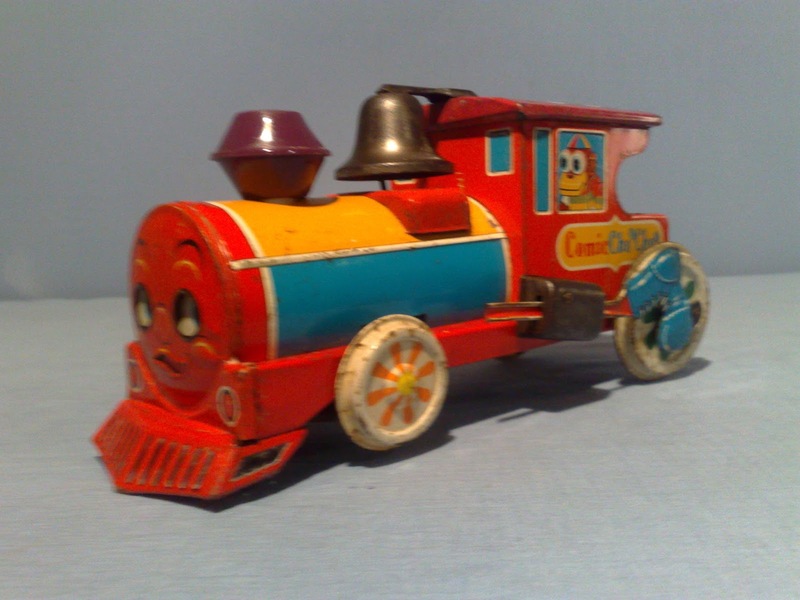 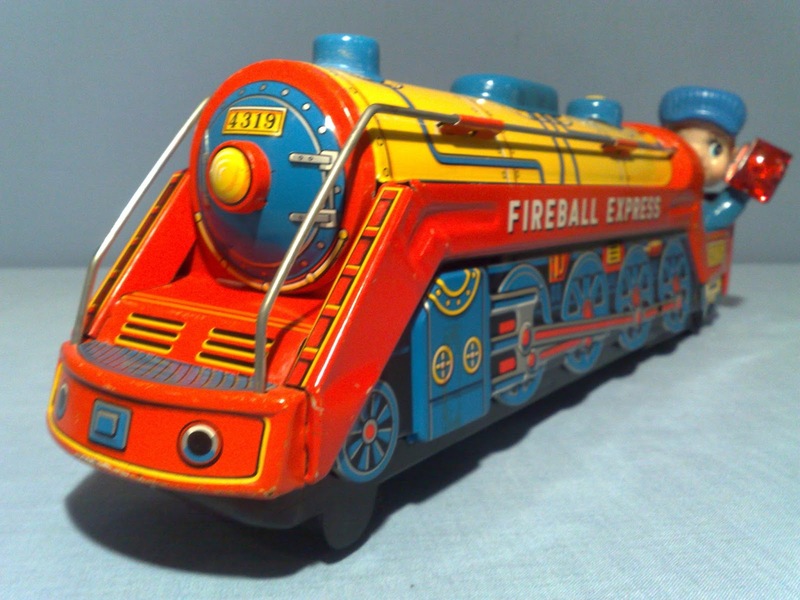 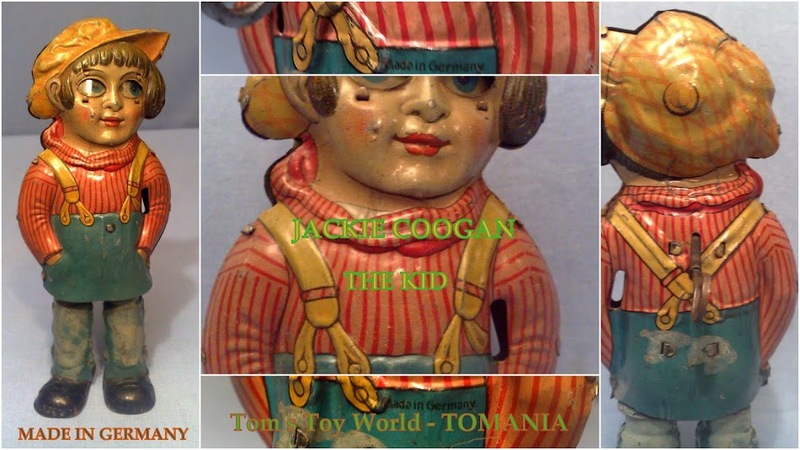 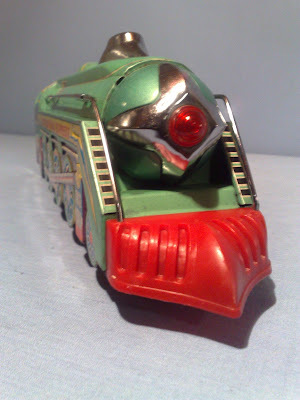 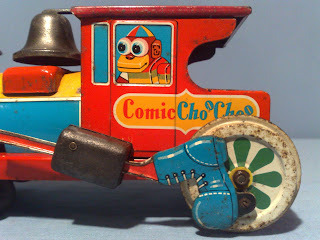 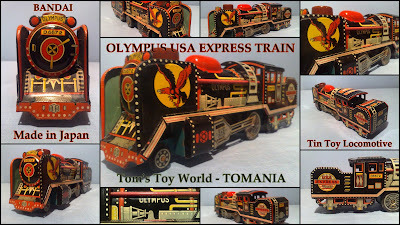 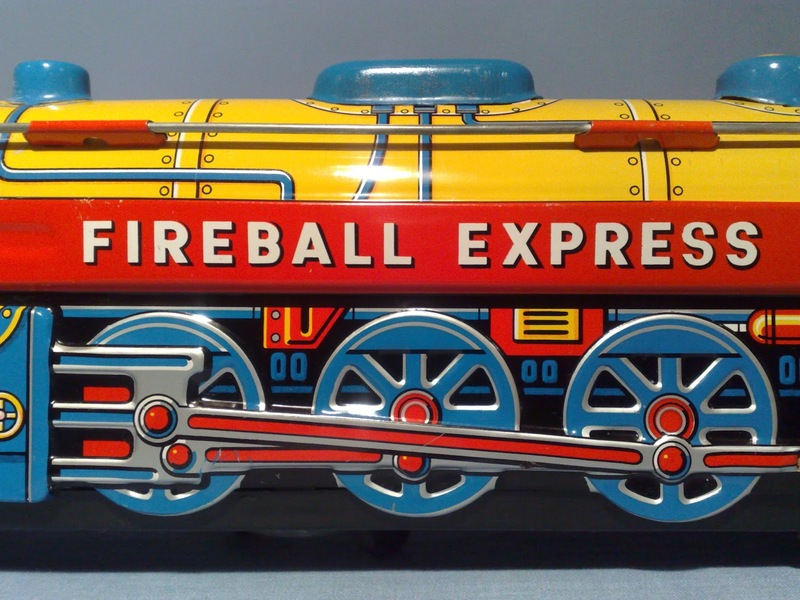 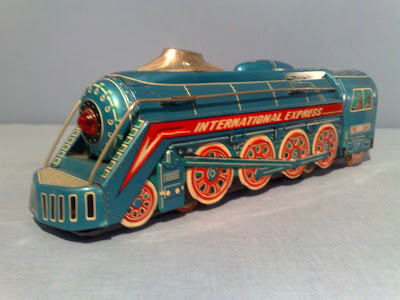 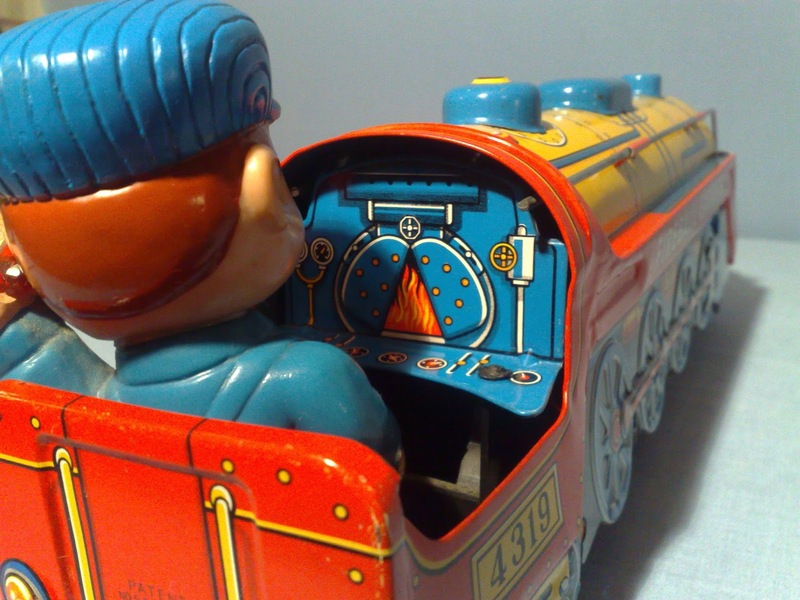 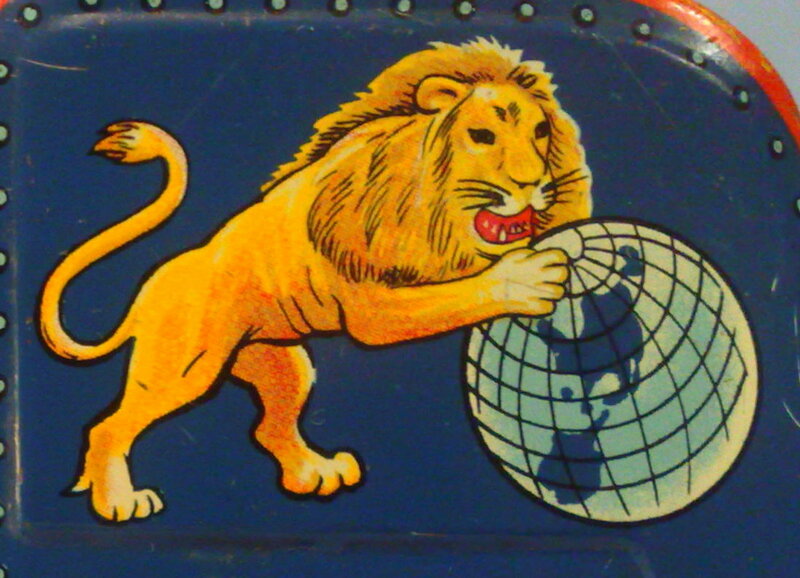 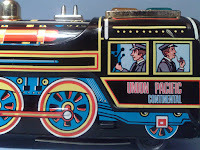 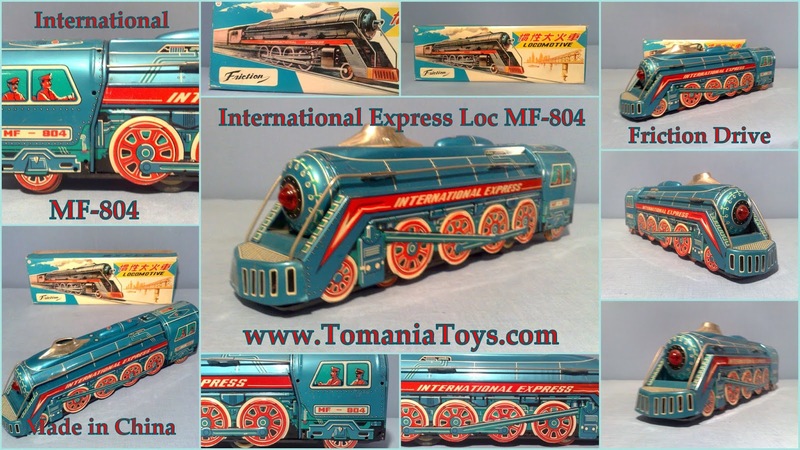 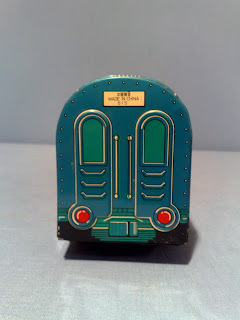 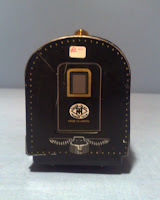 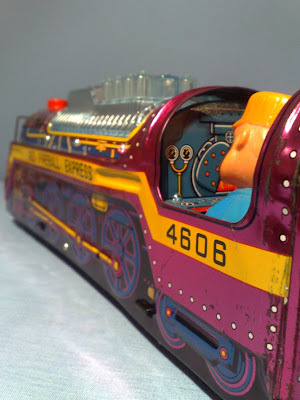 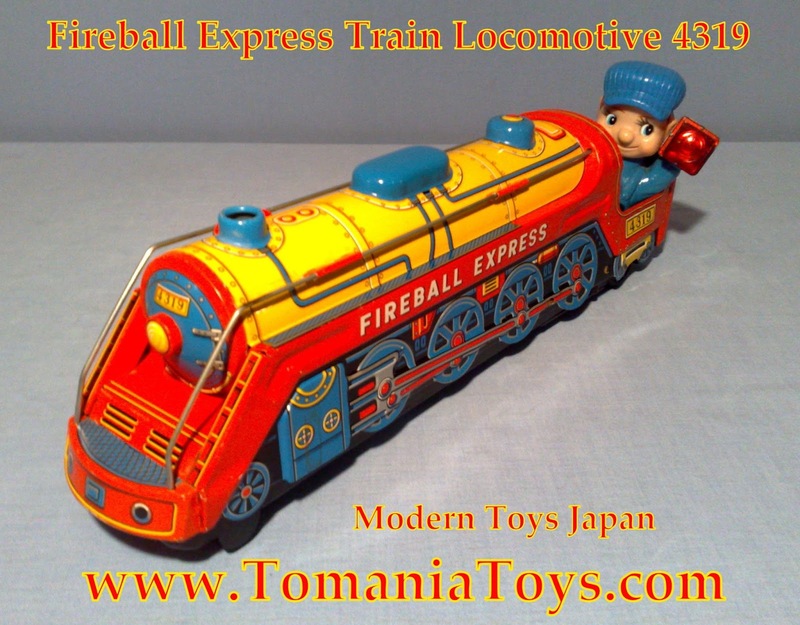 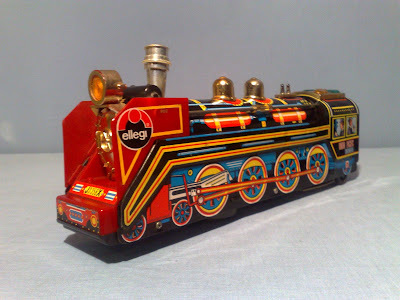 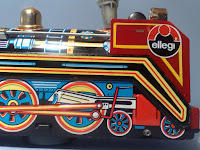 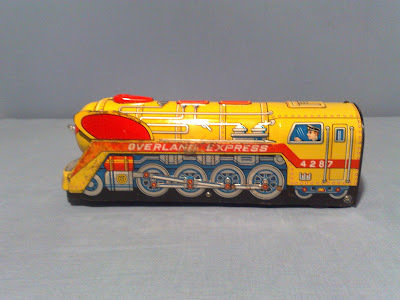 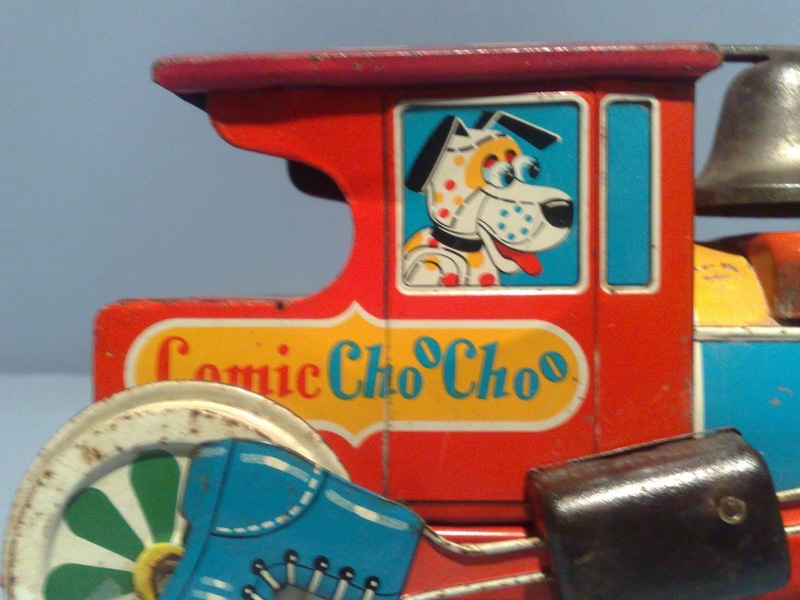 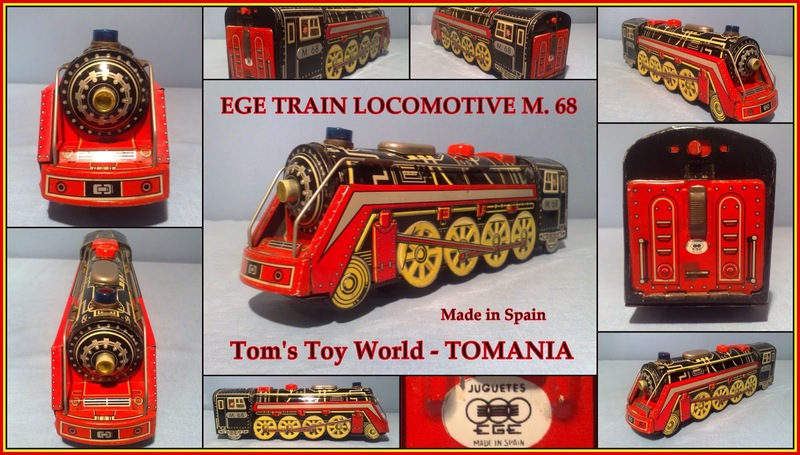 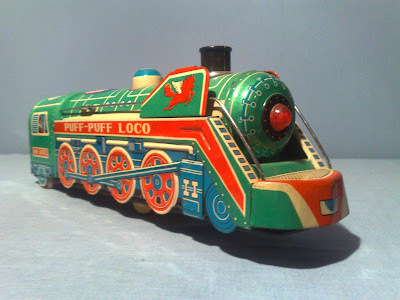 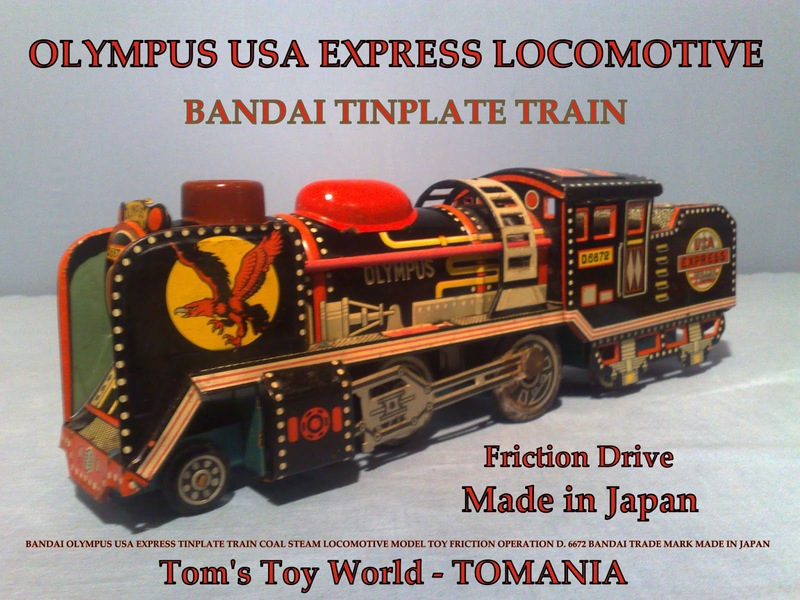 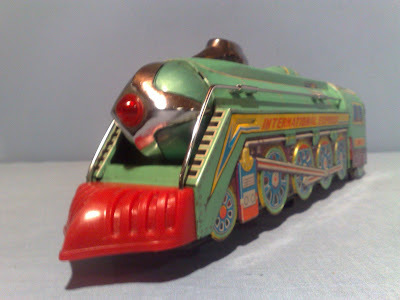 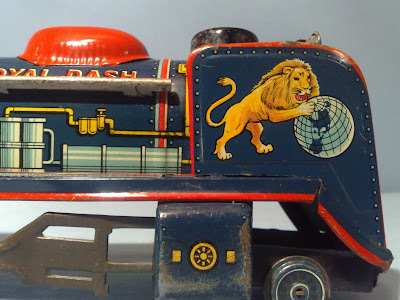 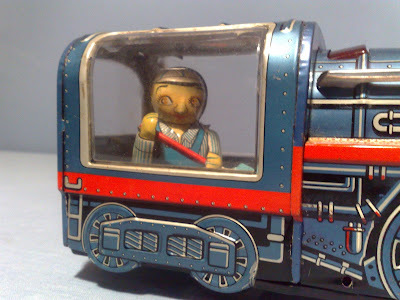 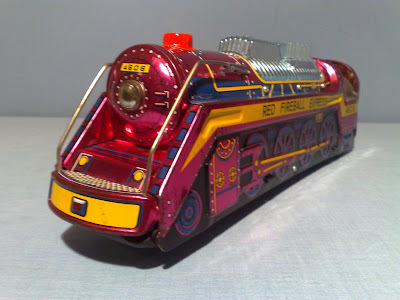 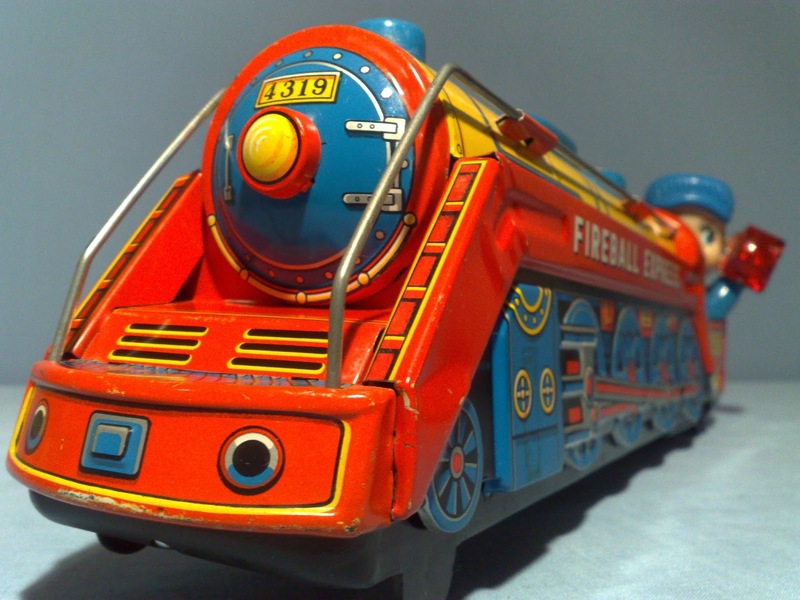 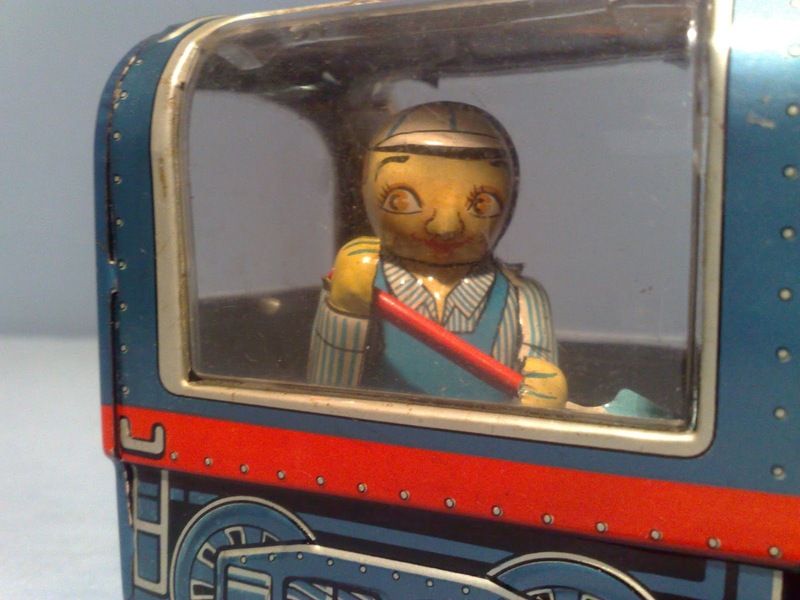 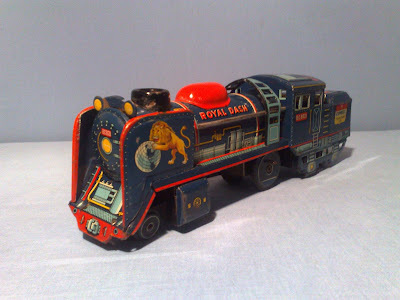 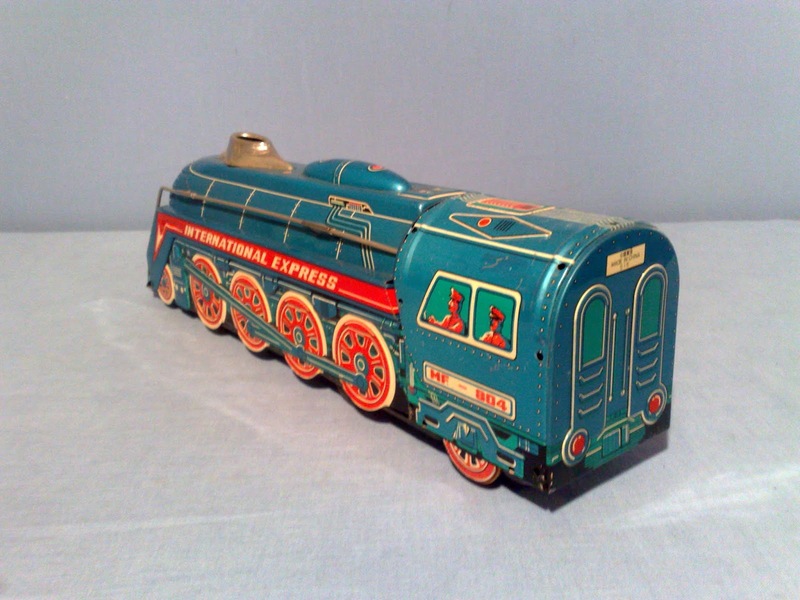 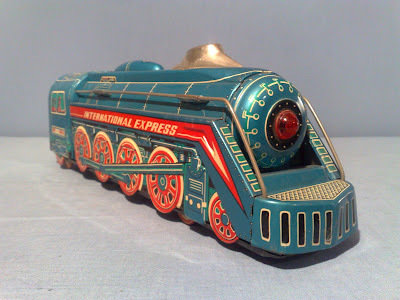 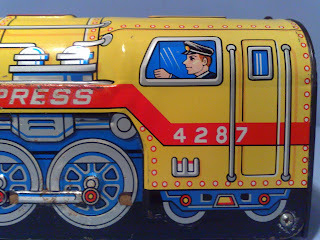 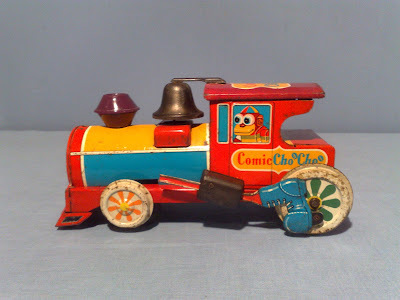 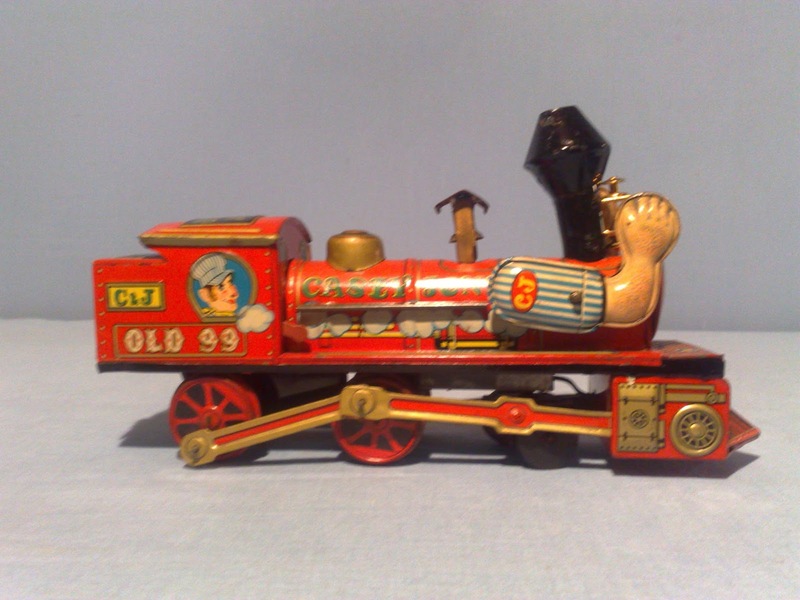 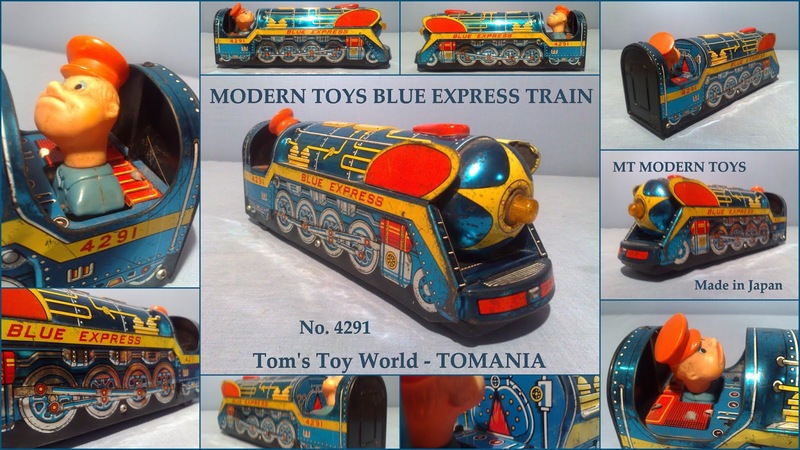 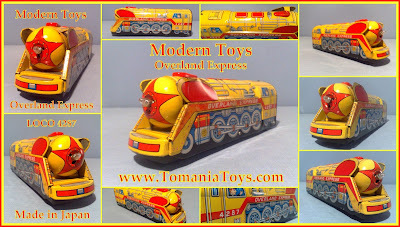 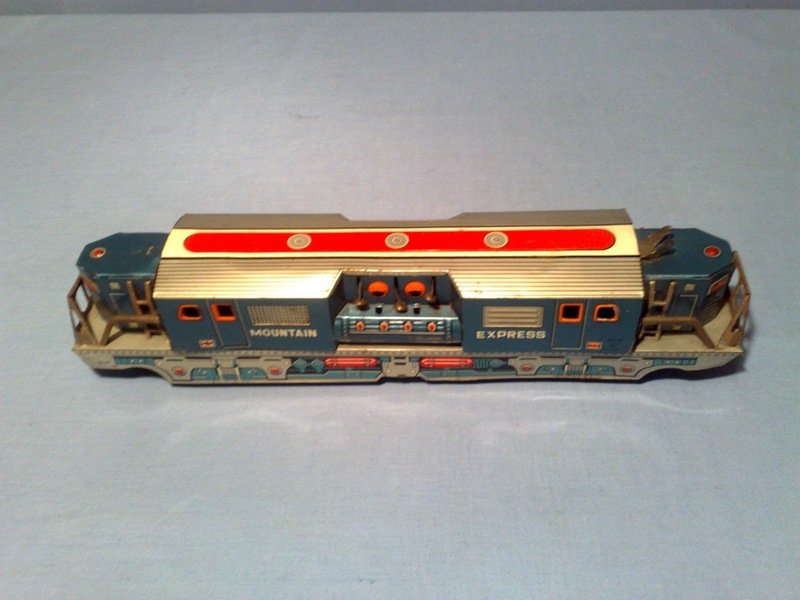 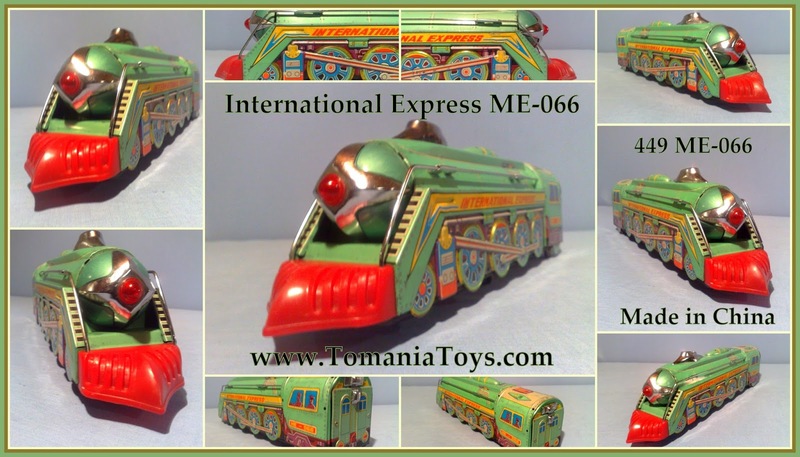 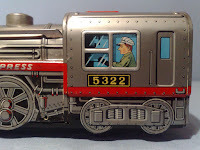 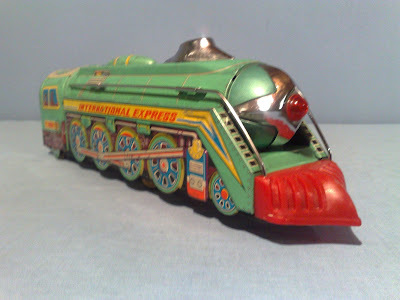 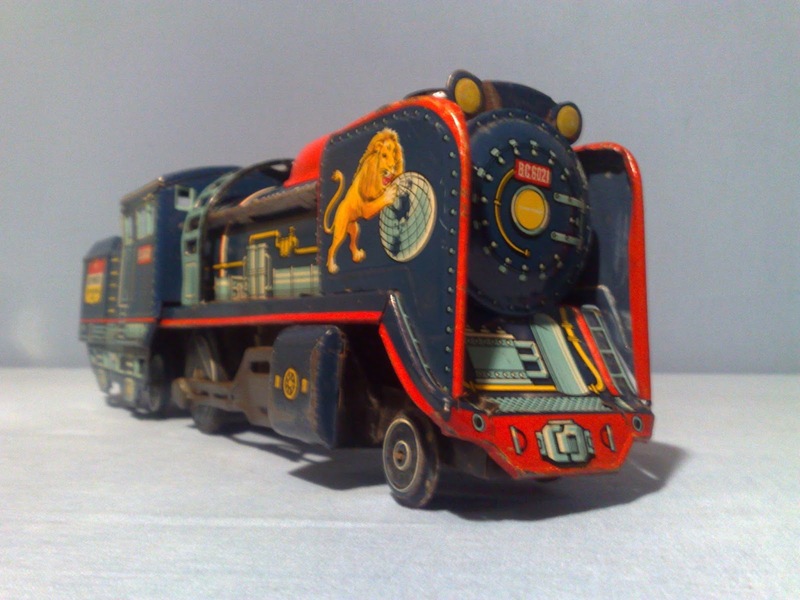 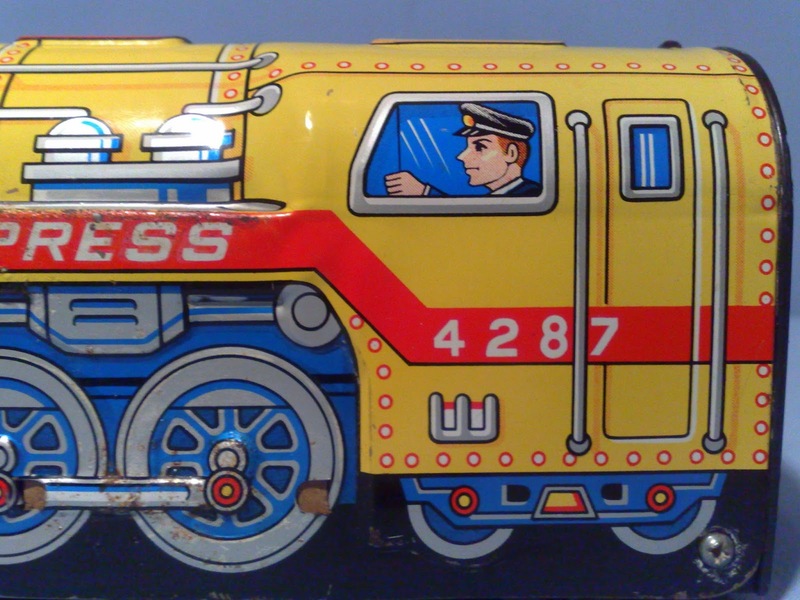 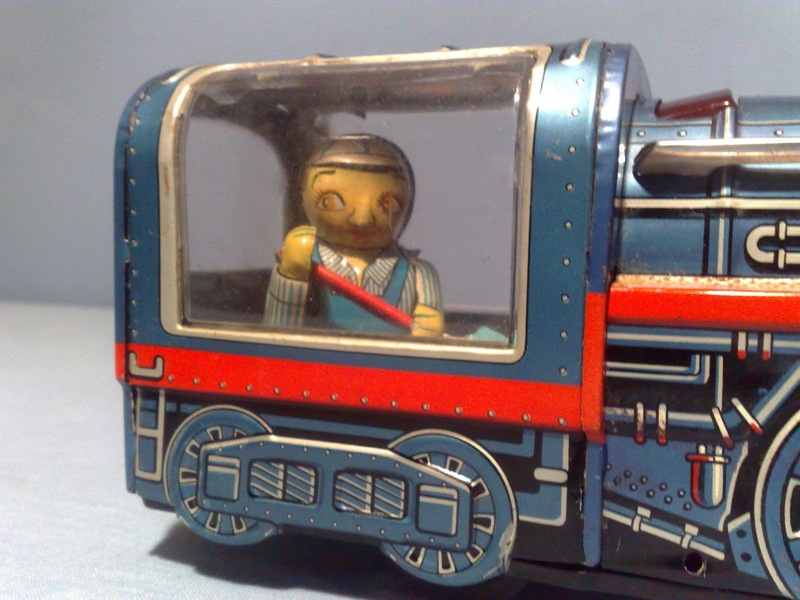 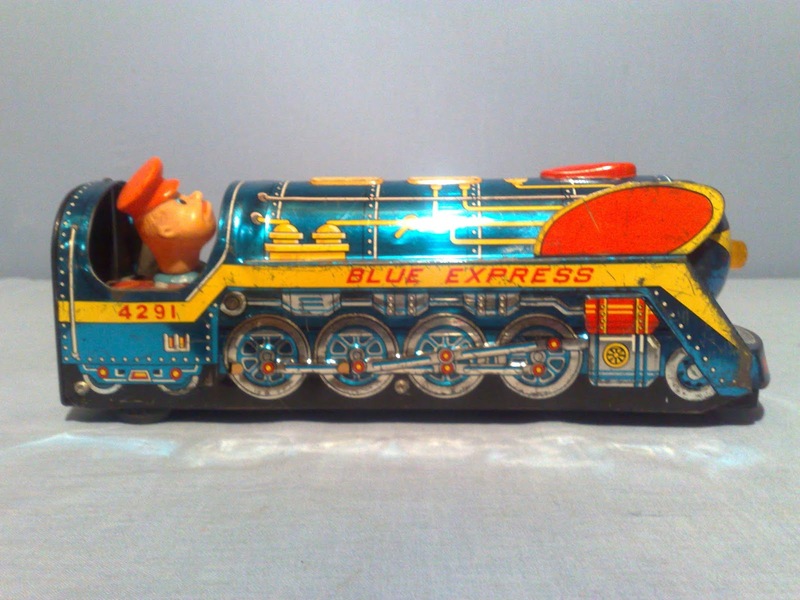 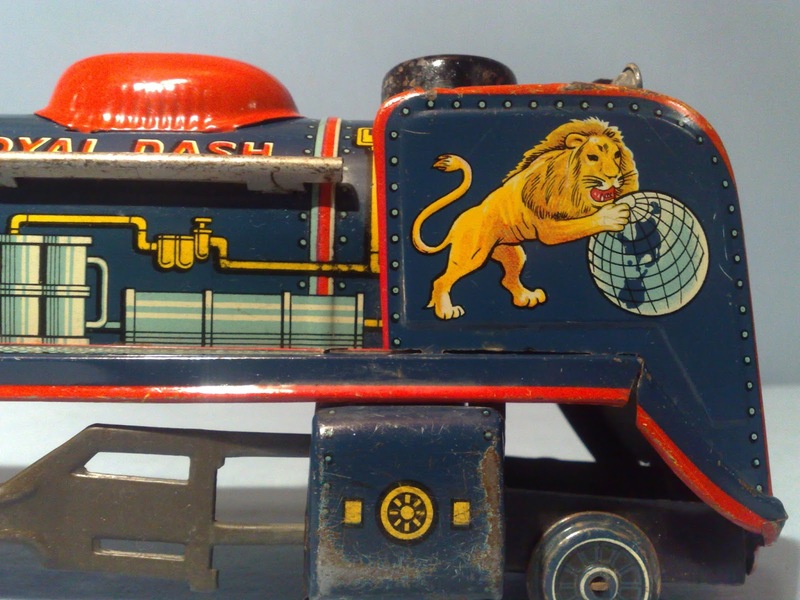 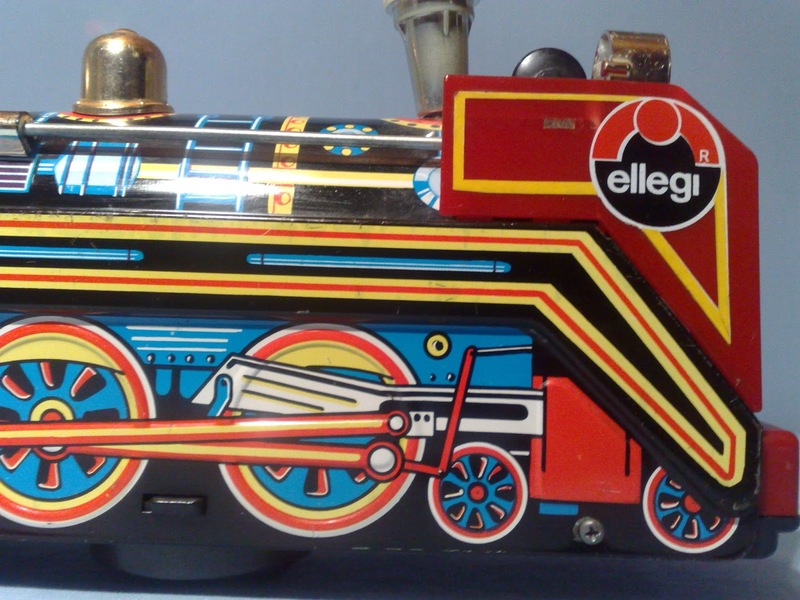 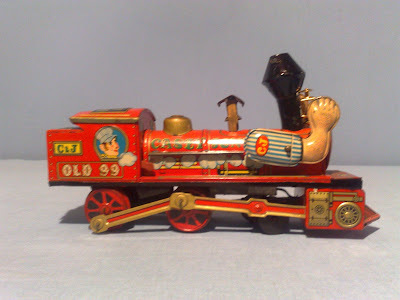 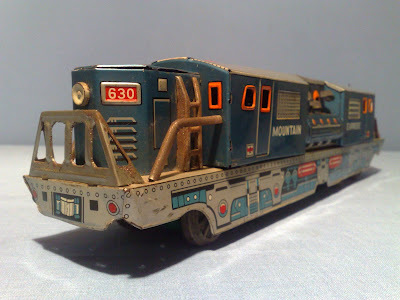 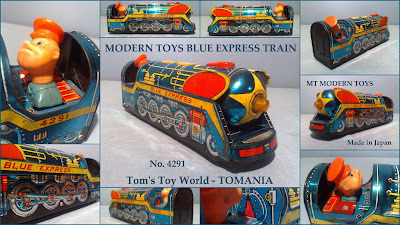 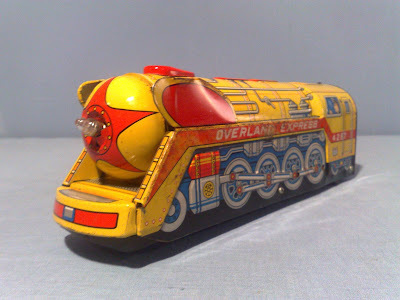 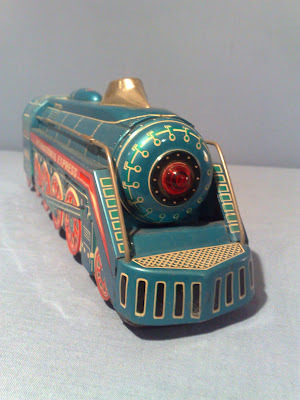 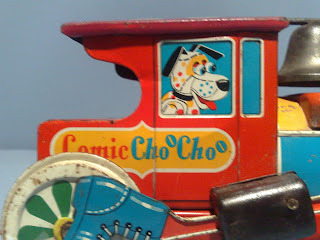 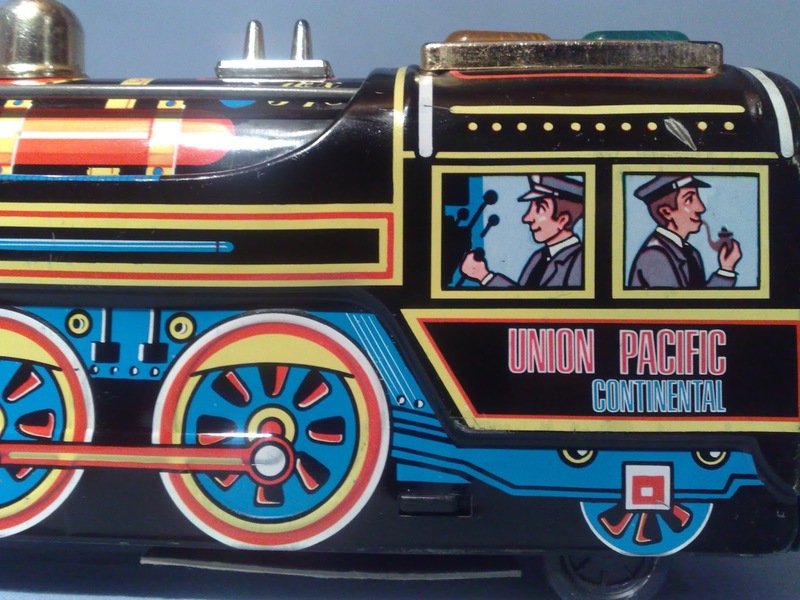 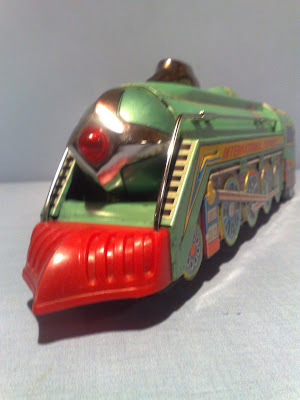 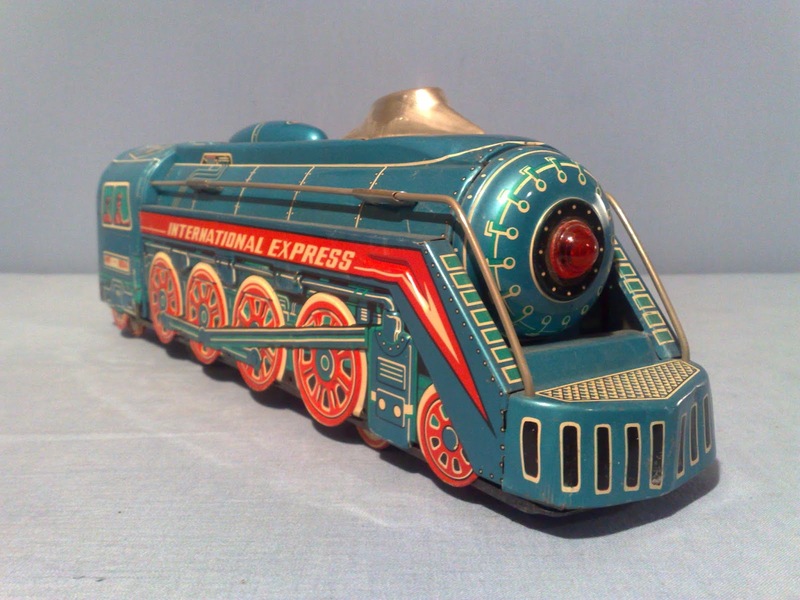 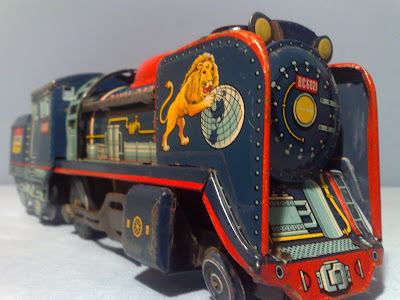 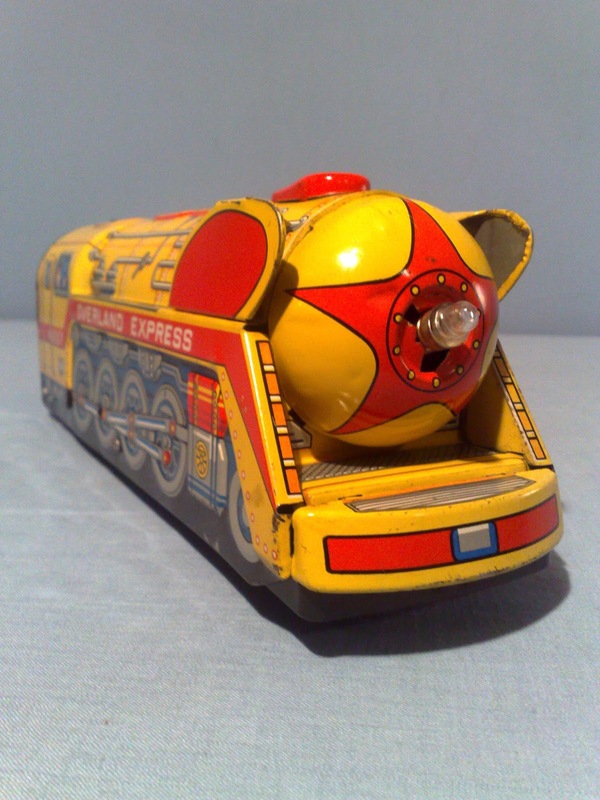 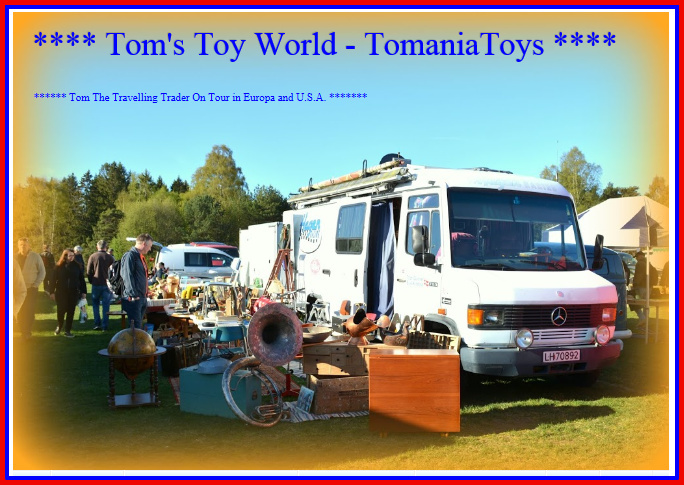 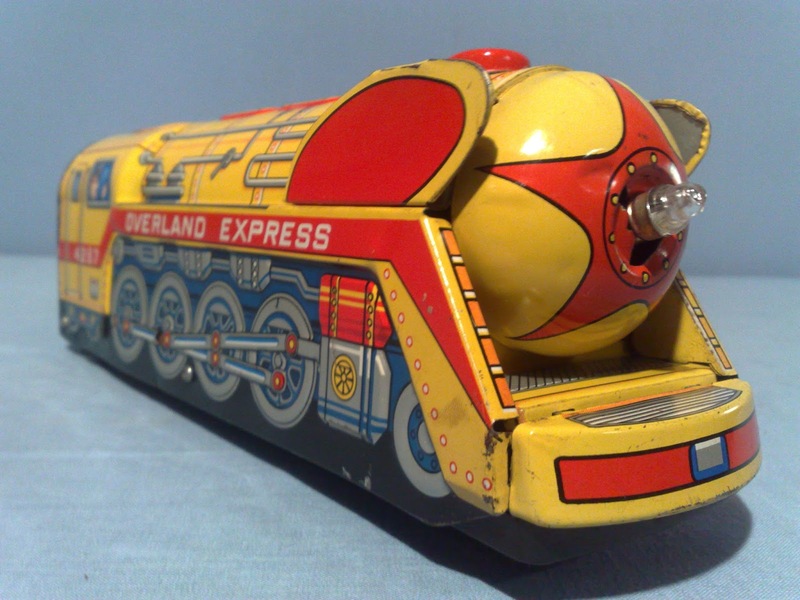 Tin Toy Train with Loc-Driver moving & keeping an eye on instruments! 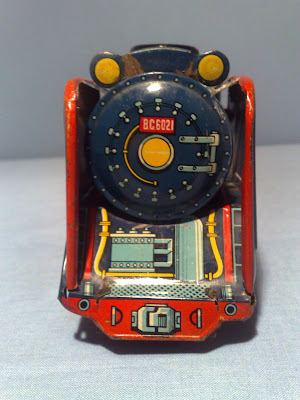 Battery Operated - Non Stop Running - Bump & Go! Mystery Action! 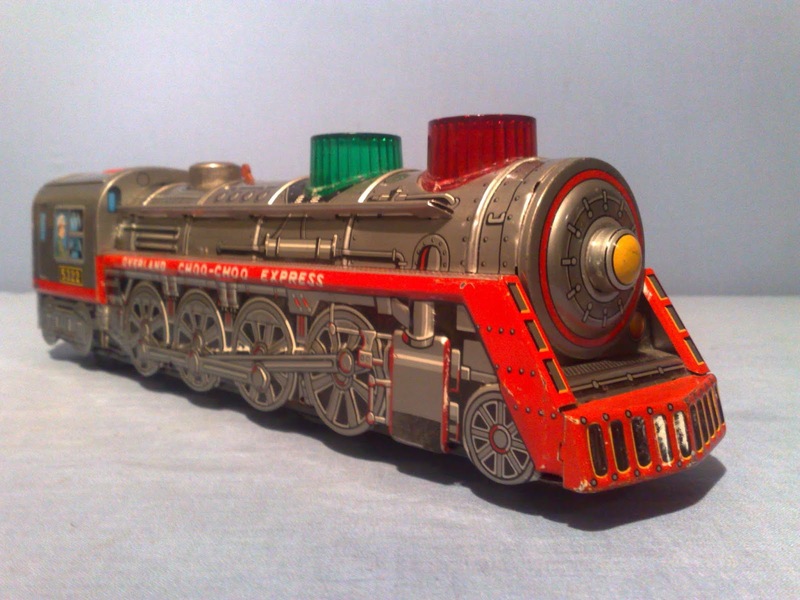 Clear Plastic Engine Hood with Lights - Sounding Whistle! 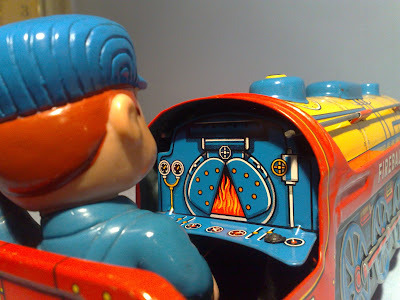 Mystery Action - Bump'n Go! Mystery Action & Lights + Whistling Locomotive Sound! 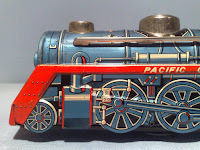 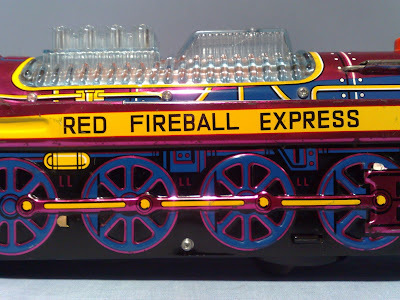 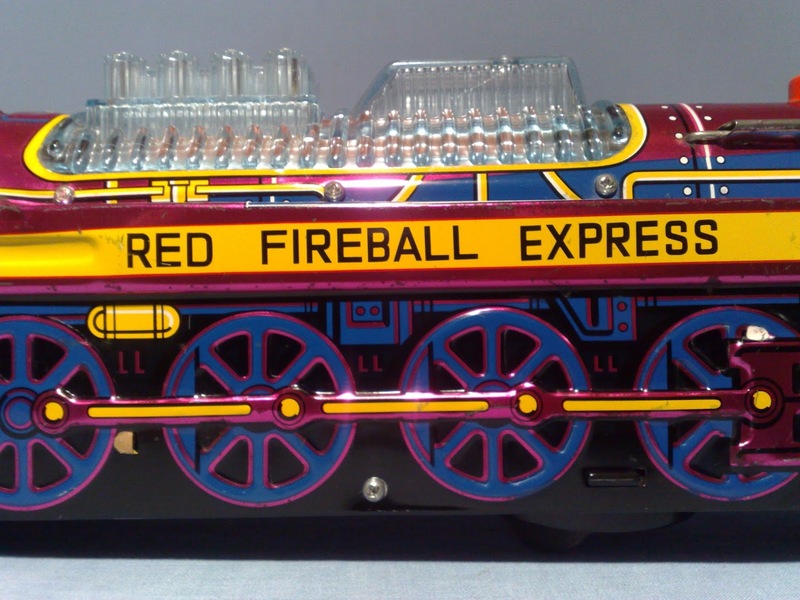 Special Loco Model - with a lot of "History" attached to this! 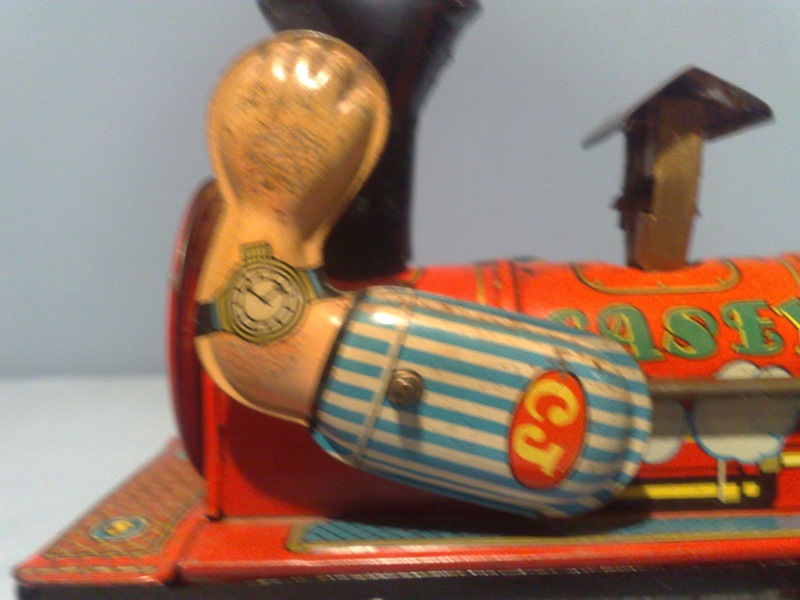 with moving Arms (Watch-Time!) 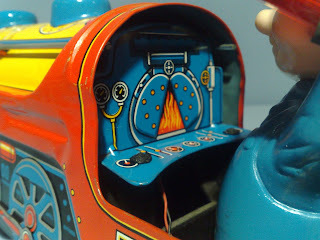 on both sides! # Ref. 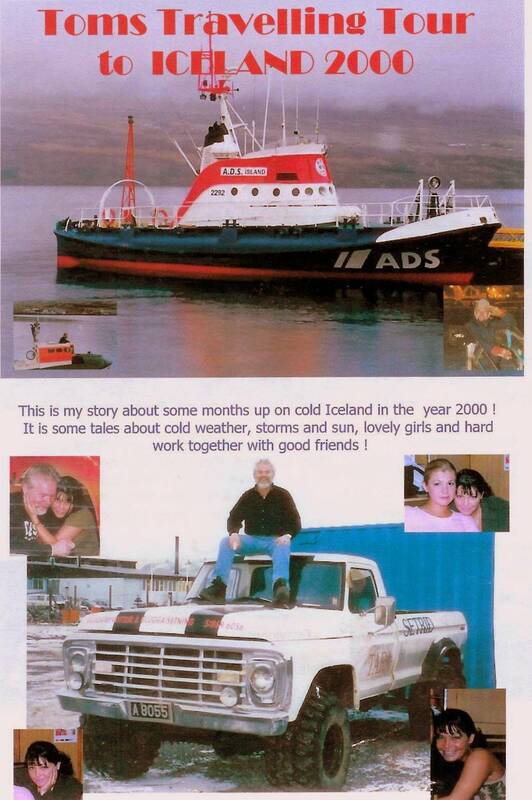 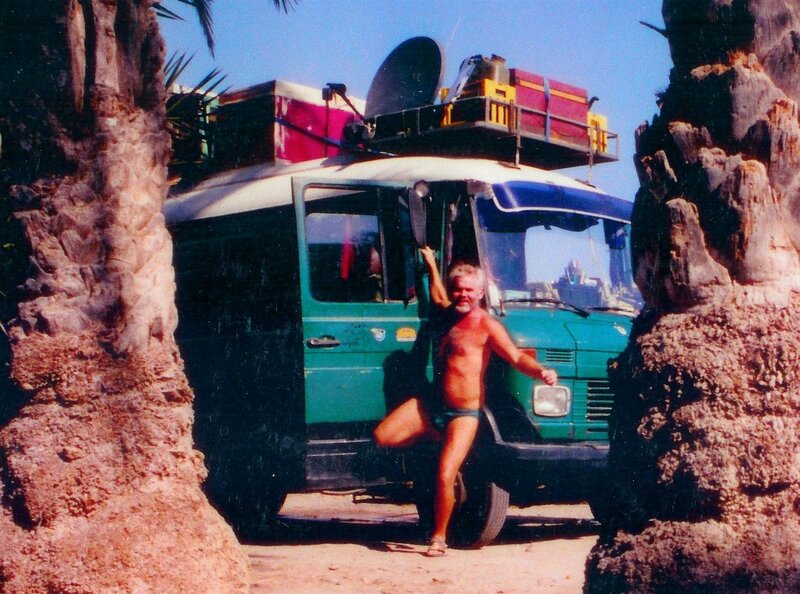 "Jones was the only fatality of The Collision. 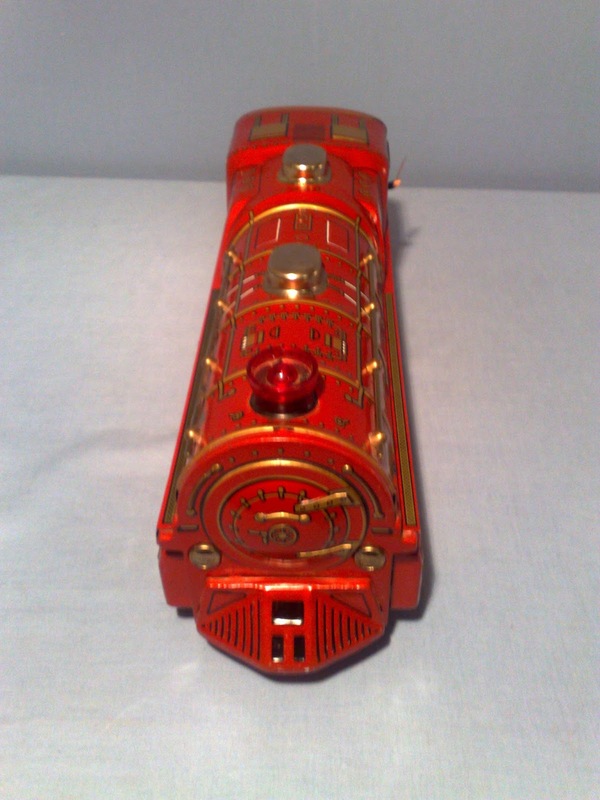 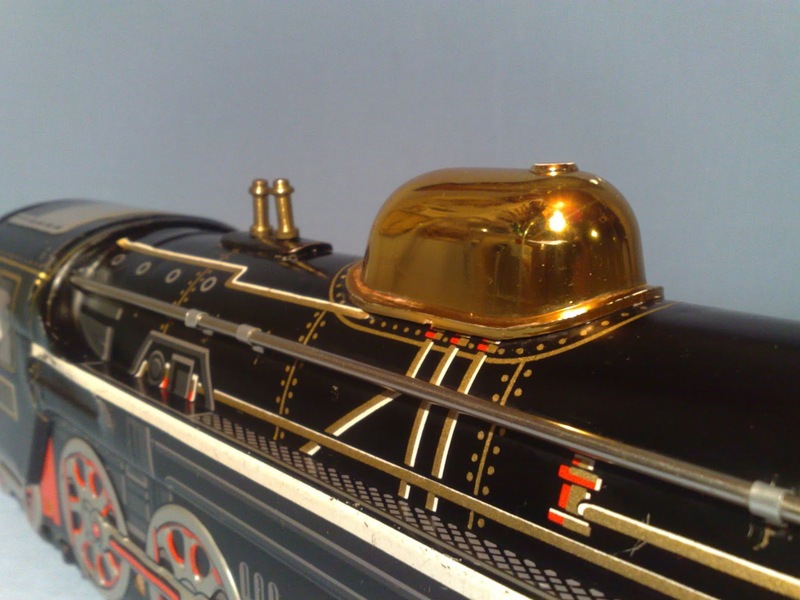 His watch stopped at the time of Impact: 3:52 am on April 30, 1900"
He made great Sounds with The Train Steam Whistle! 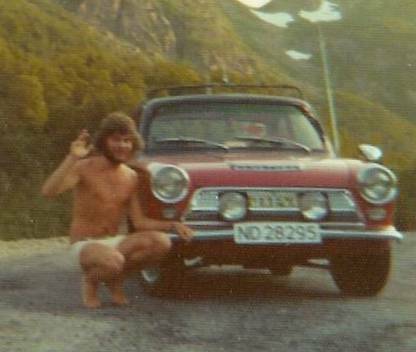 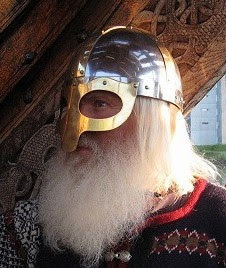 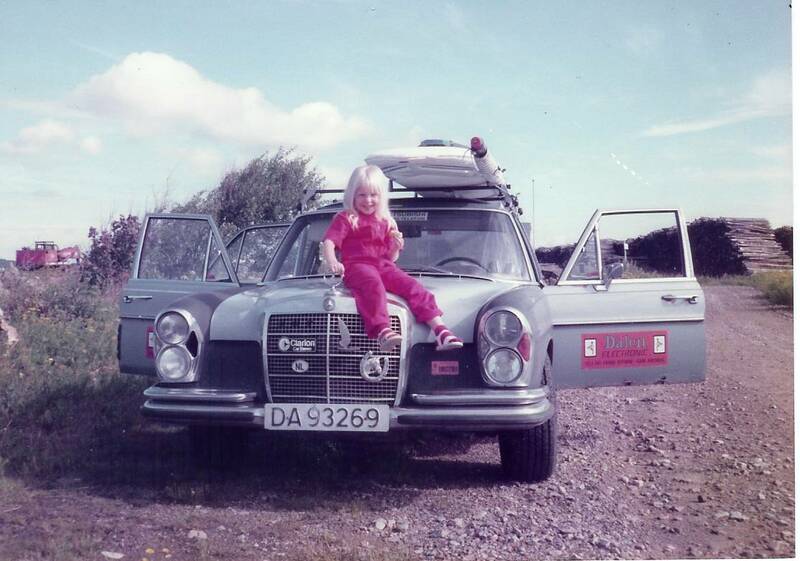 It sounded - "Like The War Cry of a Viking." 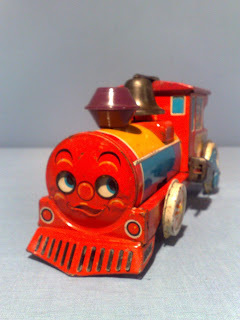 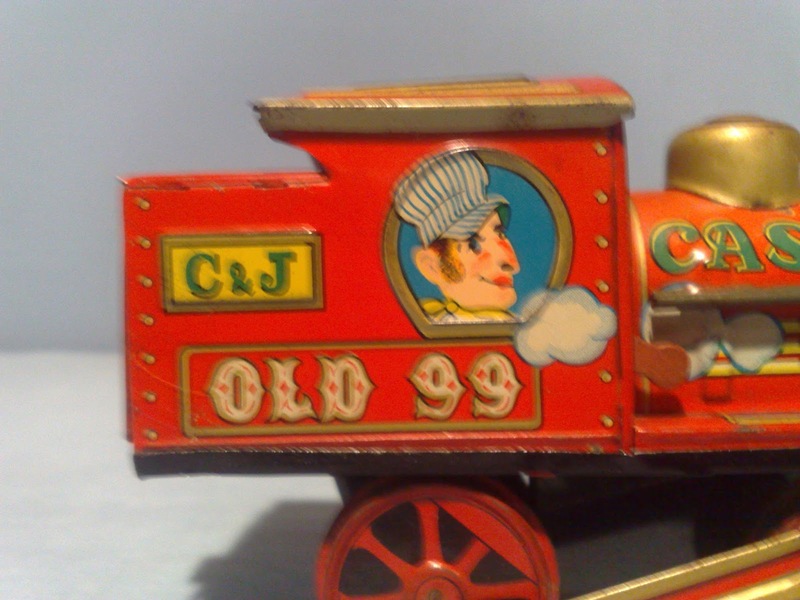 He was killed on April 30, 1900 when his train "Old 382"
Movies, Songs - Disney Film - Toys - Train Model a.m.
Real Multi Sunded! 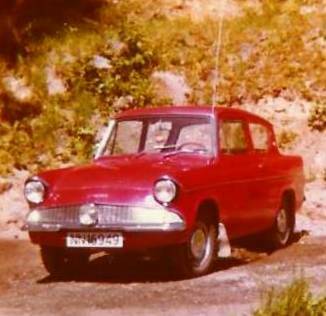 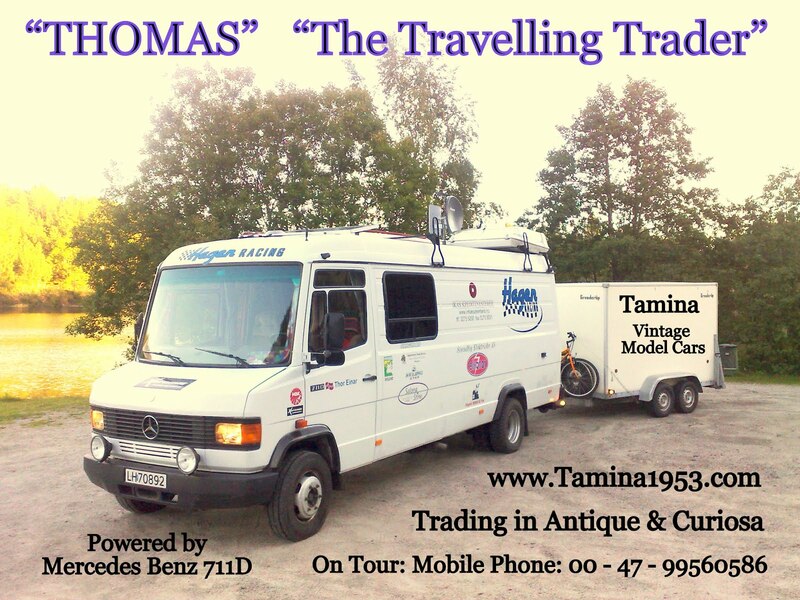 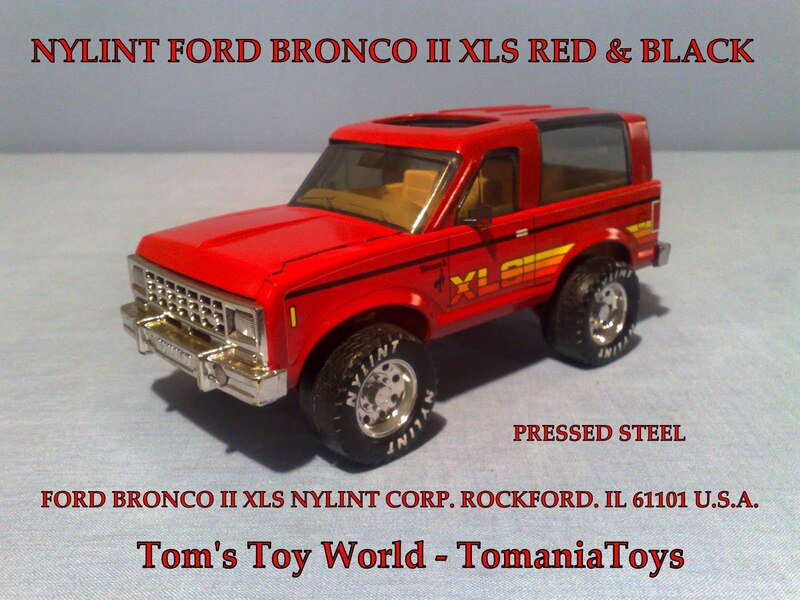 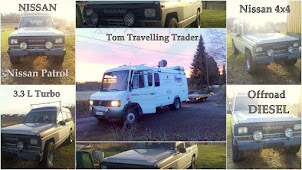 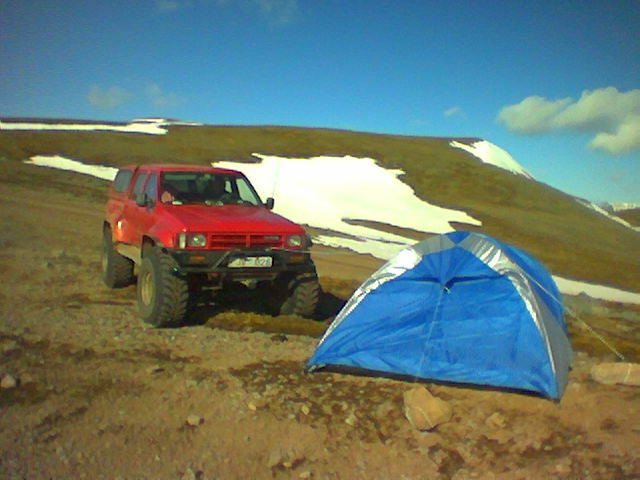 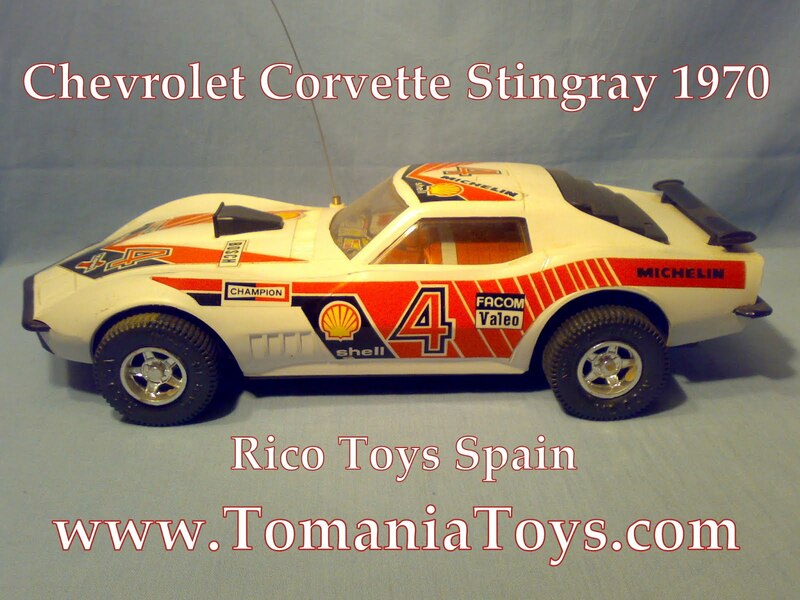 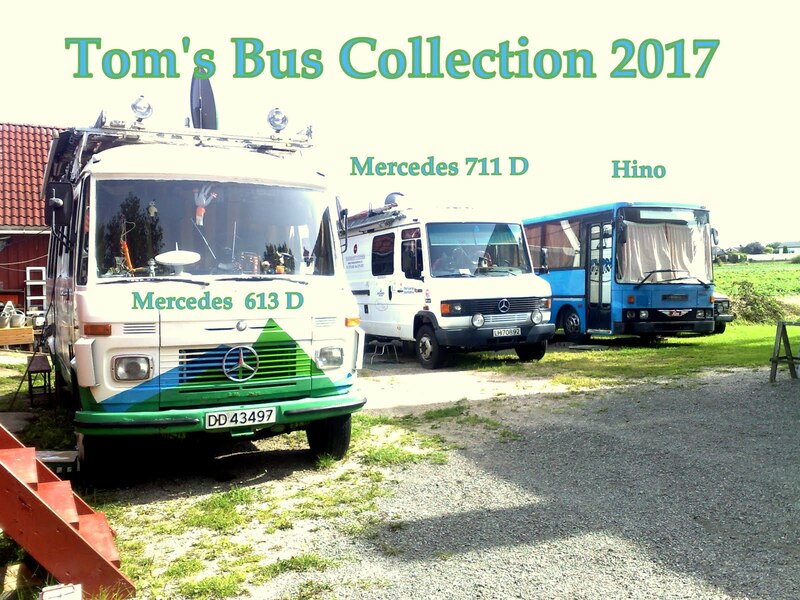 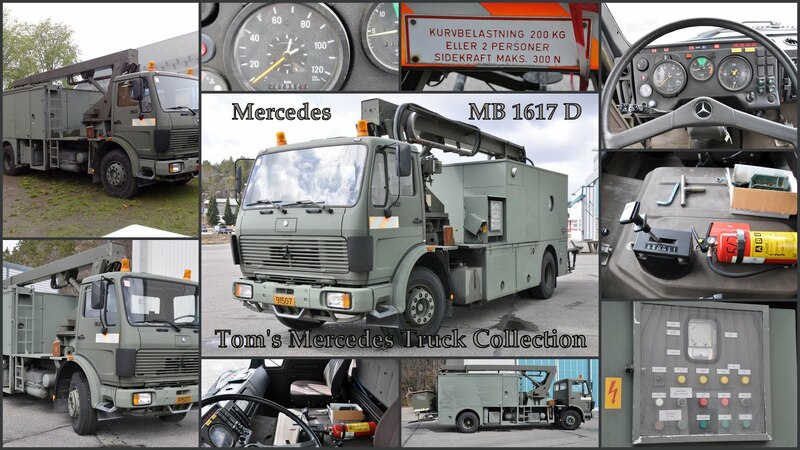 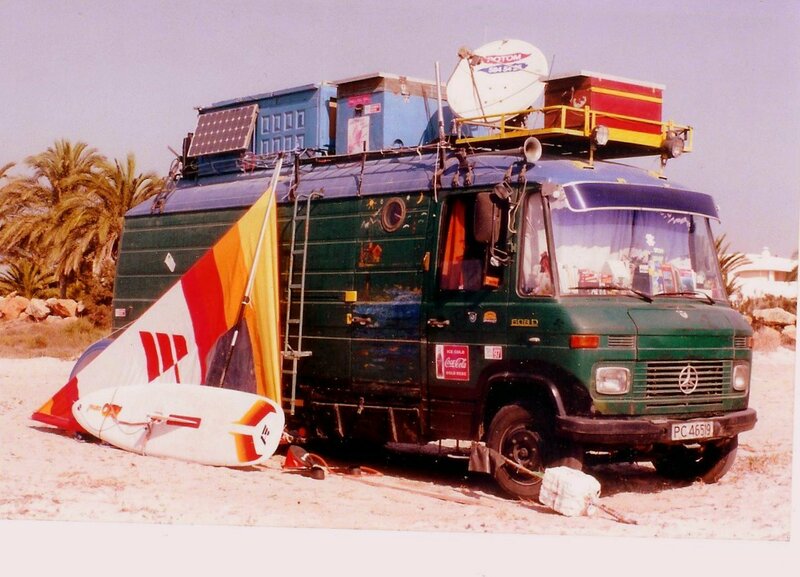 Whistle & Piston, Reversing Braking Sound! 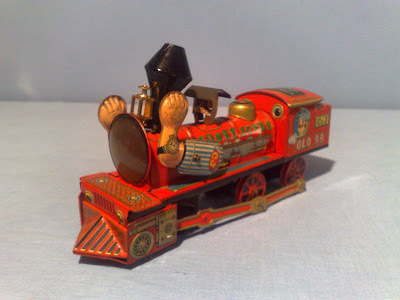 Moving and Flag Waving Conductor - Litho Boiler & Instruments! 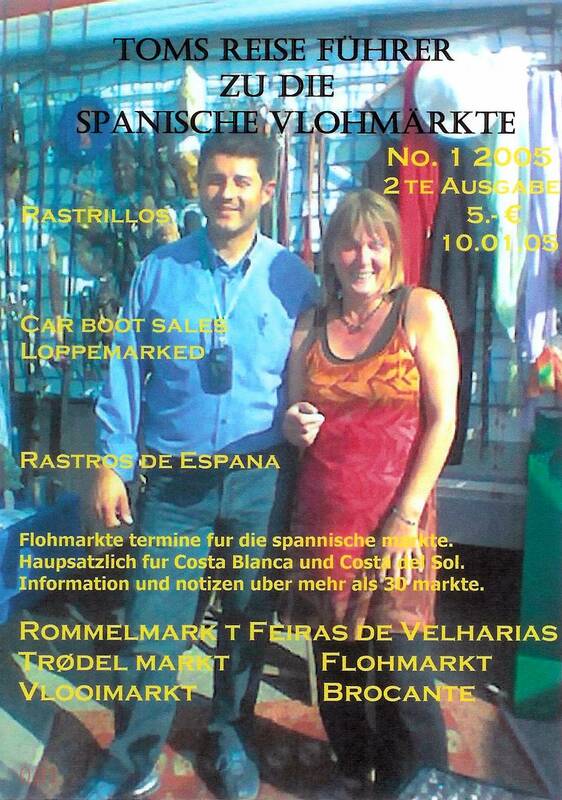 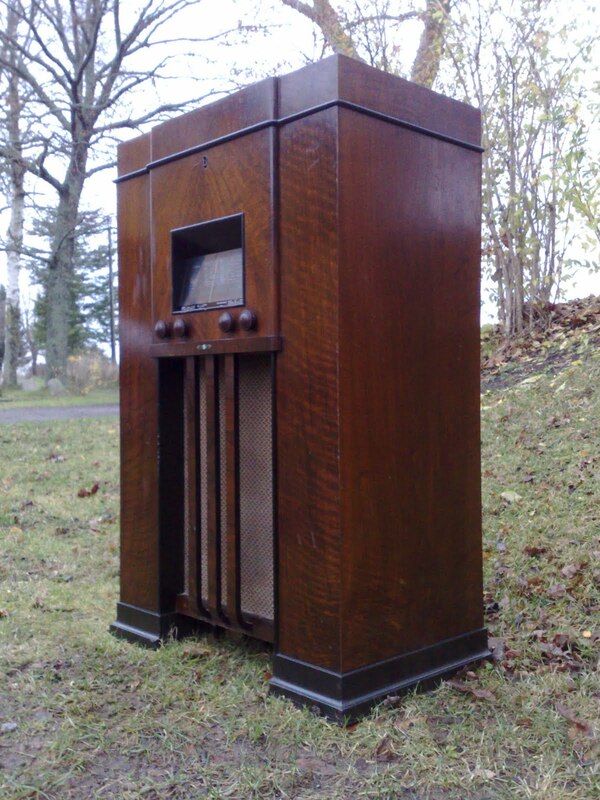 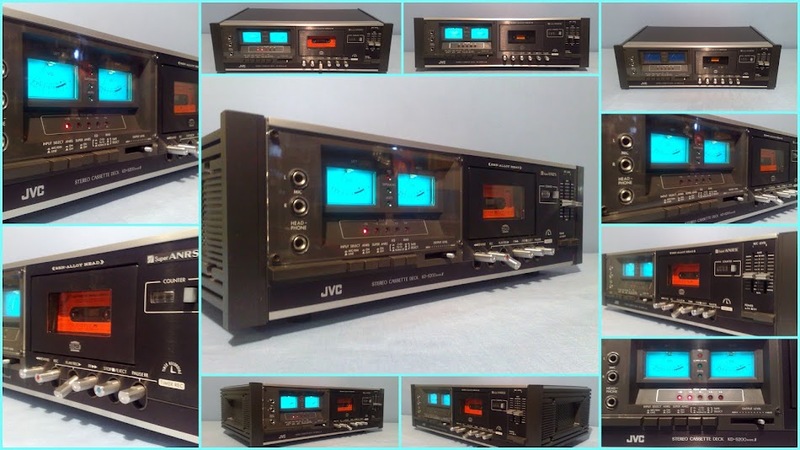 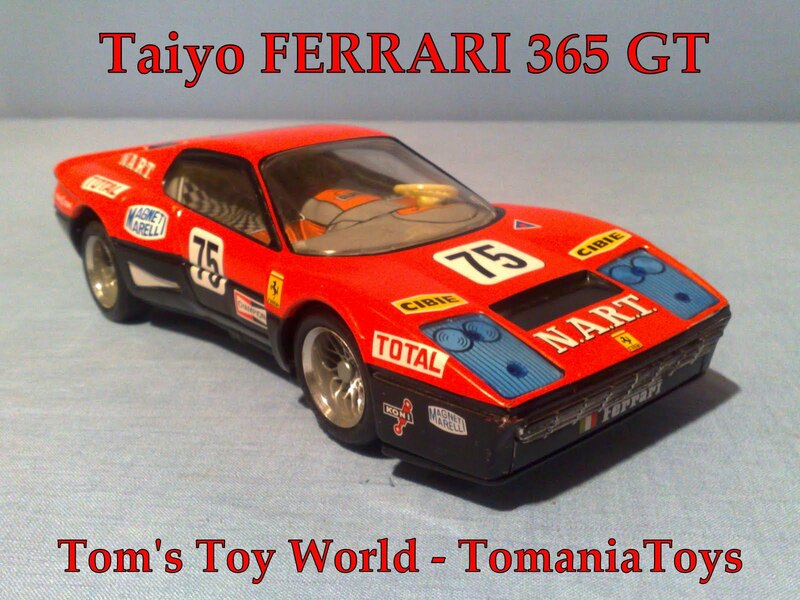 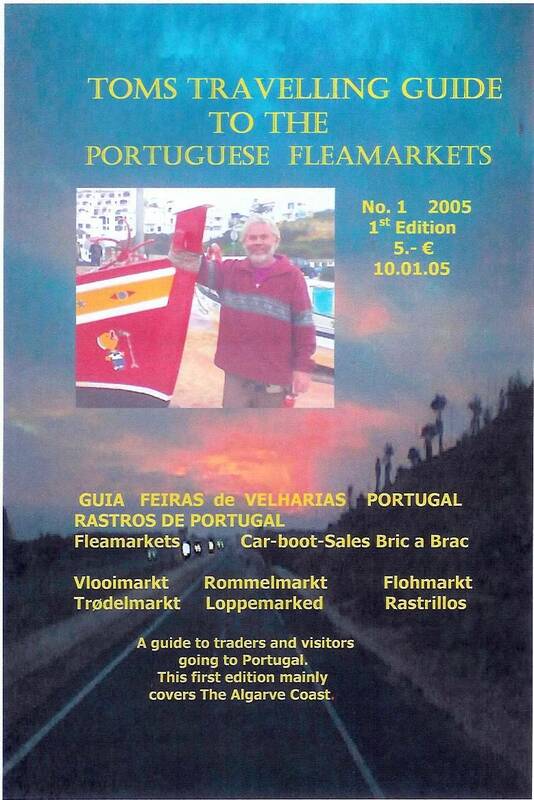 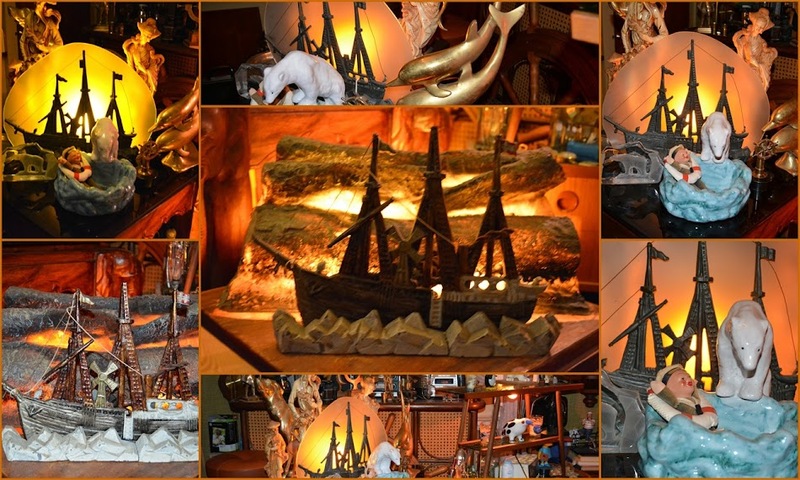 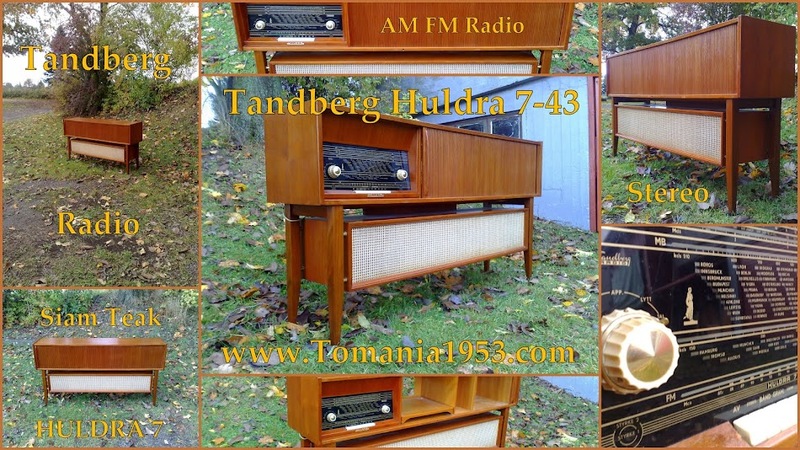 Size: 15 '' (Inc) - 38 Cm long & 12 cm wide - 15 cm high ! 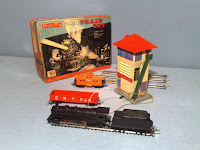 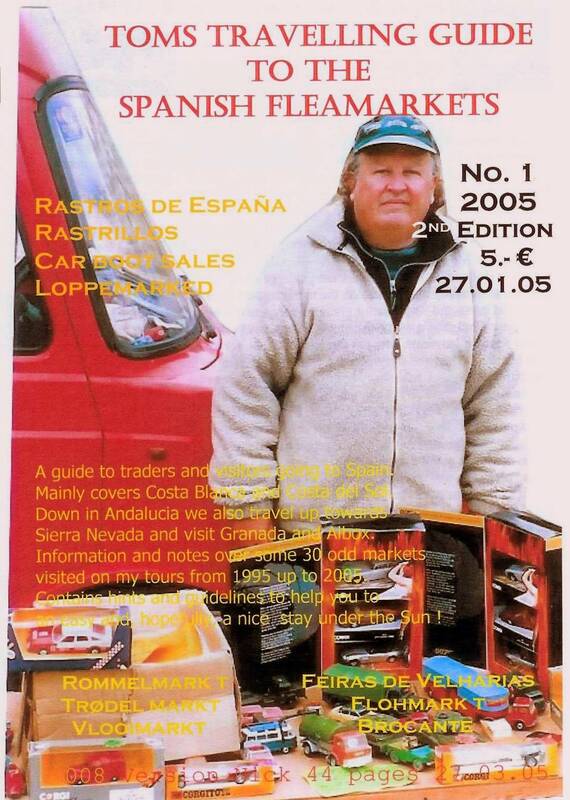 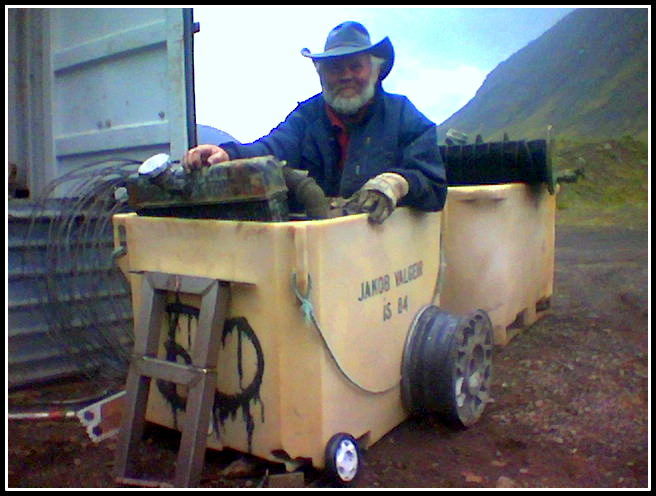 Funny Model with Steam Coal Shuffling Moving Man in back! 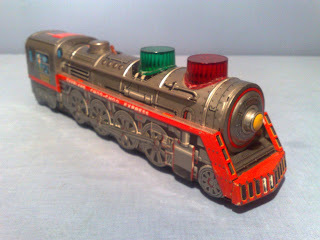 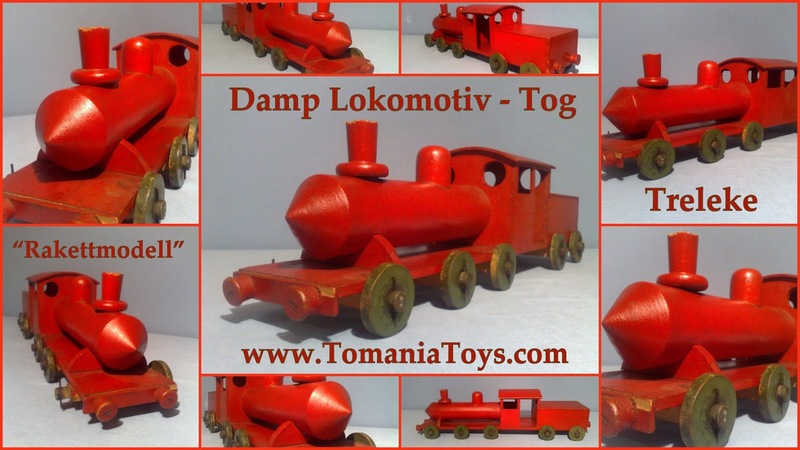 Red Light Iluminates Cabin/Coal Burning Steam Engine & Sound! 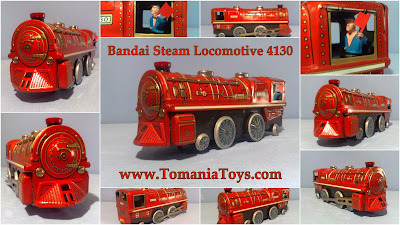 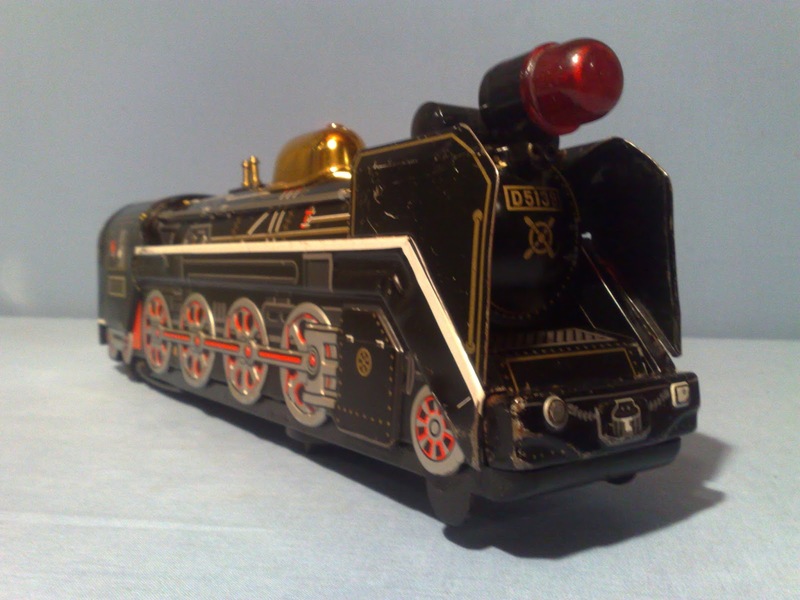 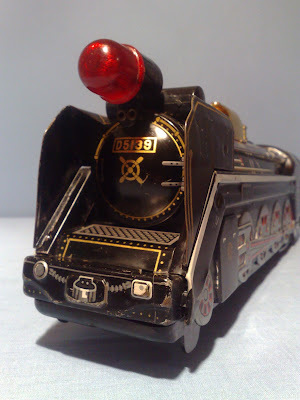 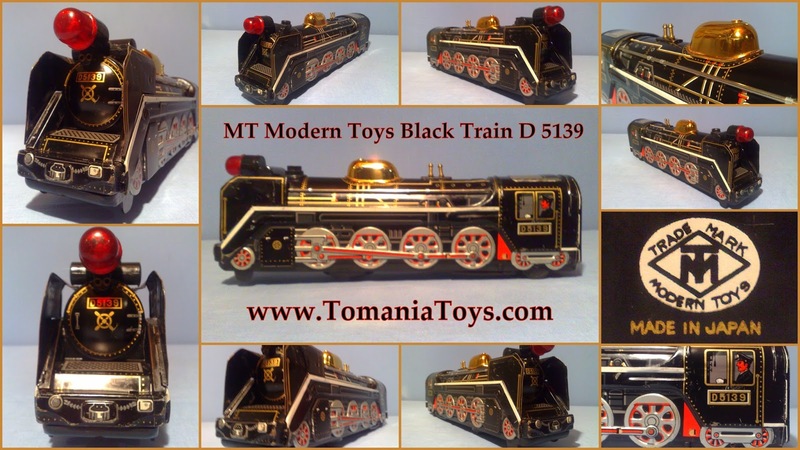 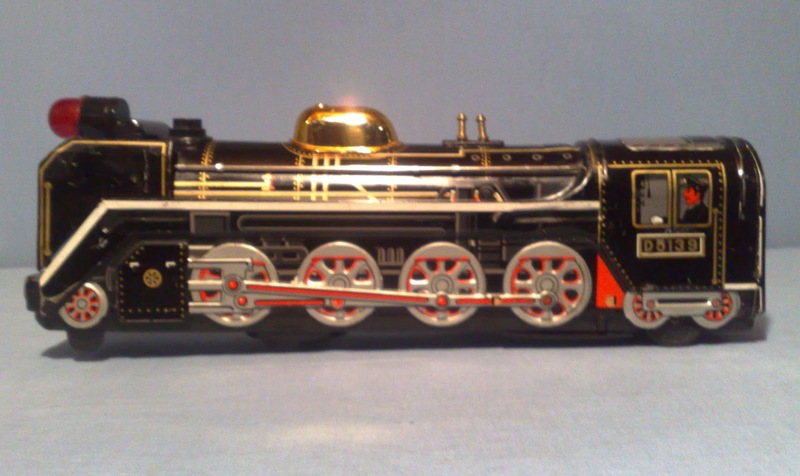 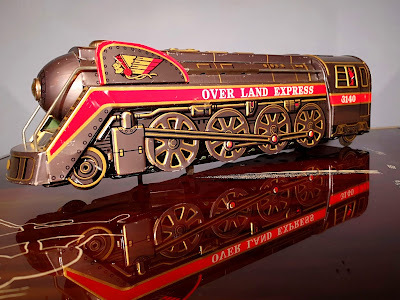 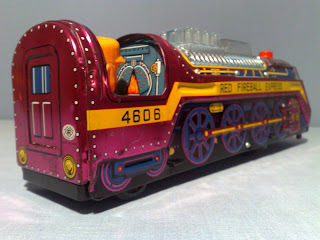 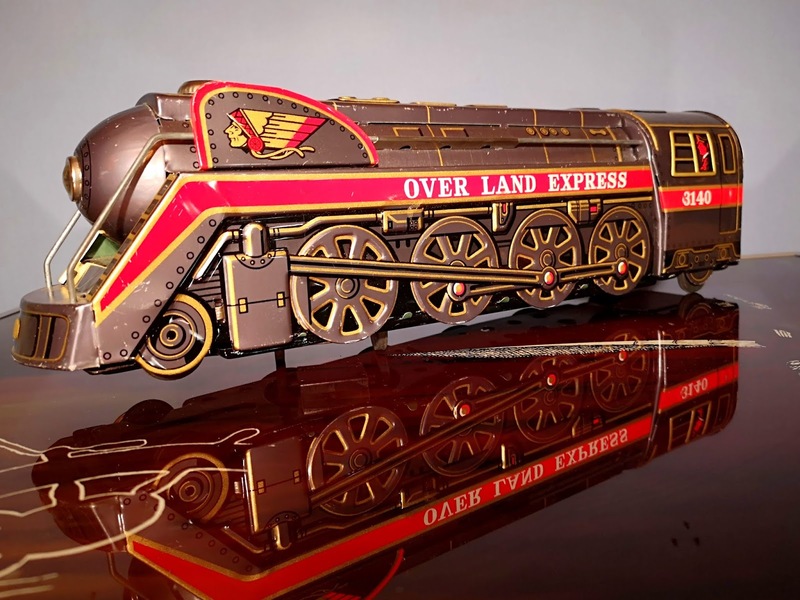 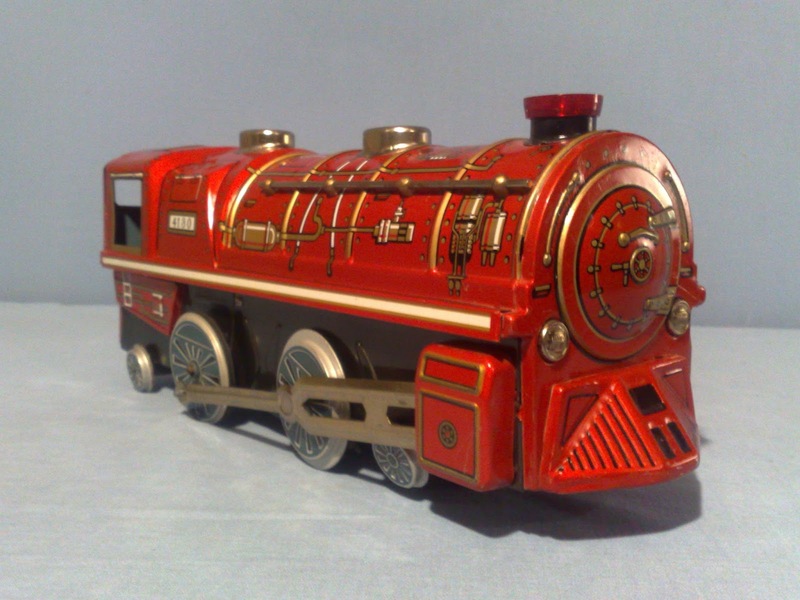 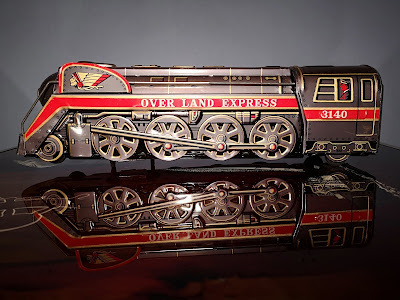 Steam Locomotive Model - Burning Coal! 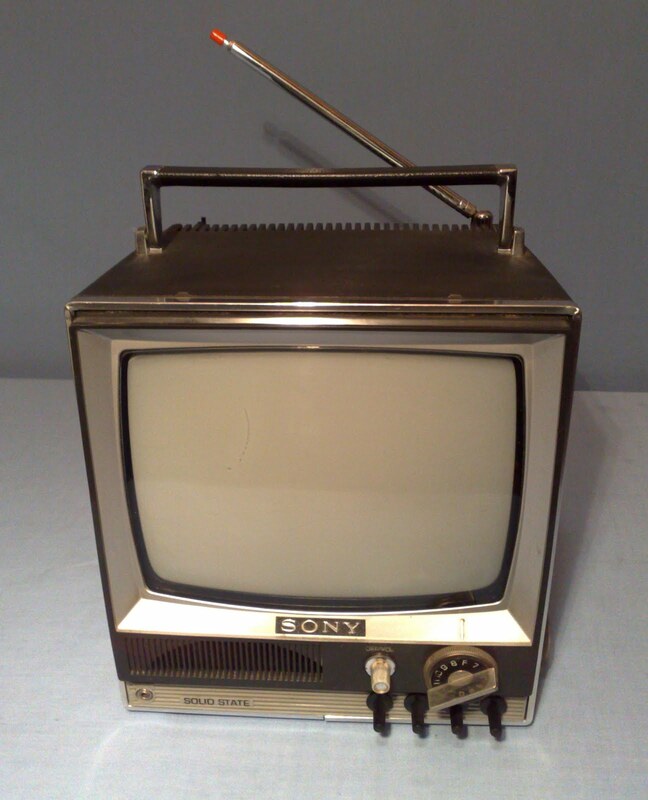 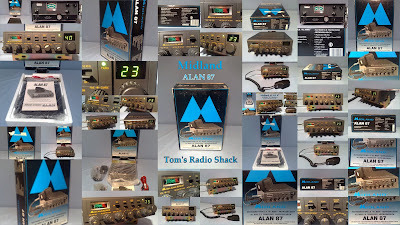 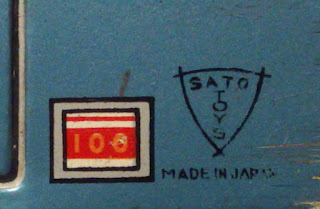 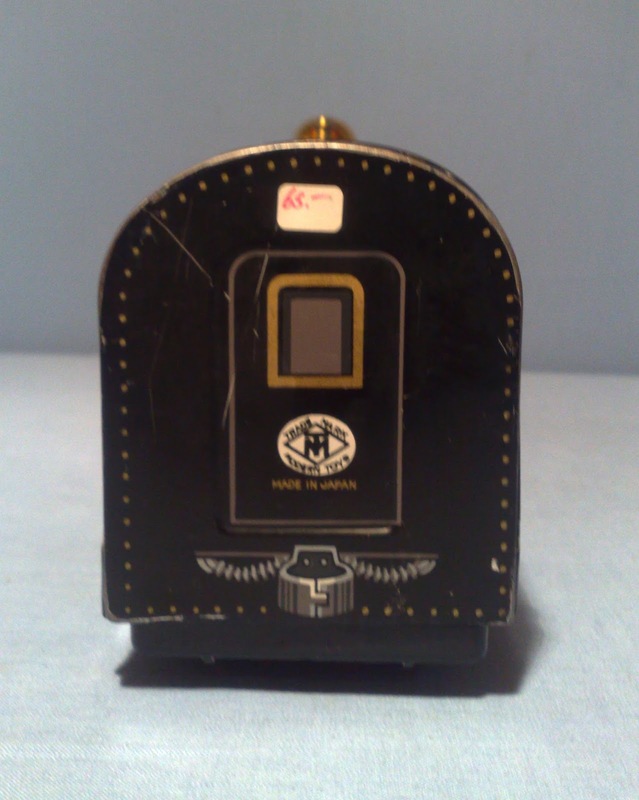 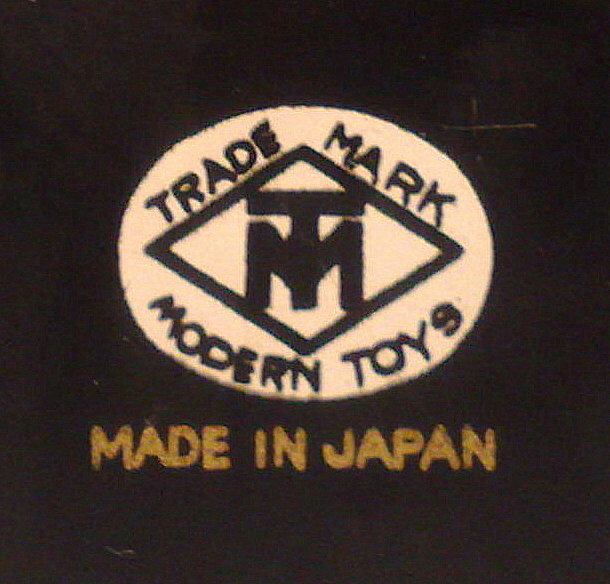 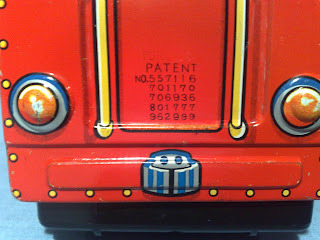 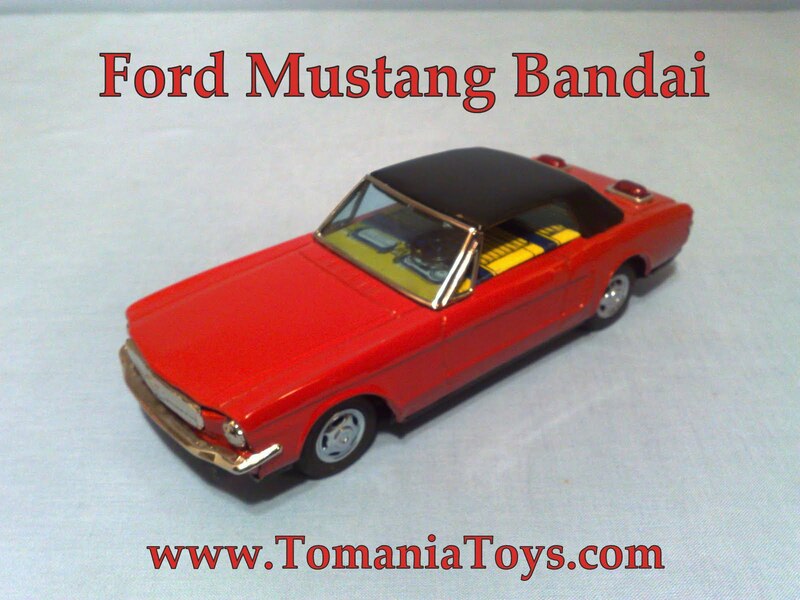 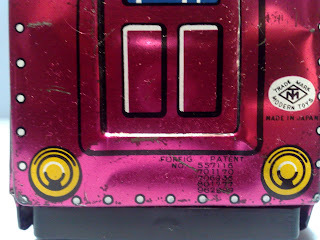 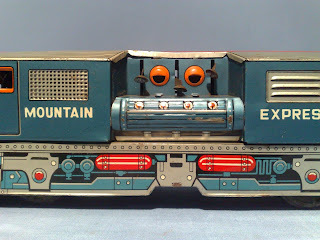 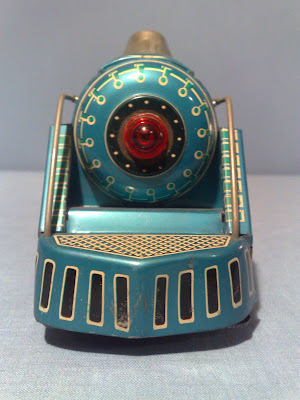 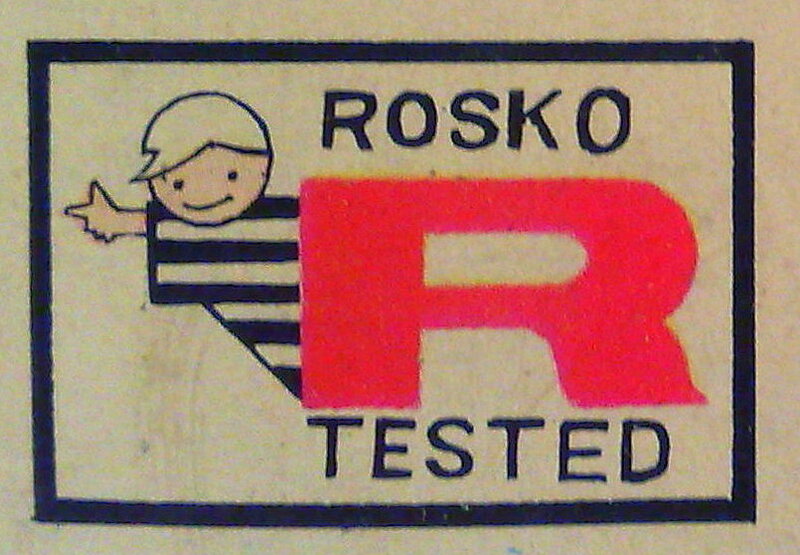 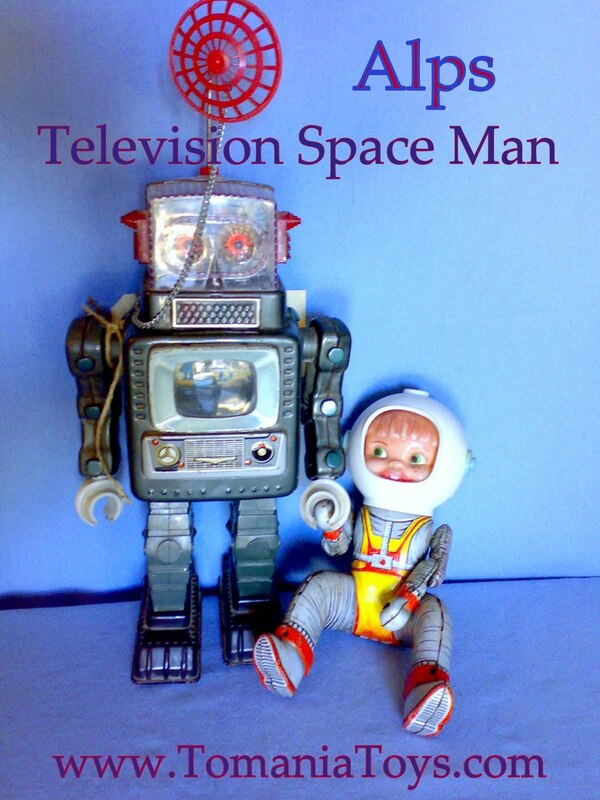 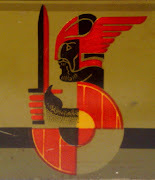 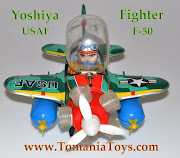 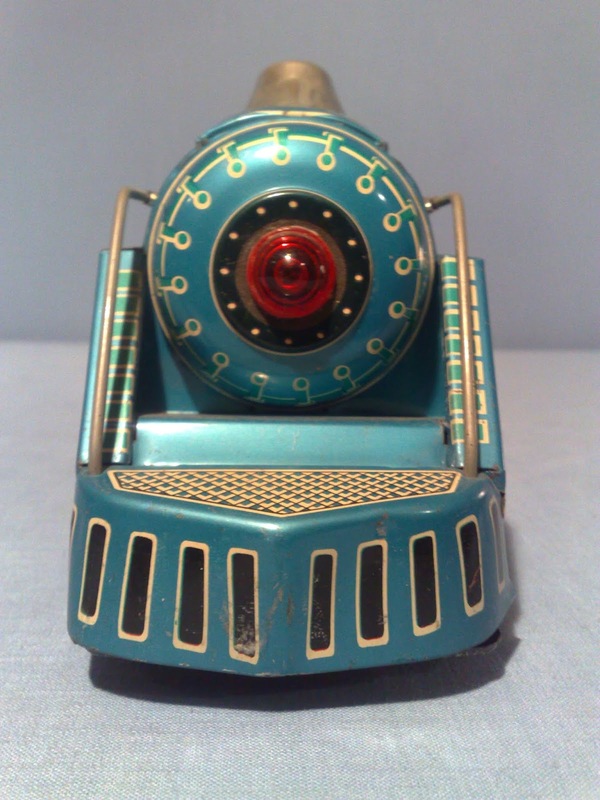 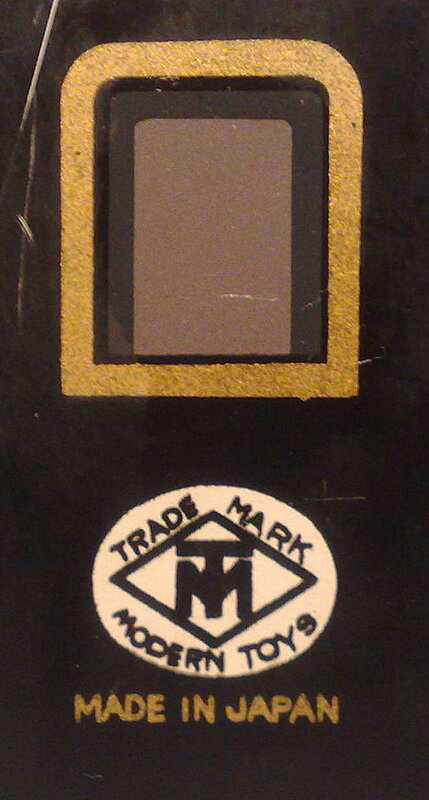 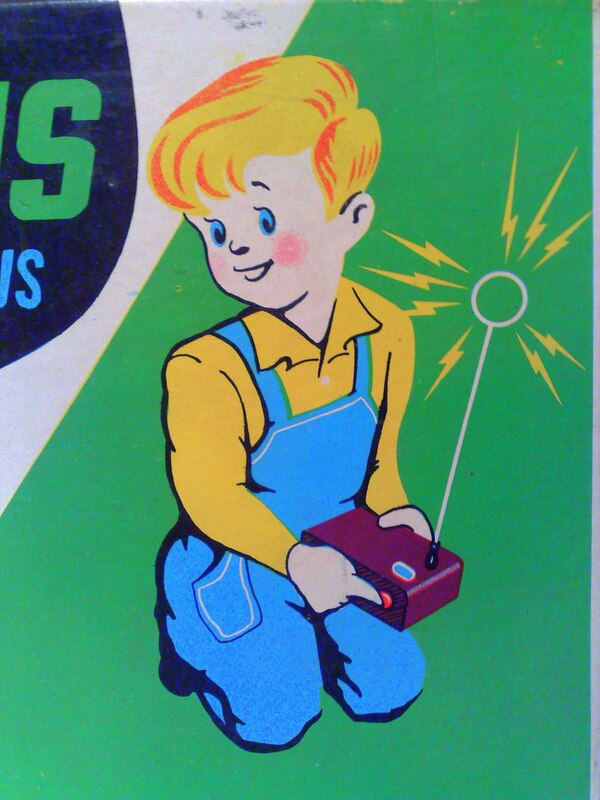 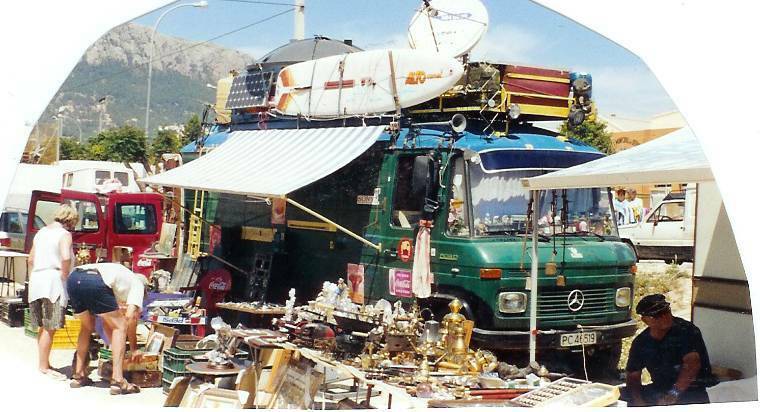 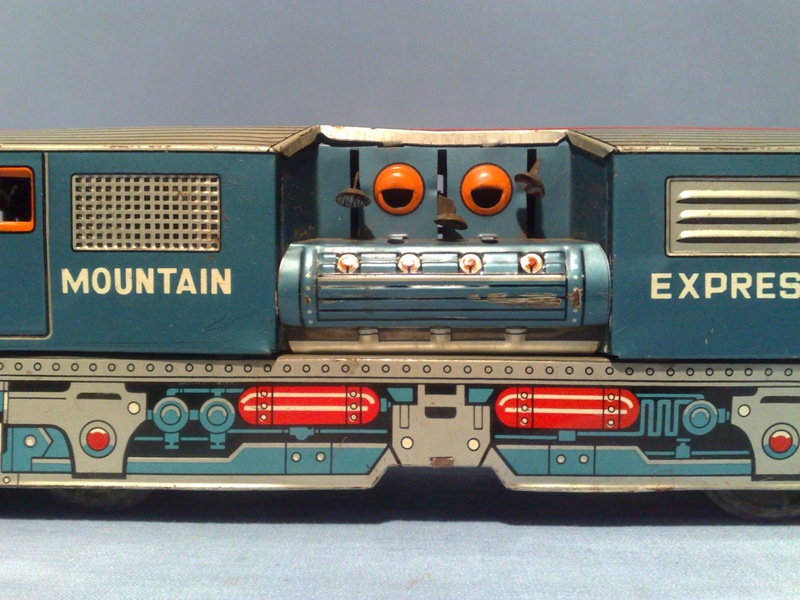 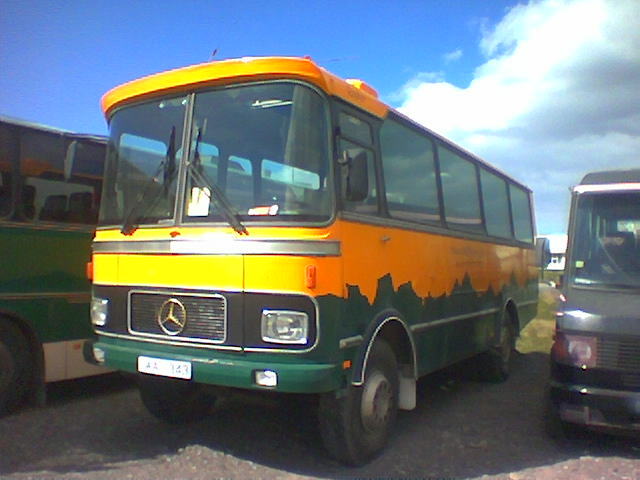 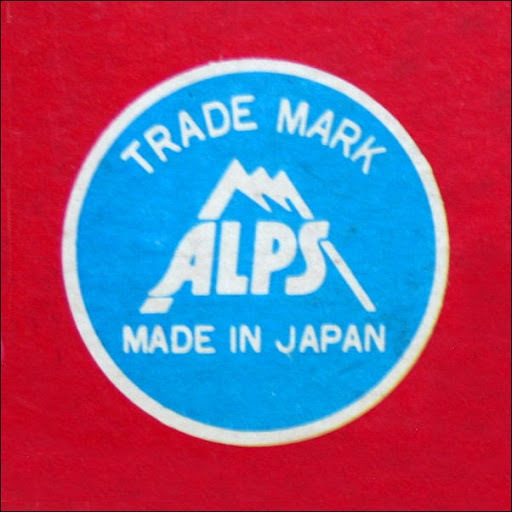 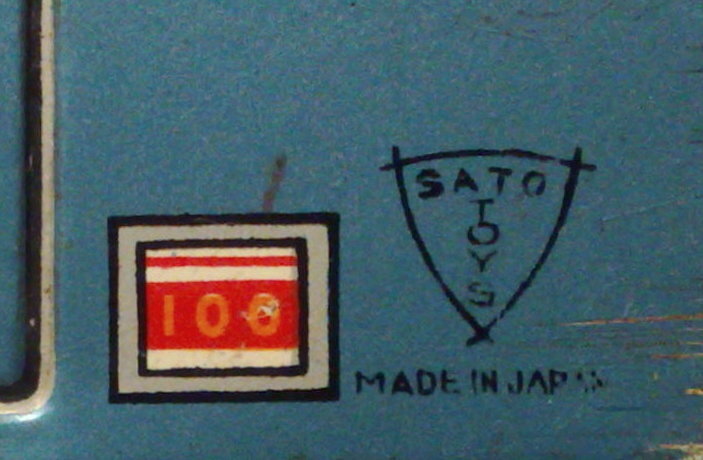 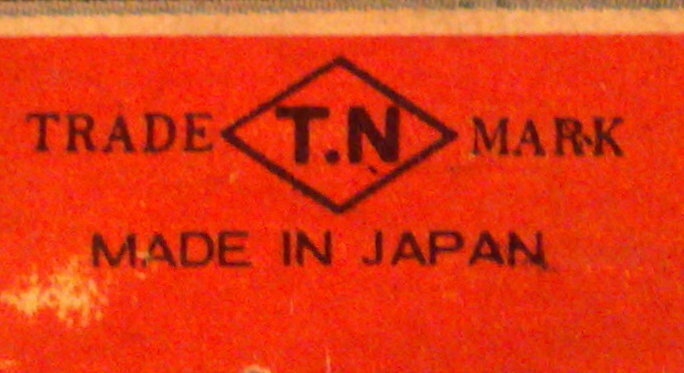 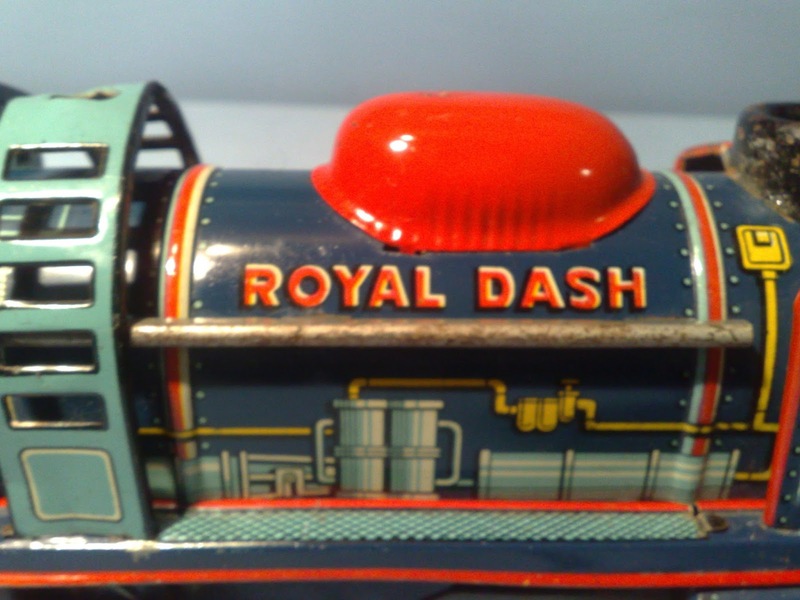 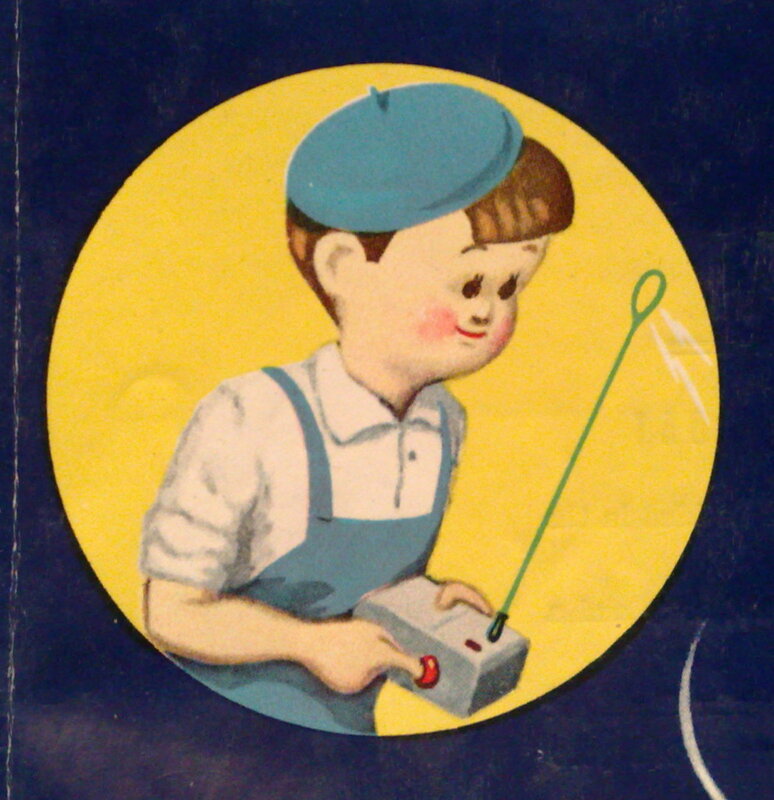 Modern Toy's Trade Mark MT in a "Diamond"